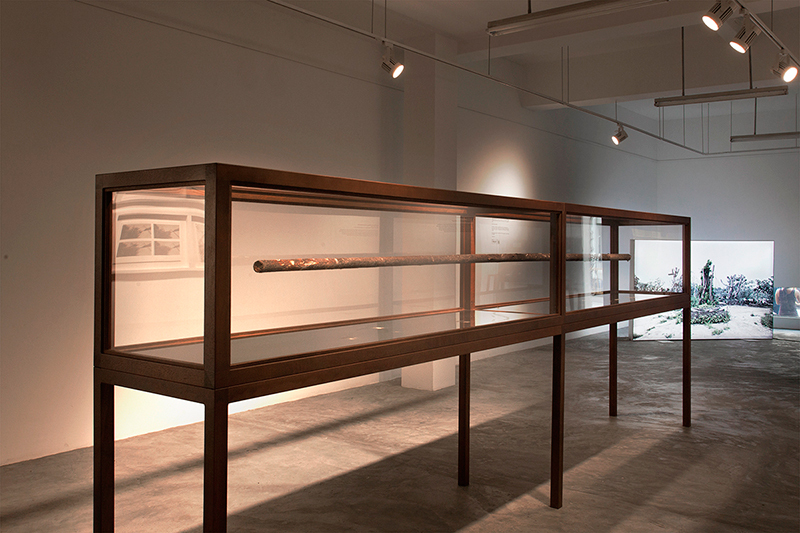 For more information on the installation at Gillman Barracks and ShanghART, click here. When Worlds Collide, 2018, Taipei Biennale. 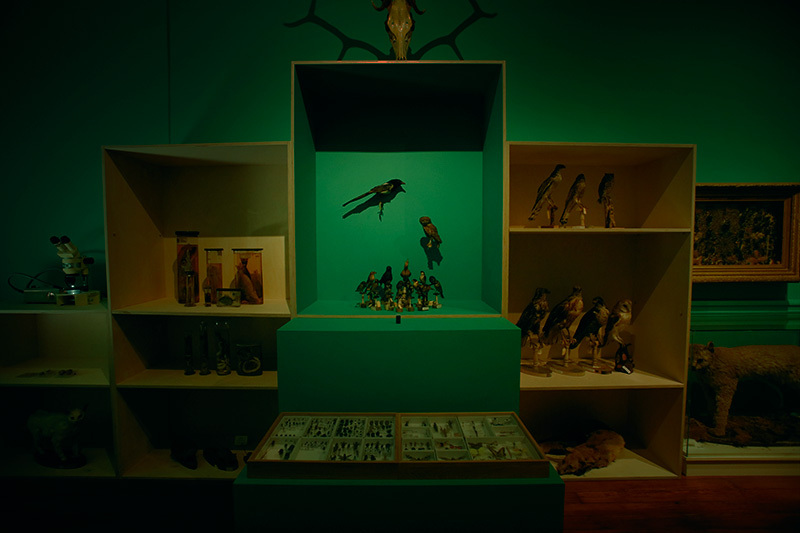 This installation presents research on animal and insect specimens from different countries alongside historical and contemporary narratives of human invasion, and considers the position of humans as foreign species. 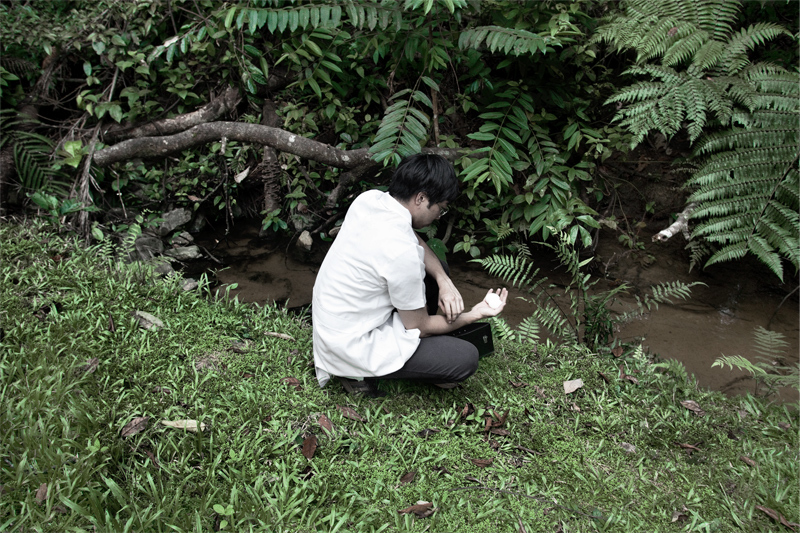 For this work, Zhao began his research in Taiwan, investigating a series of species removal plans: first, the artist discovered a local reward scheme for capturing invasive lizard species, which led in 2015 to over 220,000 lizards being caught in Chiayi, south Taiwan, alone. On the west coast of Taiwan, meanwhile, the African sacred ibis (Threskiornis aethiopicus) has recently arrived and is forcing out native birds, so experts are designing a nest removal plan. Finally, volunteers at Taipei Zoo are capturing Spot-legged Tree Frogs (Polypedates megacephalus) twice a week at night, and feeding them to zoo animals. These controls are entirely due to the belief that imported plants and animals threaten the species that we consider native, however the movement of species, and their categorisation, is largely a human consequence. 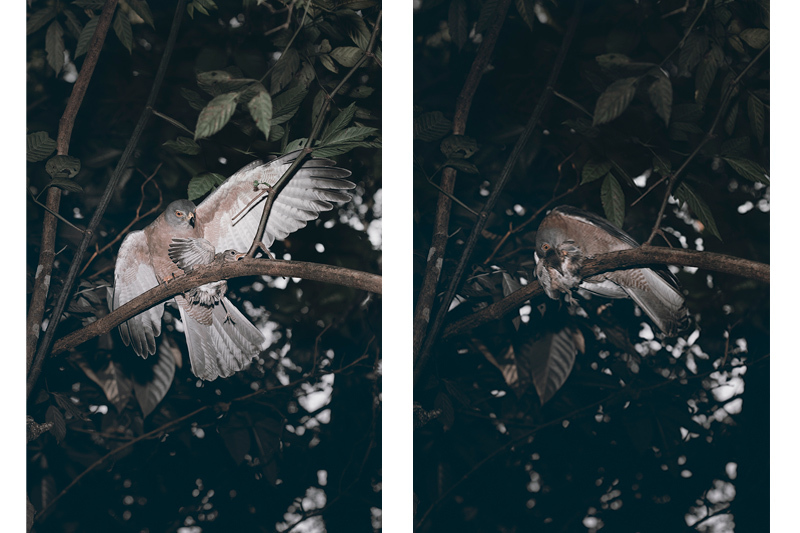 In addition to exploring the migration of species, Zhao’s work investigates the number of wild birds injured or killed on a weekly basis due to human action in both Taipei and Greece. Through studying x-rays from research institutions in Greece, and specimens collected by the Biodiversity Research Museum in Taiwan’s Academia Sinica, the artist has looked into the specific causes for these deaths and injuries, which include shooting, previous veterinary surgeries, and collisions with buildings or cars. Presented alongside this evidence is material on pests collated by the late German insect expert, Herbert Weidner. 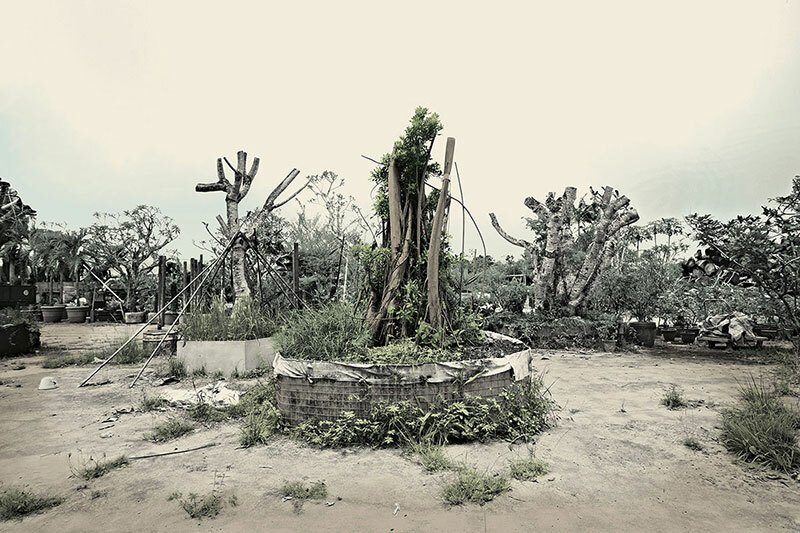 Viewing Weidner’s research in the context of urban ecology, which defines pests as existing in a state of unease due to the endangerment of their ecosystem, Zhao invites a rethinking of the commonly assumed hierarchies between humans and their fellow non-human beings. 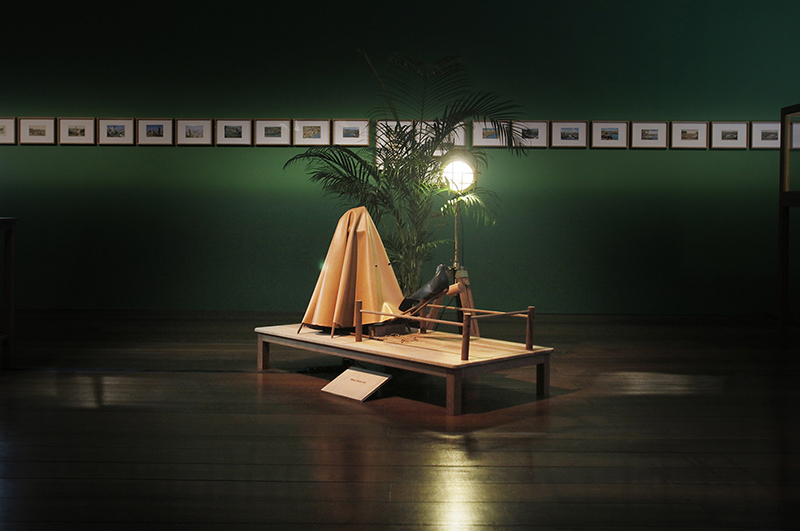 My Forest is not your Garden, Installation View, QAGOMA, APT9. "Among other APT9 artists whose work is inspired by the natural world, several share the common theme of humanity as an integral part of the Earth’s ecosystem, including Singapore’s Donna Ong and Robert Zhao Renhui, Malaysian collective Pangrok Sulap, and Martha Atienza and Nona Garcia, who both work in the Philippines. 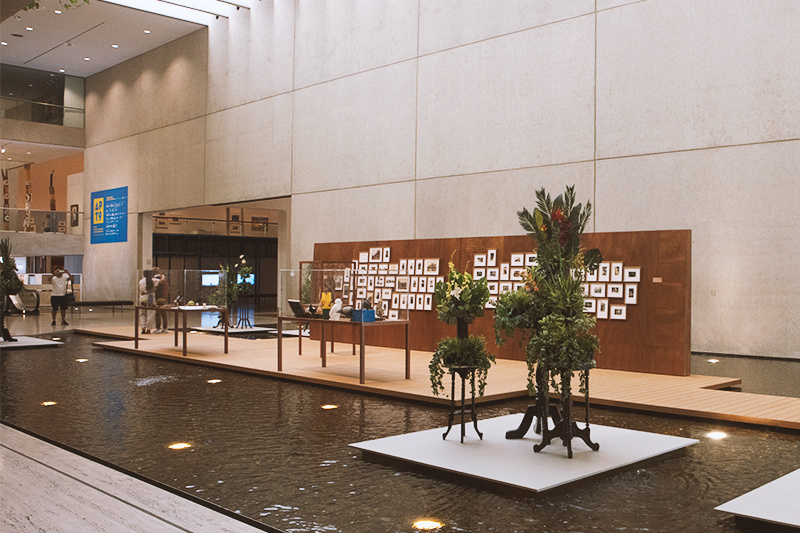 The collaborative installation by Ong and Zhao, My forest is not your garden 2015–18, offers the wonder of a museum diorama in the Queensland Art Gallery Watermall. Ong’s evocative arrangements of artificial flora and tropical exotica blend with Zhao’s archival-style display of a collection of authentic and fabricated objects that purportedly relate to Singapore’s natural history.9 Ong takes a critical perspective on how representations of the tropics in science, botany, art, illustration and gardens have influenced human relations with nature. 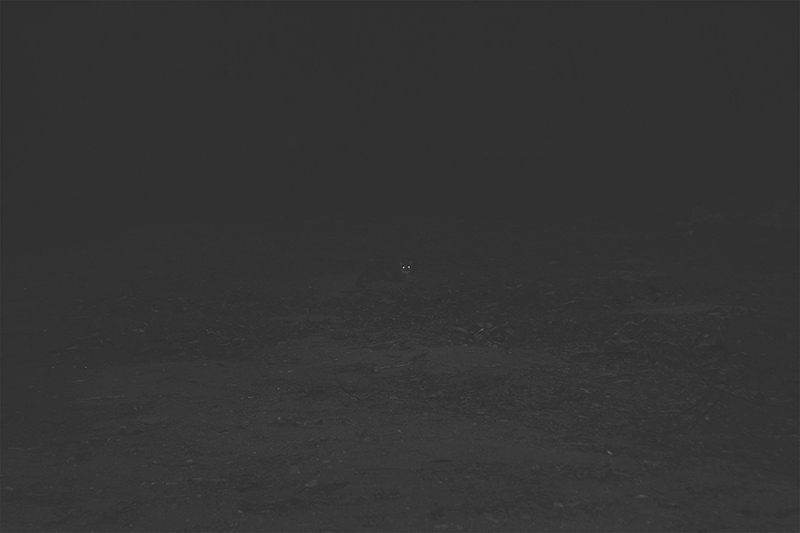 Zhao performs his speculative scientific investigations of relations between humans and animals through the creative framework of the ‘Institute of Critical Zoologists’, playing with forms of knowledge such as the zoological gaze and natural history research projects.10 These artists encourage us to understand that the lens through which we see the natural world has simultaneously reshaped it." 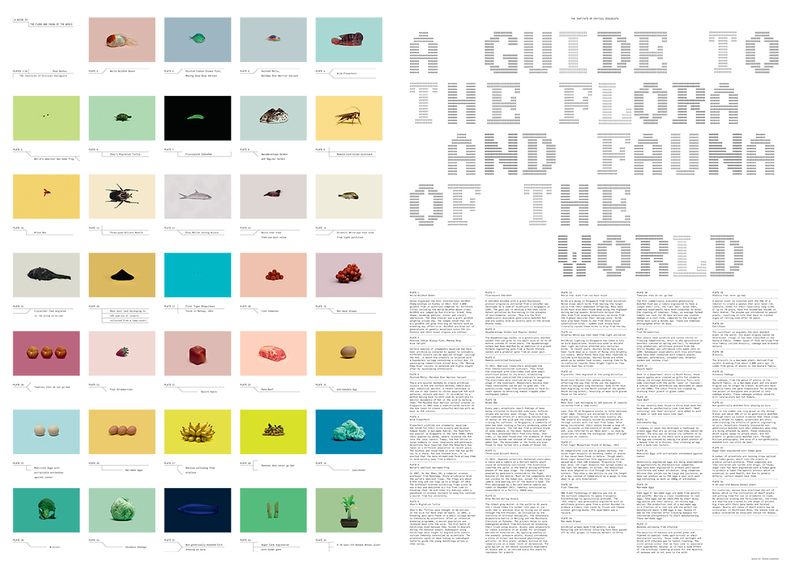 A Guide to the Flora and Fauna of the World, Published by Steidl. A Guide to the Flora and Fauna @ Civilization The Way We Live Now, Book and Exhibition. 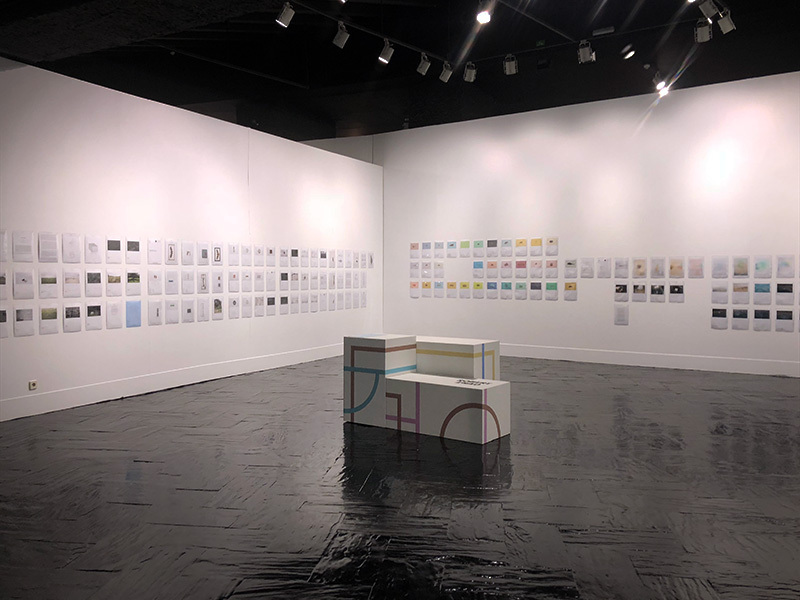 Installation view of 4 works at Yinchuan Biennale, 2018. 2nd Yinchuan Biennale, Starting from the desert-ecologies on the edge. "The Institute of Critical Zoologists Founded by Robert Zhao Renhui (b. 1982, Singapore), The Institute ofCritical Zoologists pursues interdisciplinary research into the realms ofanimal studies, environmental politics, and aesthetics. Persistentlytwisting reality and 'ction, Zhao’s artistic practice addresses instances ofecological collapse, adaptation, and resilience focusing on the relationshipbetween humans and nature. He appropriates codes and conventions ofdocumentary photography and museum display to compose narrativesthat challenge conventional criteria of objectivity and scienti'c modes ofclassi'cations. In recent years, his work has developed into immersiveinstallations, such us The Bizarre Honour and The Nature Museum (both2017), that merge historical documentation and 'ctional storytellingundermining the very notion of truth. “Human Nature” is the title of the solo and joint exhibition programme that builds a narrative about the human relation with nature. The art projects of Mathieu Asselin, Claudius Schulze, Mandy Barker and Anouk Kruithof emphasize people’s devastating impact on the environment. 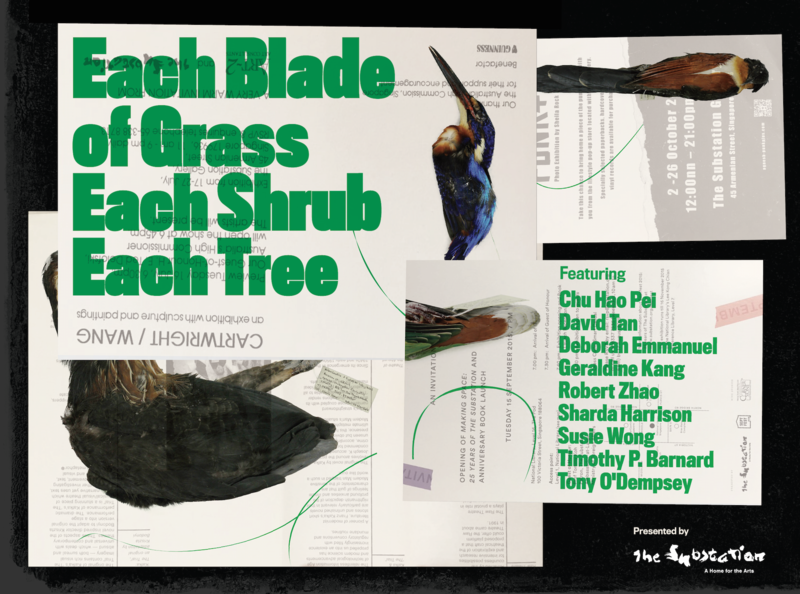 Meanwhile, Dornith Doherty, Robert Zhao Renhui, Alberto Giuliani, Lena Dobrowolska & Teo Ormond-Skeaping document the initiatives aimed at counteracting the dynamic paradigm shift in the environment and its consequences, which are virtually impossible to predict. Those artists are neither the dreamers nor fatalists despite the fact that their projects propose certain solutions to the burning ecological issues which could be implemented in the foreseeable future. Instead, they choose to question the role, scope and purpose of the man-made system of environmental protection, which, among other things, seems contingent upon people’s willingness to cease treating nature instrumentally. The statement is perfectly illustrated by the works of art by Karolina Grzywnowicz, Joanna Rajkowska and Anna Zagrodzka presented on the exhibit entitled Inter-species Conservation curated by Aleksandra Jach that embraces the idea of nature as our equal partner. In this case, the eponymous conservation, viewed in terms of process, correlation and change, refers not only to landscape, but also man-made objects. A majority of artists based their projects on an extensive research, consulted scientific journals, articles and archives, collaborated with experts in various fields, as well as participated in the science expeditions. They’re all actively engaged in disseminating their findings concerning the plight of the Anthropocene. CURATORS: Marta Szyma?ska, Franek Ammer, Agata Zubrzycka, Justyna Kociszewska and Krzysztof Candrowicz. Organizer Ayuntamiento de Madrid, Fernán Gómez. 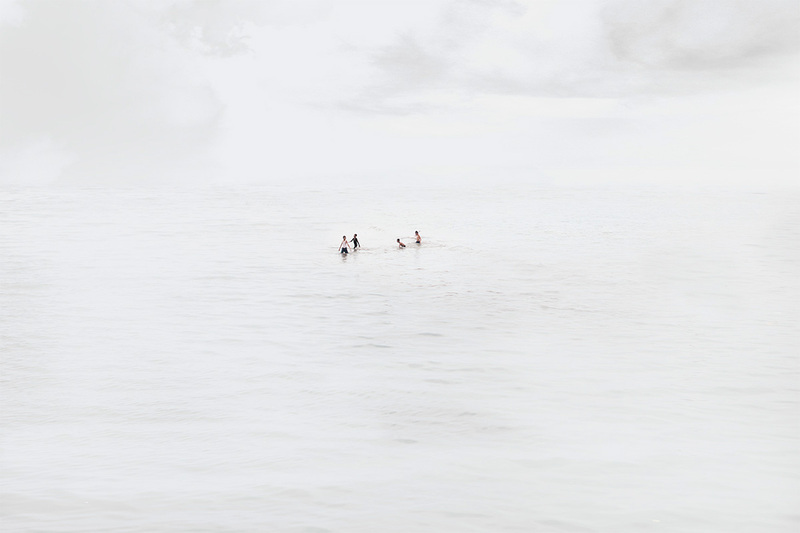 Hicham Benohoud, Miguel Calderón, Ana Hell, Jason Fulford, Robert Zhao Renhui, Prue Stent & Honey Long. A game is a voluntary act of rebellion against laws of nature and of customs. It is about creatively taking control of all the impositions that we are required to live by in this world with so few dimensions and so many obligations. As years go by, games become more serious, they lose their liberating quality and transform into competition and strategy. That is if they don´t disappear entirely. This exhibition adopts the structure of an adult game in which the objective is always to be «the best», the champion, in a face-off between territories adhering to the ancient practices inherited from the Pleistocene. Here, six representatives from six continents demonstrate their skill in the art of not taking these laws of nature and conventions too seriously, showing how games are able to place all things visible where they belong: on the edge of the precipice. Katerina Zavakou. Image courtesy of the Artist. The Nature Museum is a fascinating exploration of the Athenian natural history. 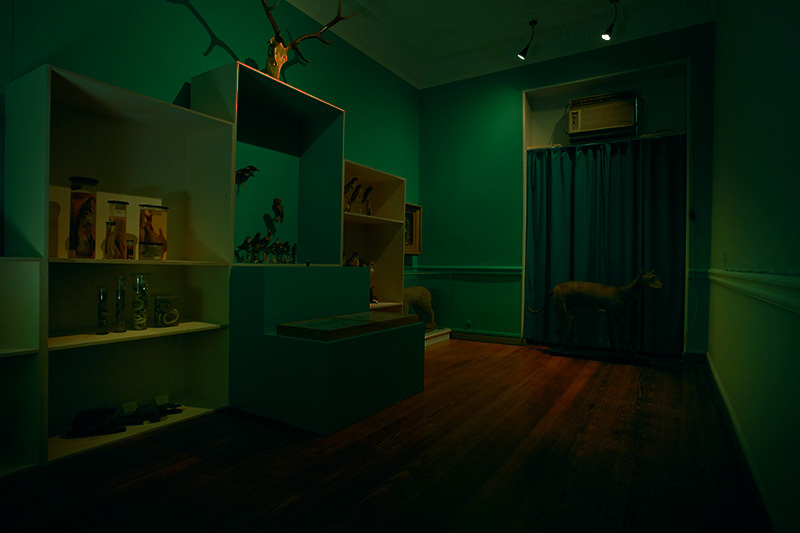 Α bewildering universe of photographs, natural specimens, taxidermy, and documents in an old house in the centre of the city. Stories of Athens's missing rivers, the invasive Tree of Heaven, the nesting habits of monk parrots, and animals living on the edge of survival, are woven together to expose a surprising layer of reality that exists, ignored, but in plain sight in the heart of the city. The Nature Museum takes you on a journey through photographs, artworks and historical documents, narrating myriad stories of Athens's little-known biodiversity and aggressive urbanization. The installation, curated by the visual artist Katerina Zavakou (Athens) in collaboration with Robert Zhao Renhui and the Institute of Critical Zoologists (Singapore) is derived from the personal collection of Athenian collector and amateur natural historian, Giorgos Charonidis, who spent almost 50 years chronicling the natural world in Athens. The collection reveals a hidden world of natural riches within the city, bringing to light the dramatic violence and loss lingering within the urban environment. The installation is fleshed out by a guided tour and lecture performance, created in collaboration with playwright Joel Tan. At the heart of Athens' encounters with nature lies a deep story of violence and survival: rivers disappear while urbanized roads emerge, and wildlife bears the brunt of social and spiritual crises. 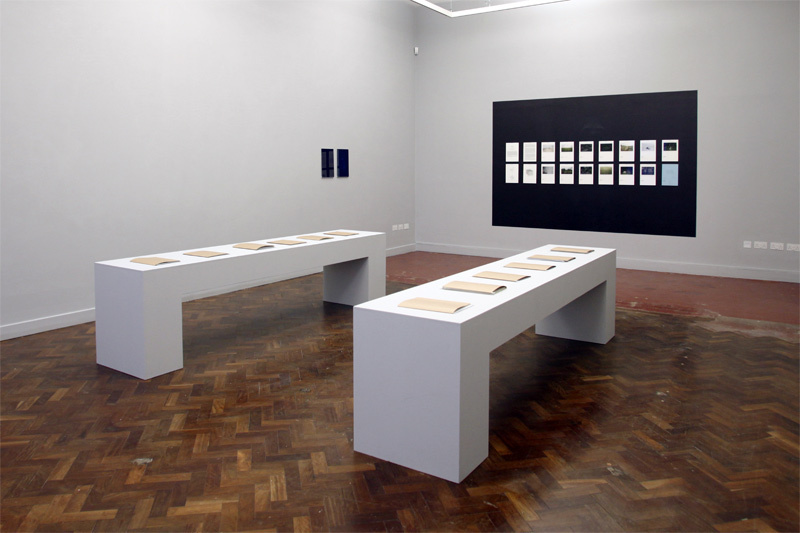 Employing the Institute’s full range of investigative methodologies, the artefacts on display include archival images and historical texts, research papers, documentary photography and installation, all focused on the ways communities have interacted with nature in different time periods and geographical regions. 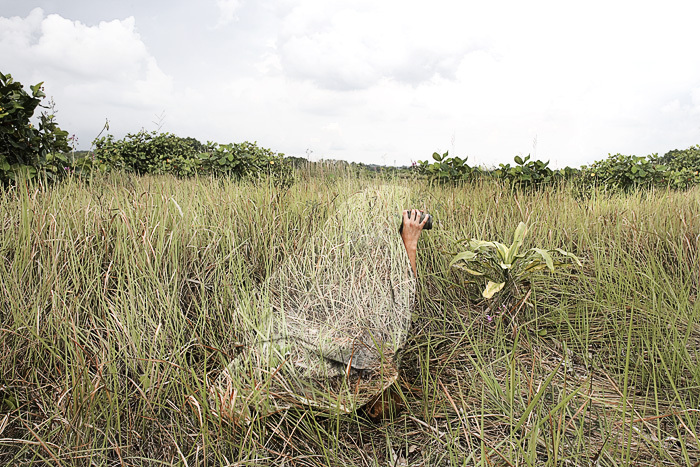 In tracking these encounters and their histories, using methods drawn from historical knowledge-production to contemporary urban ecology, this show unites multiple strands of knowledge into a single museological encounter. 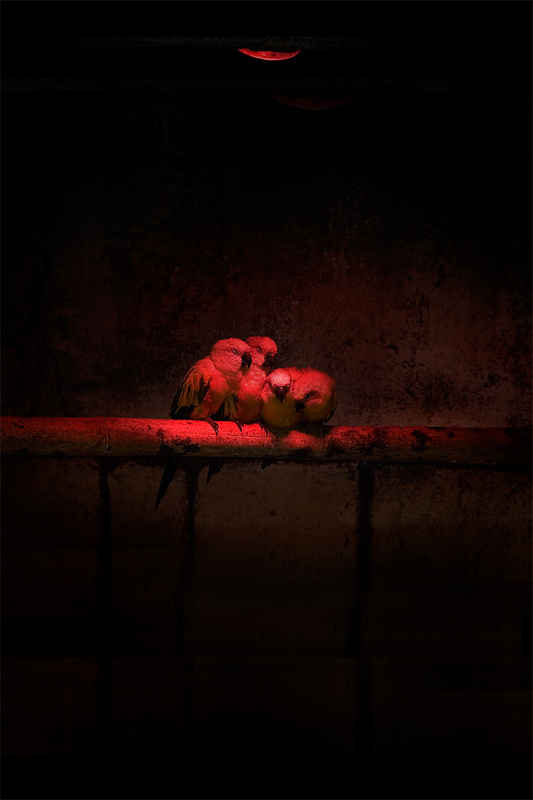 The birds of Athens, Light Box, 3m x 2m, 2018. In Athens, Greece, people who encounter injured birds can take them to ANIMA, a non-profit wildlife protection centre, to be rehabilitated. In 2018, the ICZ collaborated with ANIMA to exhibit a selection of X-rays of dead or injured birds for the exhibition The Nature Museum. Some of the birds have broken wings, an indication that they have collided with a building or a vehicle. The long metal splinter that is visible in some of the birds are inserted by vets to help the birds heal their broken wings. In some birds, there are also white spots, which are bullets. 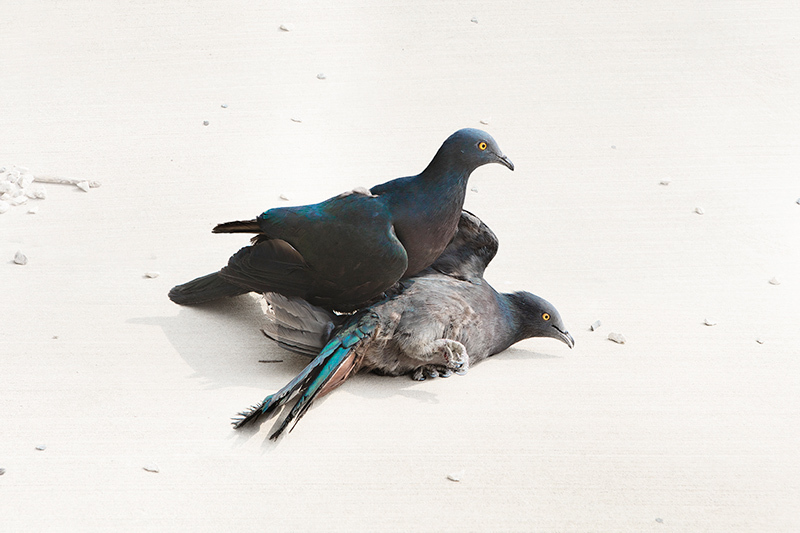 These birds have been shot. Botanical prints and photographs of the location of Micromeria Acropolitana, a rare plant that only grows on the Acropolis, and formerly believed extinct. 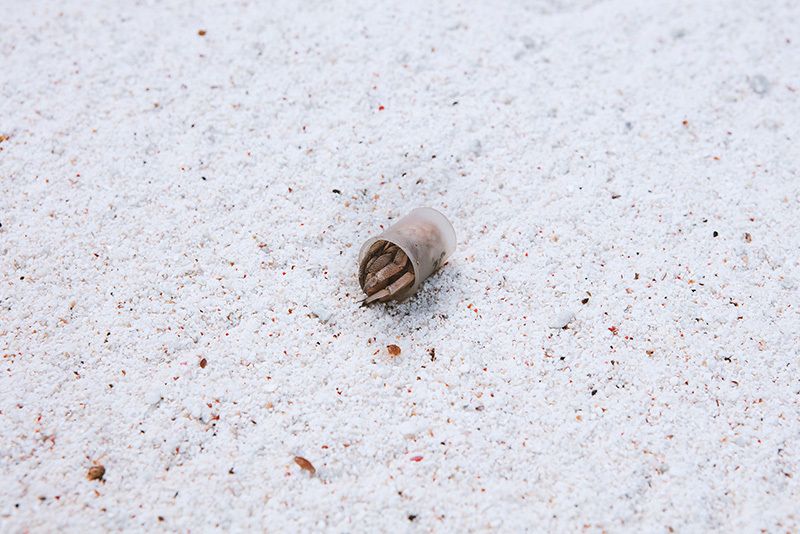 Plastic caps are used by hermit crabs as alternative shells on Christmas Island. The caps acts as camouflage for the crabs as they scavage among the plastic thrash on the beach. For more infomration on the project, click here. Genda is a magazine intersecting Western and Eastern culture. Two sets of editorial staff – one in Italy and one in China – first identify a common theme which is then elaborated through the misunderstandings and complicities at the base of every concrete exchange. Issue zero of Genda is dedicated to the concept of landscape as abandon; it is the vision of what remains at the end of a road, at the moment a path is interrupted or when an action leads to a willed for, pursued, constructed and, at times, serially planned impasse. Seemingly different and far-off worlds and cultures observe and copy one another, modifying themselves without being mutually accountable. Genda is born from a misunderstanding: it is the Western mangling of the popular Chinese Zhenda – ‘Really?’; it is also the name of the preferred flower of Hindu rites and celebrations. 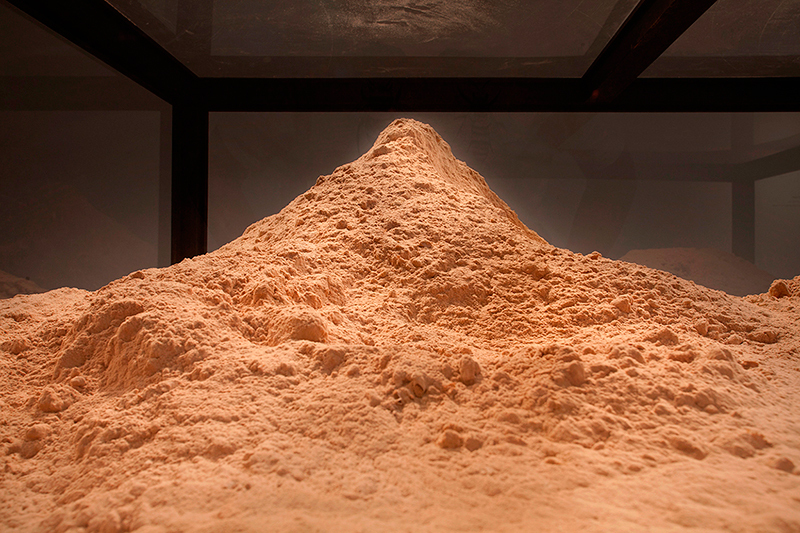 Genda is a container of accidental, compressed, distant yet dangerously similar material. Its symmetrical structure separates the two spheres which are then recomposed and redistributed through the binding. Clashes and confluences result from the apparent remoteness of approaching worlds. 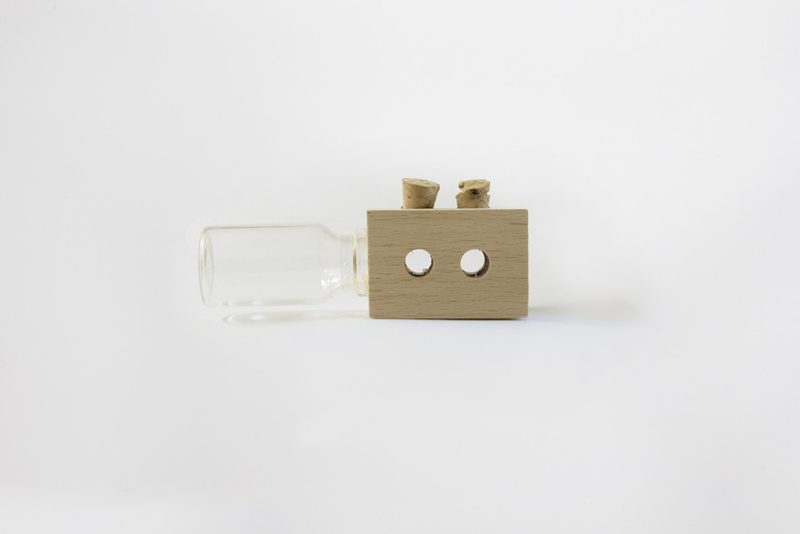 Genda is an independent and interdisciplinary object. It proves the presence of things and the existence of occurrences, it is about experience. Every edition of Genda contains proofs, manifestations of the impact of the world on the authors. The text forms part of this and thus both language and translation are considered. Genda has a title, it seeks out the conditions for triggering new questions. 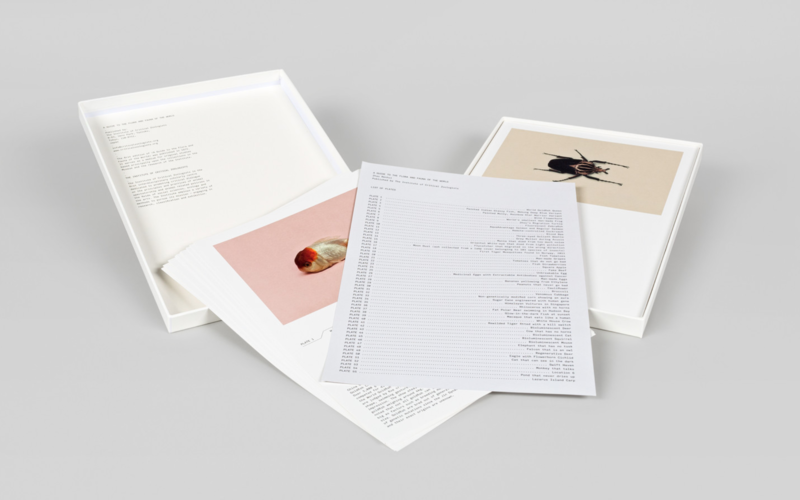 Its contents are apparitions; their original order is recomposed in the pages where an incidental and unexpected factor – of which the authors are aware – exists. Propeller was born to promote the space given to photographic expression, but above all to think about the limits of its aesthetics, aiming at sharing original content. In addition to the publication of portfolios and visual essays by authors recognized by the public, at Propeller we’re focused on sharing new prespectives, that somehow potentiate a critical approach to the field of photography. 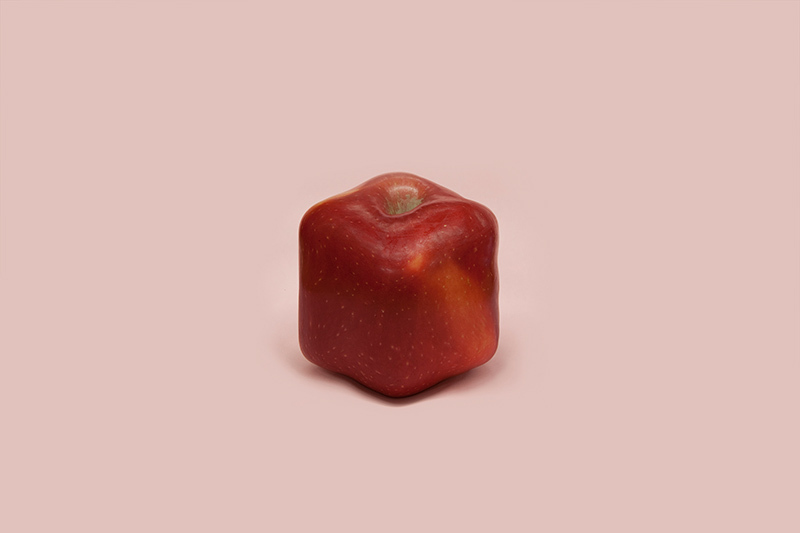 With each issue, Propeller embraces the challenge posed by one of the many paradigms of photographic aesthetics, inviting a diverse set of authors to jointly prepare a singular proposal on the theme in question. To this end, Propeller also hopes to be a space of critical mass creation, sharing essays, visual poetry and other disruptive works. 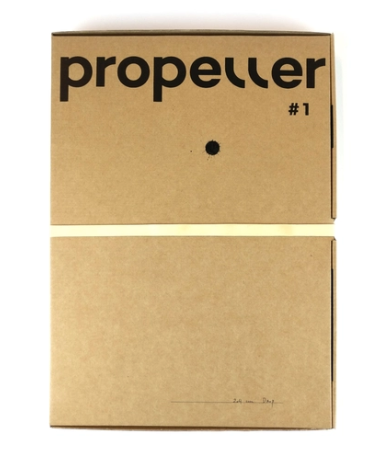 With a semiannual periodicity, Propeller is a project by HÉLICE‘s team – Duarte Amaral Netto, João Paulo Serafim, Rodrigo Tavarela Peixoto and Valter Ventura – coordinated by Sofia Silva. Part of the 4th West Bund Art & Design, ArtReview Asia Xiàn Ch?ng is a special exhibition programme curated by the internationally renowned contemporary art magazine ArtReview Asia. Projects in ArtReview Asia Xiàn Ch?ng, by artists from around the world, occupy spaces inside the fair venue and along the bank of West Bund. This year, 29 invited artists from 16 countries will present 32 works – 13 of which are new. Works on show in this year’s ArtReview Asia Xiàn Ch?ng range from sculpture and painting to site-specific installation, moving image and performance. Eleven of them are located outdoors. They can be found at the plaza in front of West Bund Art Center’s main entrance, along the riverside on Longteng Road, and at CAMP3399, a public park opposite the Long Museum. The works, connect various areas of in the greater West Bund area, creating a metropolis of art for the West Bund area. The More We Get Together (II), 2018 was first created for the exhibition cycle Disappearing Legacies: The World as Forest (Germany, 2017/18). It was developed as part of a research residency funded by the Goethe-Institut Singapore enabling visits to the collections of the Centre for Natural History (CeNak) of the University of Hamburg. With thanks to entomologist Dr Martin Husemann, CeNak. For more information, click here. The concept of the project is unique—a hybrid between a historical thematic presentation and a major exhibition of contemporary art, transforming the Zoological Museum im Centrum für Naturkunde (CeNak), University of Hamburg, into a threatened (rain)forest habitat. 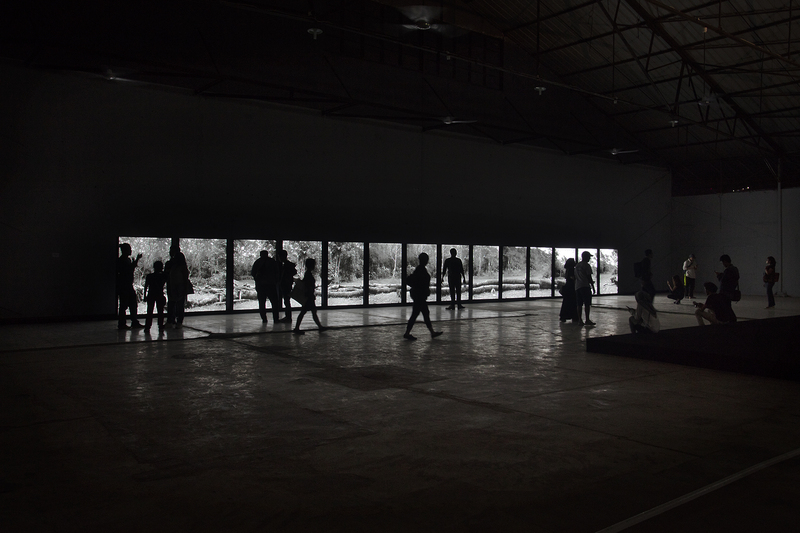 The centerpiece of the intervention is the presentation of 13 contemporary works of art—including eight new commissions—by Maria Thereza Alves, Ursula Biemann, Bik Van der Pol, Shannon Lee Castleman, Revital Cohen & Tuur van Balen, Mark Dion, Radjawali Irendra / Akademi Drone Indonesia, Armin Linke with Giulia Bruno and Giuseppe Ielasi, Barbara Marcel, Julian Oliver & Crystelle V?, Robert Zhao Renhui / The Institute of Critical Zoologists, SHIMURAbros und autonoma / Paulo Tavares. 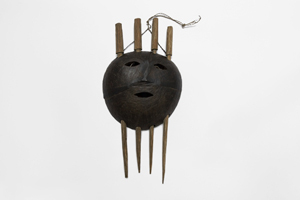 Other artistic works were developed through journeys to Brazil and Indonesia. Spending time on Borneo, Java, and Sumatra, photographer and filmmaker Armin Linke—together with his colleague Giulia Bruno and exhibition curators Anna-Sophie Springer and Etienne Turpin—conducted numerous interviews with local residents, plantation workers, small land holders, environmentalists, government officials, and scientists. The result is a cinematic document that reflects the speed with which Indonesia is currently transforming into a palm-oil nation amid giant peat fires. In her museum installation, Maria Thereza Alves lends the word to 33 Indigenous clan chiefs, whom she accompanied for one month last summer in Brazil while participating in a workshop on Indigenous agroforestry and resource conservation. 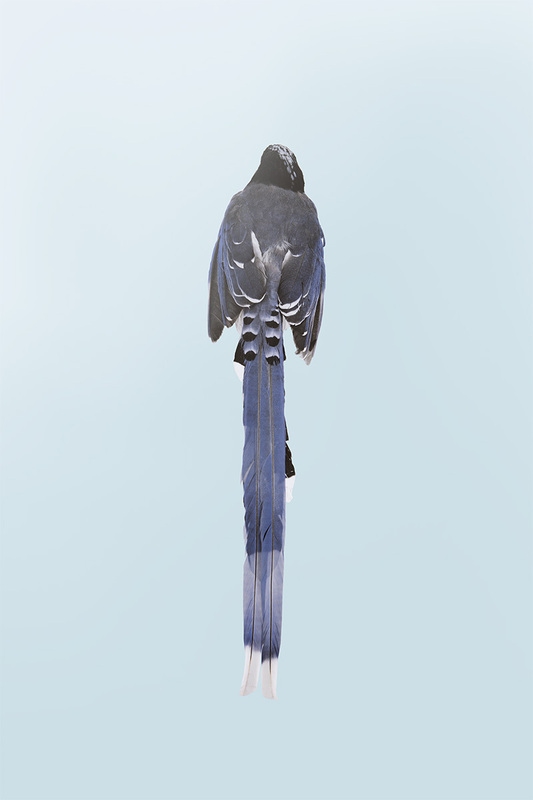 Revital Cohen & Tuur van Balen look inward and examine taxidermy birds with piercing X-ray vision, while the automated multimedia installation Extinction Gong by Julian Oliver & Crystelle V? translates the IUCN Red List of Endangered Species into an eerie and percussive rhythm in realtime. The exhibition is extended by a series of curatorial assemblages, which include specimens from the CeNak’s zoological collections and the botanical collections of the Herbarium Hamburgense that were selected in dialogue with the respective institutions’ scientific curators: skulls, animal skins, spirit specimens, herbarium sheets, and numerous cases of colorful pinned insects. Another special highlight is the 3D digital rendering of a Sumatran rhino skull, produced in collaboration with YXLON International, a Hamburg-based high-resolution industrial CT-scanner developer, and a special data visualization software from Volume Graphics. Other media include exclusive screenings of one of Sir David Attenborough’s earliest BBC documentaries and a selection of videos from the ornithologist Ed Scholes (Cornell Lab of Ornithology) and wildlife photographer Tim Laman’s ambitious Bird-of-Paradise Project. 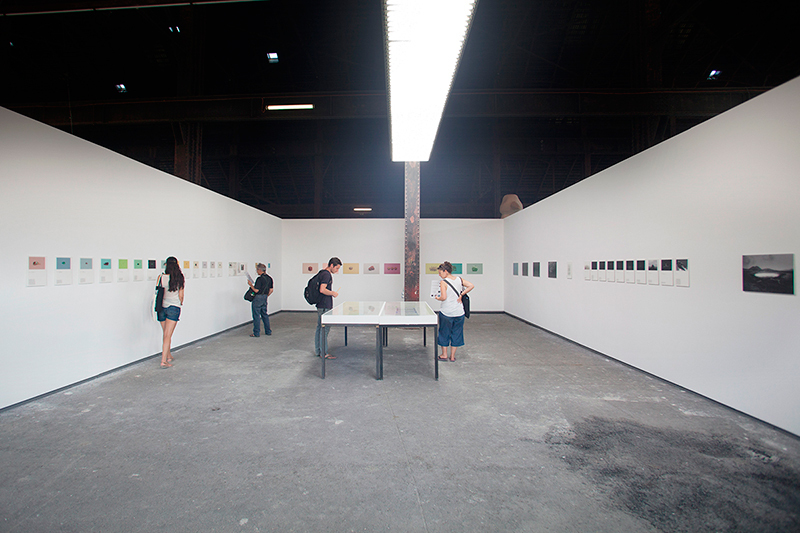 More info on the project at CeNak, or read an interview with the curators. An old tree collapsed near the artist's residential estate in Singapore after a storm. The tree was cut into sections by park authority officials and quickly removed. This is in marked contrast to what happens when a tree falls in a forest. The fallen tree begins a cycle of succession where insects and other plant life feed on the rotting trunk. In a city, a tree loses its value the moment it falls. There is no place for a dead tree. The physical cuts by which the tree is sectioned echo but do not exactly correspond to how the artist has edited and sequenced the images, suggesting that there might be different ways to "managing" nature, whether via park authorities or art. For more information of the project, click here. Since 2013, The Institute of Critical Zoologits has been collecting old photographs of Singapore, focusing specifically on images that capture the city’s landscape and elements related to her natural history. 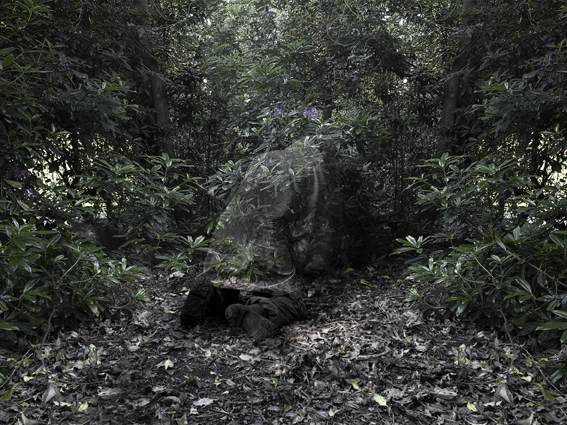 The project for his residency, provisionally titled The Museum of Disappearance, sets out to unravel the dormant narratives embedded in the photographs in order to shed a different light onto the complex history of our relationship with nature. 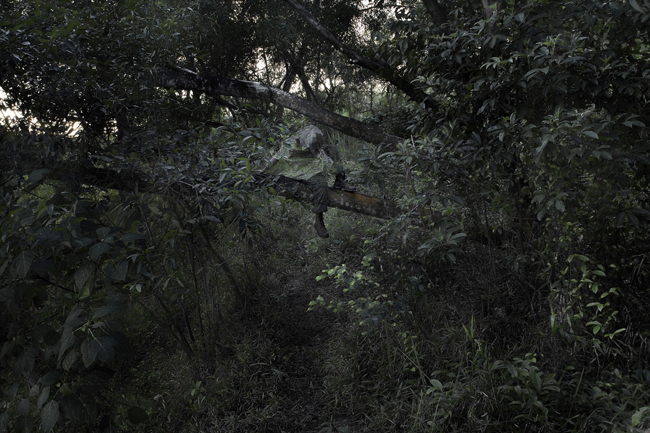 Further expanding on his interest in the interaction between humans and the natural environment, he plans to conduct extensive fieldwork in the backwoods behind his studio, a patch of secondary forest stretching from Malan Road to Henderson Road, documenting its trees and natural habitat. 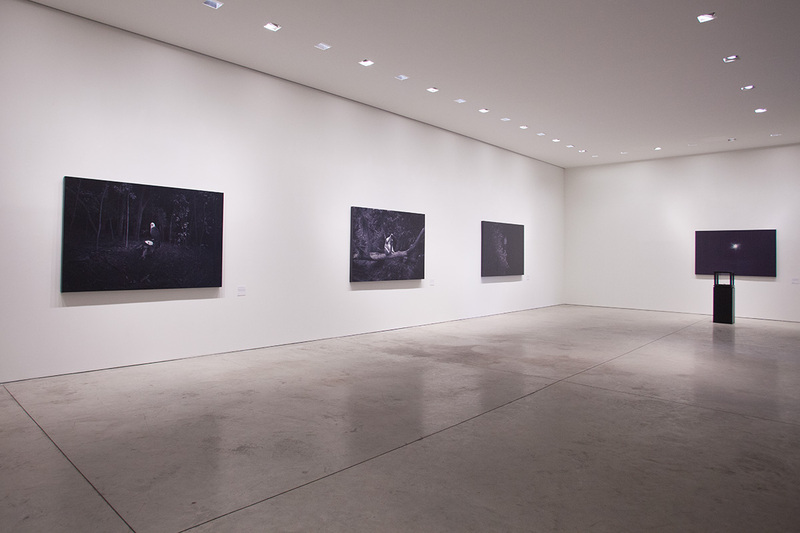 Installation View, The Nature Museum at Rockbund Art Museum. Image credit, Rockbund Art Museum. HUGO BOSS ASIA ART: Award for Emerging Asian Artists opened early today at Rockbund Art Museum (RAM) in Shanghai, presenting artworks by the four finalist artists: Li Ming (China), Tao Hui (China), Yu Ji (China), Robert Zhao Renhui (Singapore). 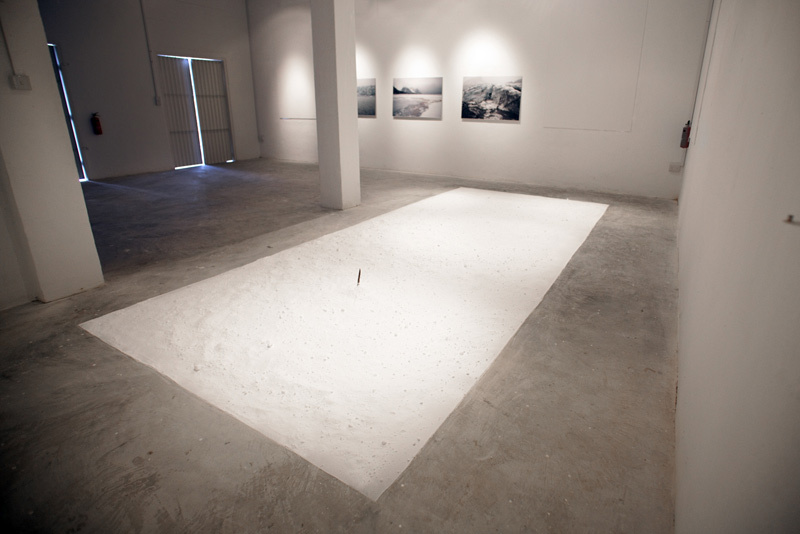 Following the success of the first and second editions in 2013 and 2015 respectively, HUGO BOSS ASIA ART AWARD for Emerging Asian Artists is well regarded as a very high-profile award that honors emerging contemporary artists in the early stages of their artistic creation and exhibition practices. To view the project, click here. 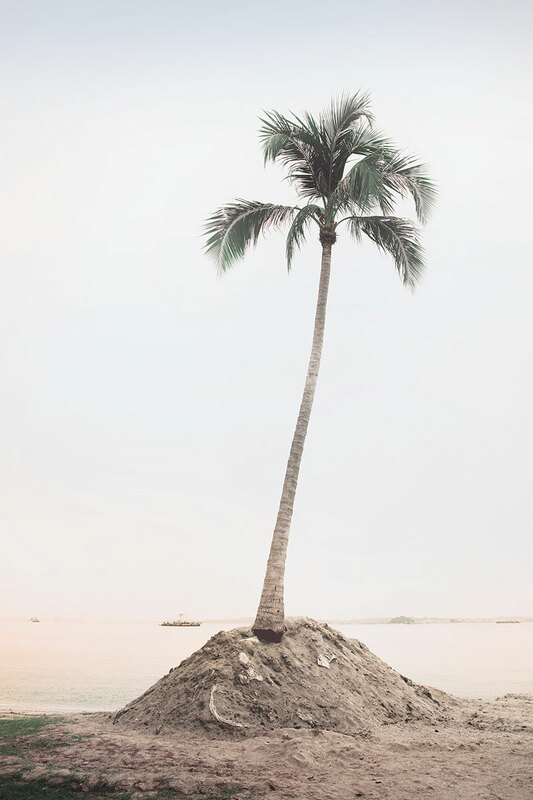 ShanghART M50 is pleased to present a solo show by acclaimed Singaporean artist and photographer Robert Zhao Renhui, titled “Christmas Island, Naturally”. The exhibition will be on view from 3 September through 19 November. The series of works which were initially commissioned for 2016 Sydney Biennale will be exhibited in China for the first time. 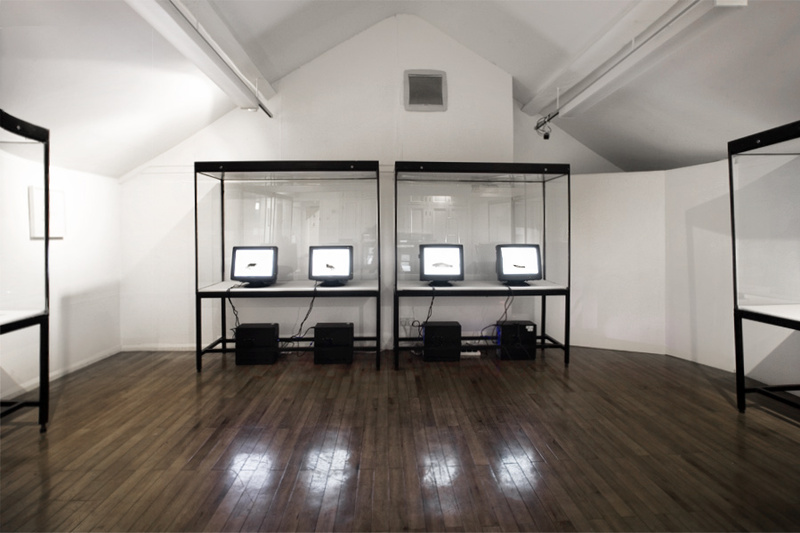 Under his Institute of Critical Zoologists (ICZ), devoted to a “critical approach toward the zoological gaze, or how humans view animals” and to “advance unconventional, even radical, means of understanding human and animal relations,” the artist’s multi-disciplinary approach appropriates scientific language, tools, methods and even apparatus, juxtaposed with fabulist storytelling. His works inhabit an uncanny space between reality and fantasy, often exposing overlooked contradictions, assumptions, and tensions inherent in man’s relationship with nature. Blending fact and fiction, truth and artifice, the artist invites viewers to contemplate upon the image and information being presented, a reflexive gesture that proves to be particularly pertinent in an image-saturated world of “fake news.” And sometimes, as the artist demonstrates, truth is in fact stranger than fiction. For more information and view installation photographs, click here. 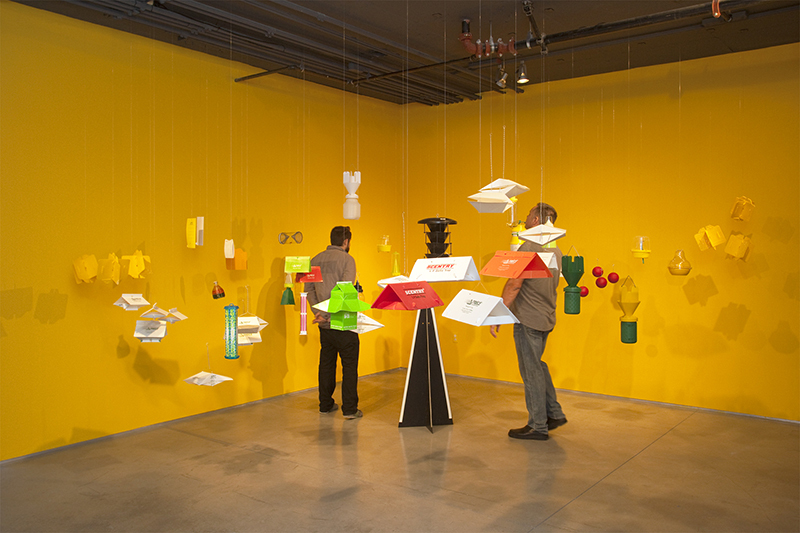 Installation View, The Nature Museum at 72-13. 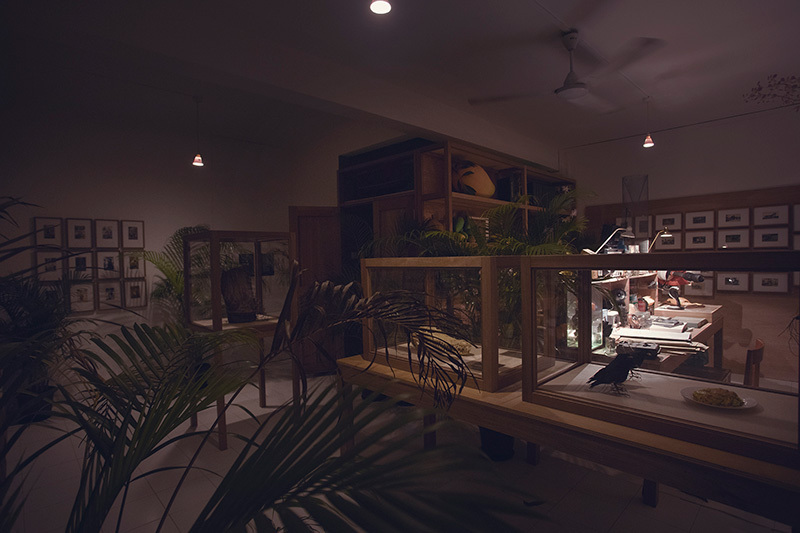 The Nature Museum is a fascinating exploration of Singapore’s natural history through historical and fantastical narratives created by the Institute of Critical Zoologists (ICZ). An immersive museological setting by Robert Zhao of ICZ, The Nature Museum takes you on a journey through photographs, artworks and historical documents both found and fabricated. Get lost in another time as you wander around the artful arrangements of books, posters and images captivatingly displayed on Victorian shelves and vitrines, accompanied by antiquated caption texts. Artist and photographer Zhao has become known for his layered narratives blending historical documentation and imaginative storytelling that provide thought-provoking commentary on natural as well as social issues. The installation is fleshed out by a guided tour and lecture performance, created in collaboration with playwright Joel Tan, weaving together myriad stories of our island’s rich flora and fauna, its little-known agriculture and aggressive landscaping, fully revealing the extent of Singapore’s ‘Garden City’ moniker. 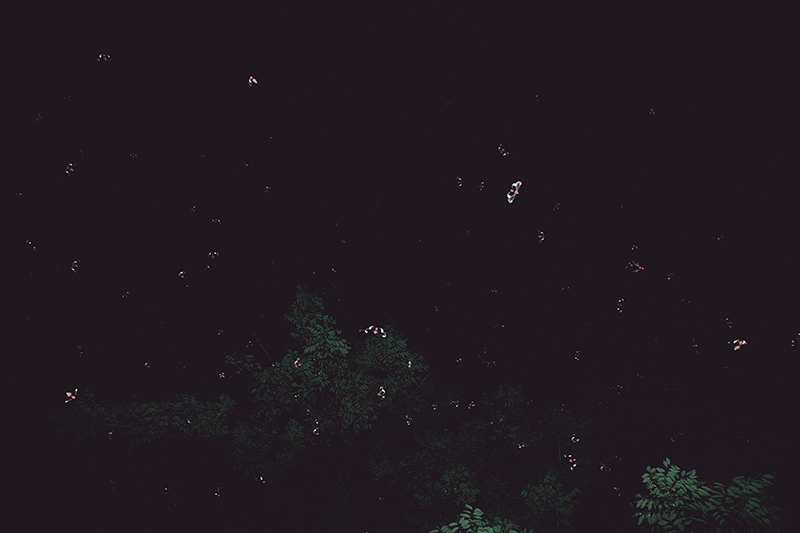 Underneath bubbles a deeper story of violence and control, hidden in much of Singapore’s encounters with nature: forests recede while manicured greenery emerges. 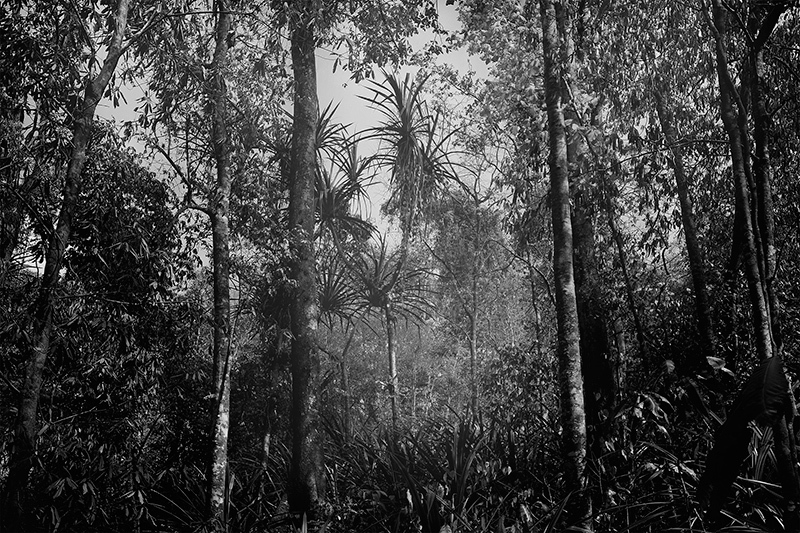 Rediscover the meaning behind images of the plantations and jungles of our past and ponder the implications of the clash between Nature and urban development on our tiny island. In ICZ’s inimitable style, The Nature Museum meshes past and future in an arresting work that will astonish all who are curious about the world around us. 7th Moscow International Biennale of Contemporary Art entitled Clouds//Forests is a proposition at a time of crisis to instigate the establishment of new relationships in our world. This proposition will be proposed by the artists and creators called ”Creative Tribes”, who gather in different sites all over the world, do not feel restricted to the notion of nation state and also surmount the dichotomy between globalism and localism. Art functions precisely as an enigmatic signpost, nourishing our sensory apparatus so that we can gain a better understanding of our human condition Clouds?Forests focuses on artists as a creative tribe transitioning, expanding and dissipating, from forest to cloud, rebuilding the subjectivity of spectators and showing that creativity is vital to the creation of new environmental spheres. Taking into account perceptions on the generation of new subjective environmental spheres, the curatorial criteria for this exhibition includes giving life to new technologies as well as exploring ways to obtain animistic artistic languages and connect cultural roots, and leveraging the rhizome-based organic system to traverse history, genres, and media. Advances in genetic engineering, biotechnology and nanotechnology that not long ago seemed purely science fiction are now real. Cyborgs, superhumans and clones are alive amongst us today. What does it mean to be human now? What will it feel like to be a human a hundred years from now? Should we continue to embrace modifications to our minds, bodies and daily lives, or are there boundaries we shouldn’t overstep? HUMAN+ The Future of Our Species explores the possible future paths of our species. It asks what it means to be human in a world of artificial intelligence, lifelike robots and genetic modification. It probes the social, ethical and environmental questions raised by using technology to modify ourselves. 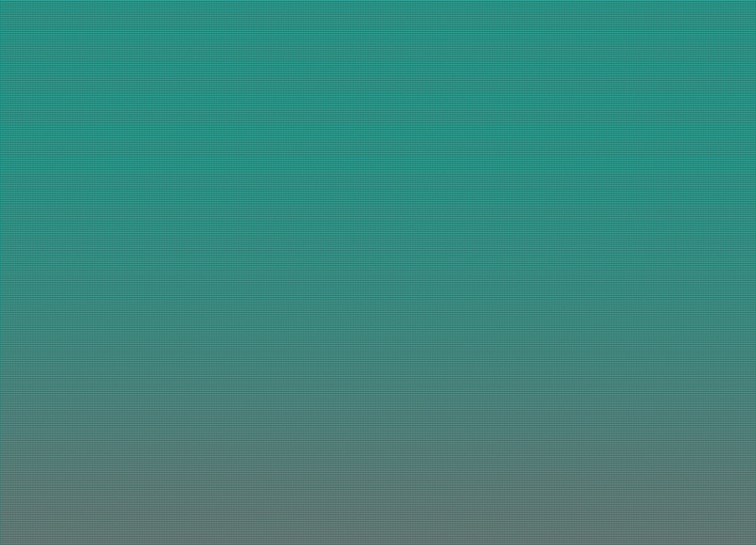 Will virtual reality be the new reality? What would happen if a robot knew what we wanted before we knew ourselves? 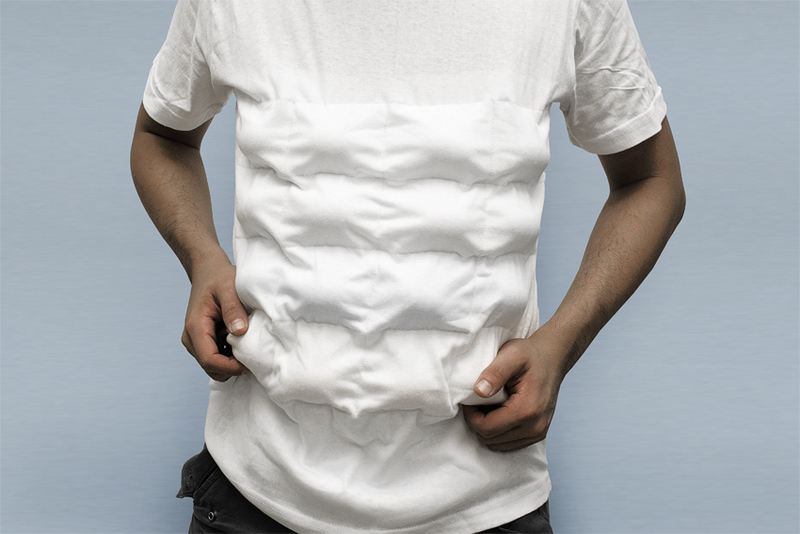 How might we modify ourselves to adapt to an environment that we are drastically transforming? Is longevity a noble aspiration or a terrible threat for the planet? 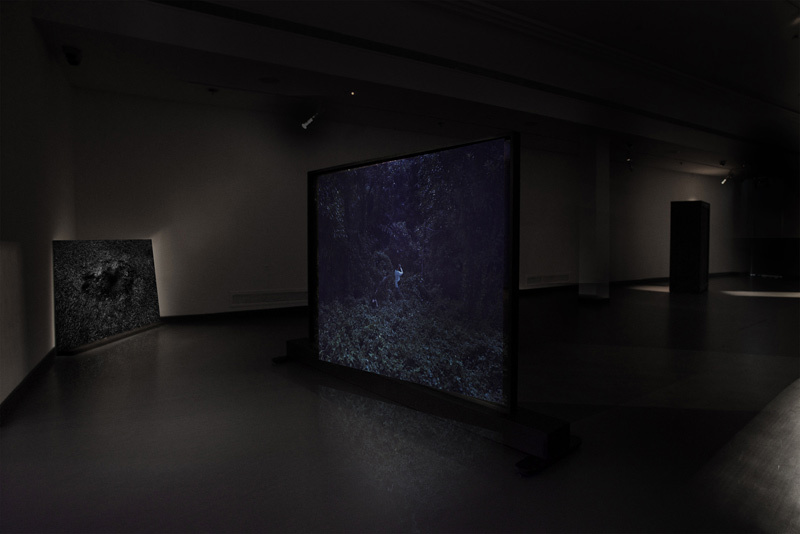 A Guide to the Flora and Fauna of the World by Singaporean artist, Robert Zhao Renhui, seeks to document and reflect on the myriad ways in which human action and intervention are slowly altering the natural world. The guide presents a catalogue of curious creatures and life-forms that have evolved in often unexpected ways to cope with the stresses and pressures of a changed world. Other organisms documented in the series are the results of human intervention, mutations engineered to serve various interests and purposes ranging from scientific research to the desire for ornamentation. Ambrose B. Rathborne when he travelled through the Malay Peninsula in 1880.
animals he encountered during his journey. The animals are still around, but in slightly different contexts. To see the project, click here. OH! Open House, in collaboration with the ICZ, is transforming a two-storey terraced house in Chip Bee Gardens into a maze-like museum of curiosities. The Bizarre Honour – presented as an institution showcasing their eclectic collection in a newfound space – will unveil over 300 natural objects and artefacts dating from the colonial period to the contemporary times. Collected by the artists over a period of 15 years, the exhibits survey Singapore’s contentious relationship with its nature. In a unique and highly private experience, only two visitors are allowed in the museum at any one point of time. From rare colonial photos, taxidermy and animal traps to tropical field equipment, visitors can expect a sensory treat while they immerse themselves in a living, breathing museum. Visitors should prepare themselves for spending 30 minutes in the museum where there are no guides, labels or explanations, and no distinction between art and artefacts. Visitors can only rely on a personal dossier – comprising memos, photographs and other classified information pertaining to exhibits and experiments – to unlock the mysteries of the museum and its exhibits. We looked back at the Wunderkammer, Cabinet of Curiosities, and you see it was very artistic. It wasn’t about national representation or state narratives. They expressed something more human, more personal – curiosity and collecting. There’s a wondrous relationship between art and Natural History – it’s about discovering uncharted worlds, and finding new relations between things, even things that may seem very mundane. Animal traps, for instance, reflect the local culture and myths. So a sparrow trap reflects the Singapore vernacular; it’s unique to us. Also, we have an entire collection of photographs taken by a British tourist in Singapore over a few decades. Each photograph by itself is very ordinary, but put together is an obsessive, fractured portrait of Singapore you’d never find in the history books,” he adds. You can purchase tickets to The Bizarre Honour at S$45 which includes a hand- assembled 80-page dossier. 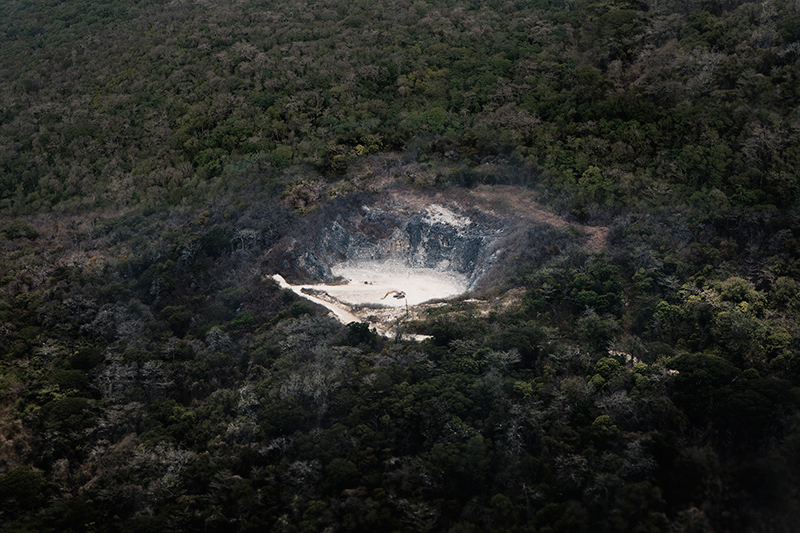 ShanghART Singapore is pleased to present a solo show by acclaimed Singapore artist and photographer Robert Zhao Renhui, titled “Christmas Island, Naturally” on view from 11 March through 8 May. 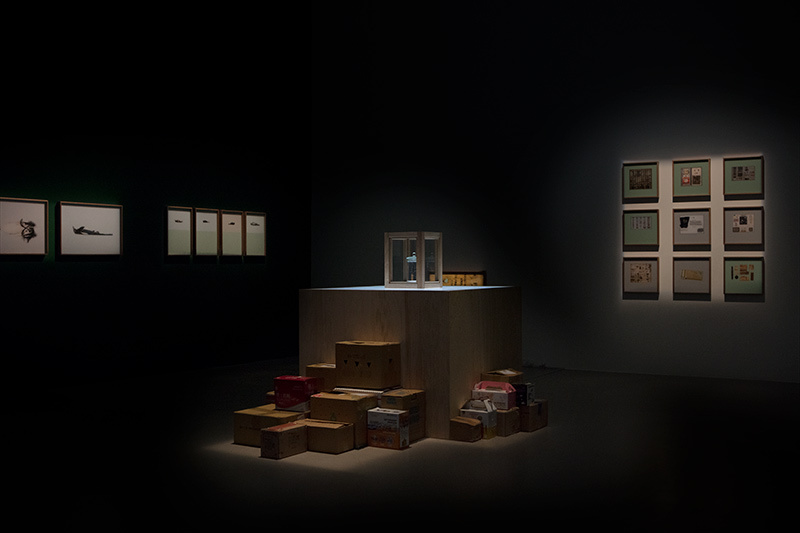 The exhibition comprises works commissioned for and exhibited at the Sydney Biennale 2016 and marks the debut of these works in Singapore, as well as showcasing previously unexhibited works in the series. The opening reception will be held Wednesday, 15 March 2017, from 6-9pm, including an artist’s talk and exhibition book launch. 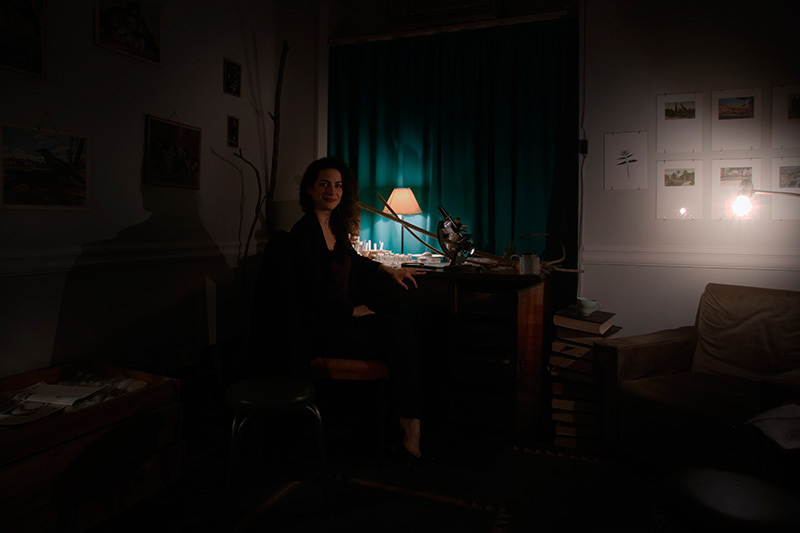 Under his Institute of Critical Zoologists (ICZ), devoted to a “critical approach toward the zoological gaze, or how humans viewanimals” and to “advance unconventional, even radical, means of understanding human and animal relations,” the artist’s multi-disciplinary approach appropriates scientific language, tools, methods and even apparatus, juxtaposed with fabulist storytelling. His works inhabit an uncanny space between reality and fantasy, often exposing overlooked contradictions, assumptions, and tensions inherent in man’s relationship with nature. Blending fact and fiction, truth and artifice, the artist invites viewers to contemplate upon the image and information being presented, a reflexive gesture that proves to be particularly pertinent in an image-saturated world of “fake news.” And sometimes, as the artist demonstrates, truth is in fact stranger than fiction. The artist conducted a research residency on Christmas Island between 2015-2016. A small volcanic outcrop in the Indian Ocean, the island’s geographic isolation has resulted in its endemic biodiversity. Once part of the Crown Colony of Singapore, the island is now an External Territory of Australia. 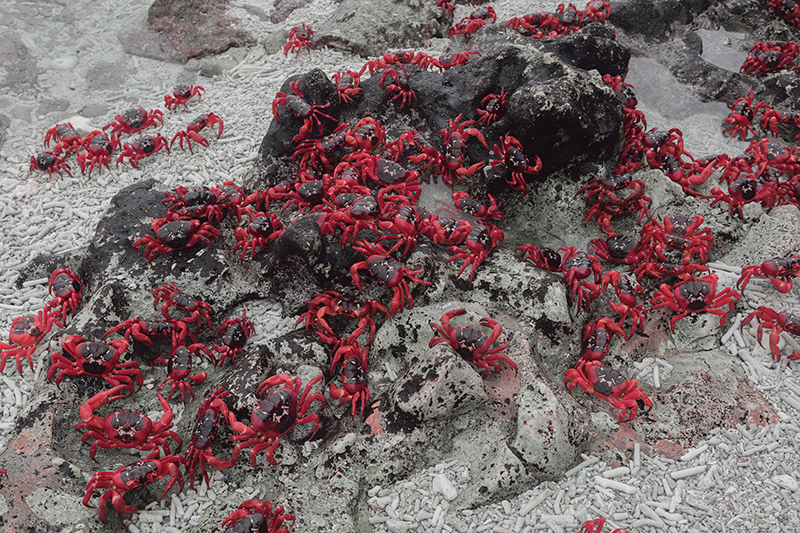 Christmas Island is best known for its annual breeding migration of red land crabs from land to the sea, during which millions of bright red crustaceans overtake the island and all vehicular activity grinds to a halt. 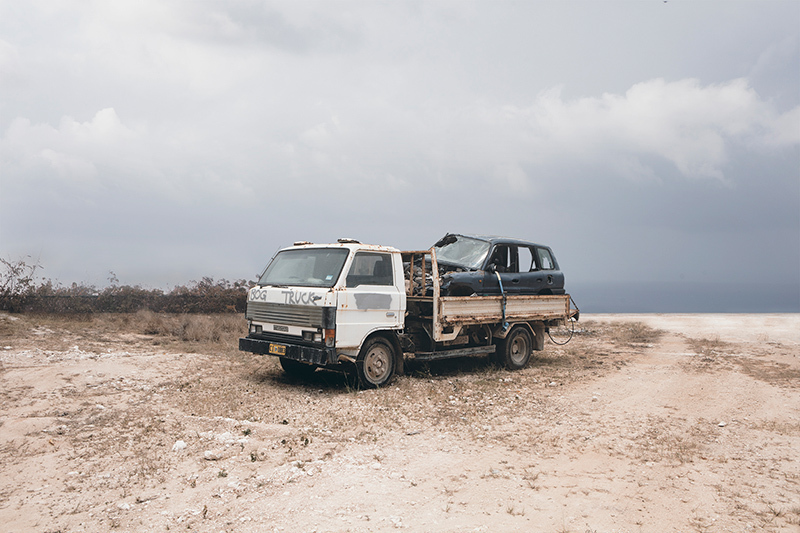 Phosphate mining, the island’s main industry, began in the late nineteenth century, and invasive species brought over by human settlers have tipped the scales of the island’s fragile ecological balance, driving multiple native species to extinction and threatening others. Conservation efforts include an island-wide culling of non-native cats, to which the island’s native fauna had fallen easy prey. 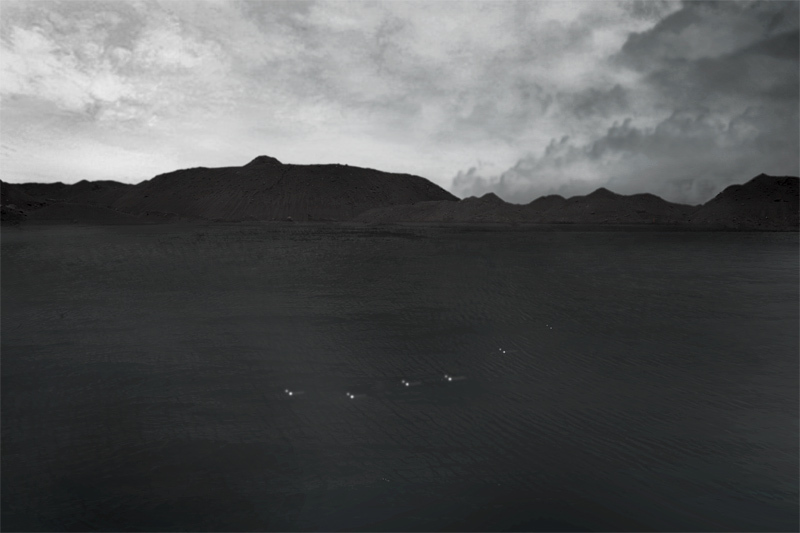 The artist’s study focuses on documenting the island’s imperiled and extinct species, and also examines the unintended consequences of man’s presence. 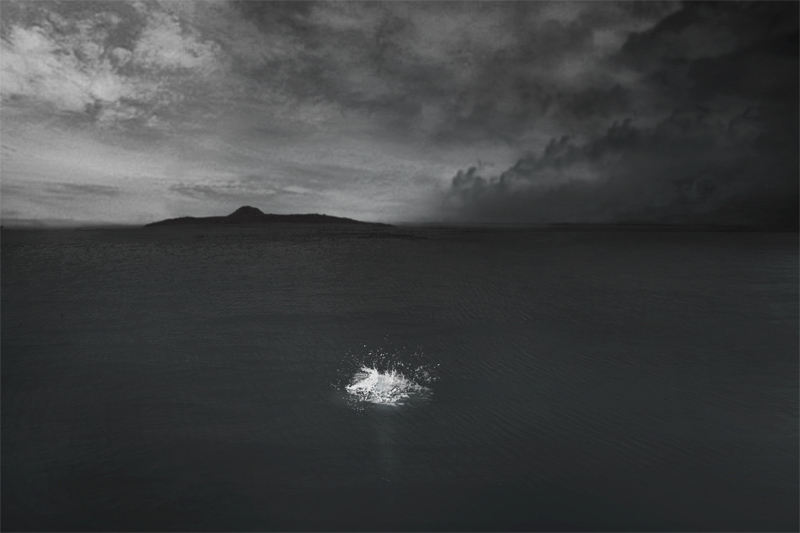 The artist’s photographic series of the island’s strange creatures, natural phenomena and landmarks are accompanied by signature pseudo-scientific, tongue-in-cheek exposition and field notes. 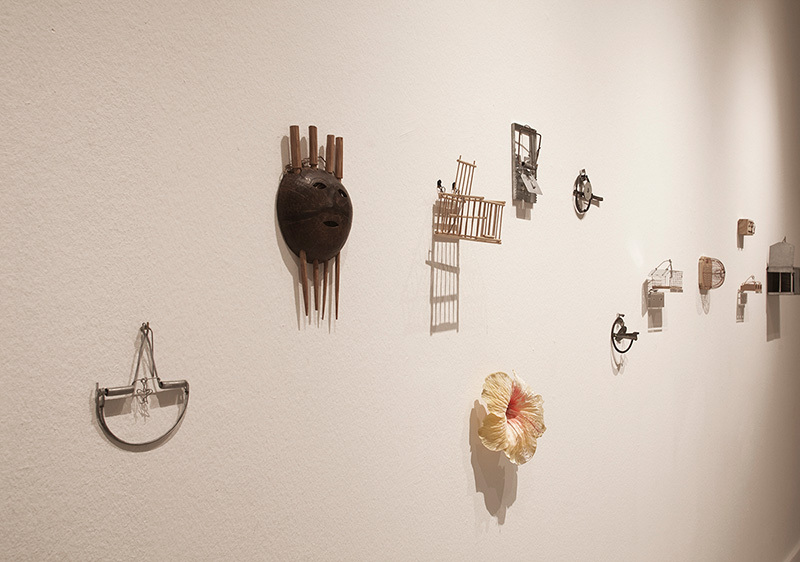 In addition, the artist references objects from the island for two installations on view. Memorial to the Christmas Island Pipistrelle (2016) is a solar-powered ultrasonic echolocator used to track the pipistrelle bat. Rendered meaningless due to the species’ extinction, the apparatus serves as silent, poignant reminder of the pipistrelle’s permanent absence. 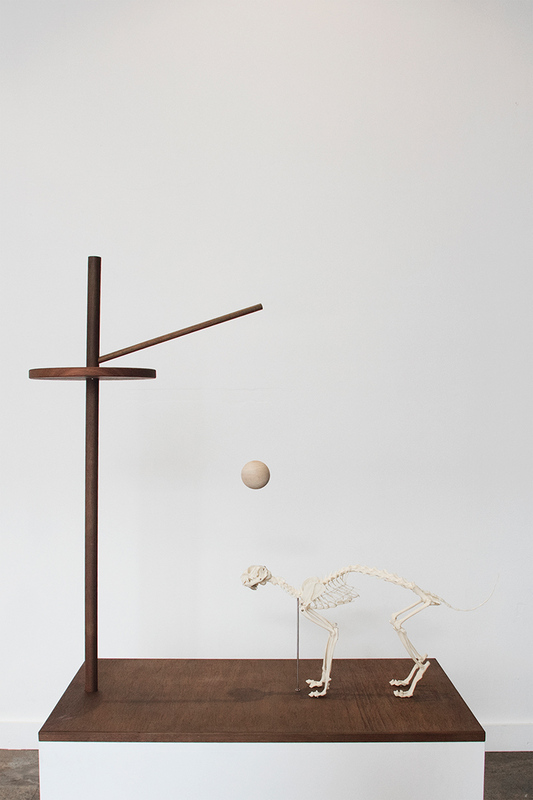 The elegant wooden form of Memorial to the Last Cat on Christmas Island (2016) belies its lethal function as a feral cat trap, indicated by its pointed installation together with a resin cat skeleton. 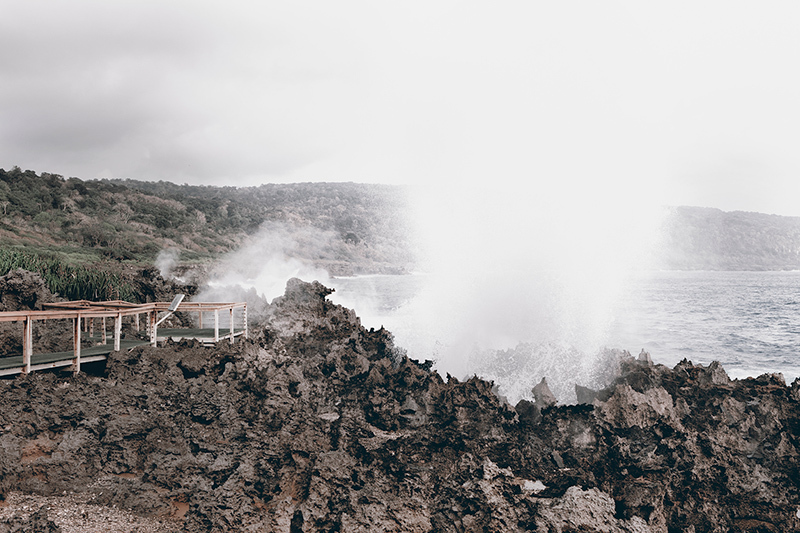 “Christmas Island, Naturally” culminates in a speculative solution to remove all invasive species from the island once and for all, whereby humans, also proverbial “invasive species”, opt to leave the island in order to preserve its ecology. 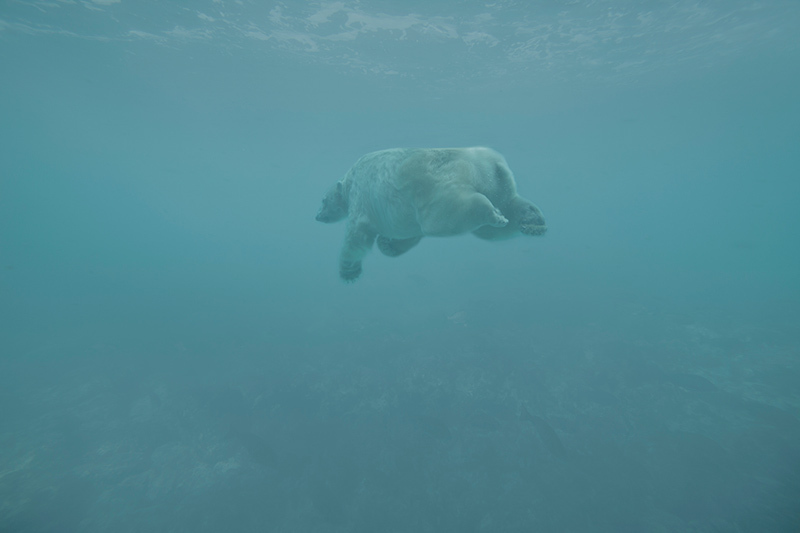 This imagined scenario unfolds via a fictive conservation conference program, “Life After Humans – Rewilding Island Ecosystems,” as well as extracts from scientific papers presented. An Affliate project of Singapore Biennale 2016. The Photograph as Atlas looks at photography’s role as a mirror of history that can be both objective and subjective at the same time. It explores the navigation and creation of history through photographs, and how – as much as they serve as a record of history – photographs may also be manipulated and navigated in new ways, proving that they are not as faithful as they seem to be. 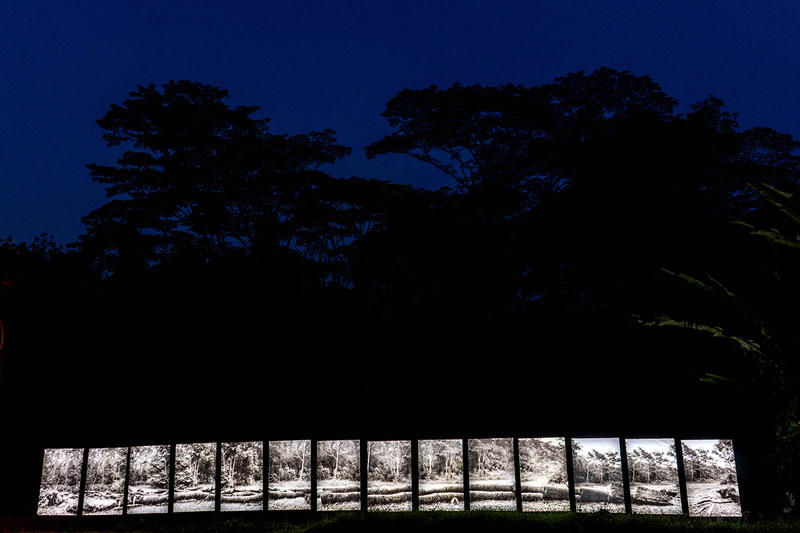 In The Natural History of an Island, artist Robert Zhao Renhui looks at the natural history of Singapore in a 100-year frame, based on his collection of images of Singapore’s natural landscape from the 1900s. 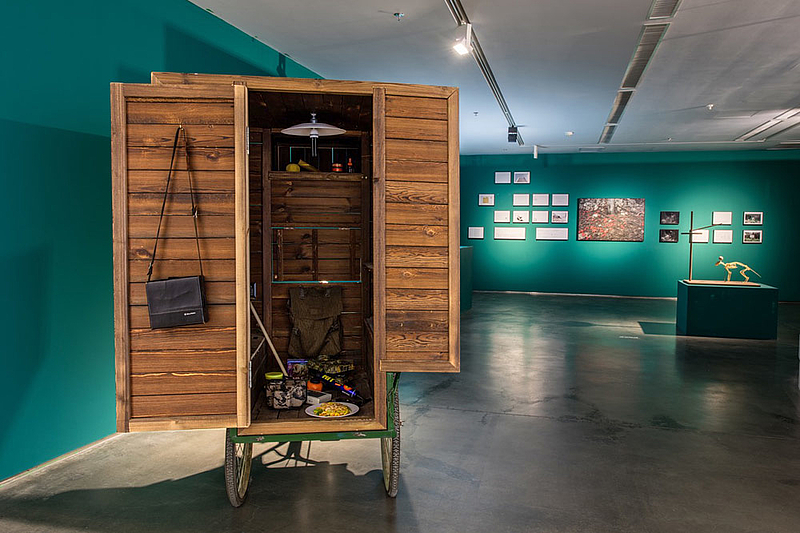 Using a self-made mobile expedition vehicle, the artist explores and maps out ‘natural’ spaces in tress in Singapore, uncovering historical narratives along the way. 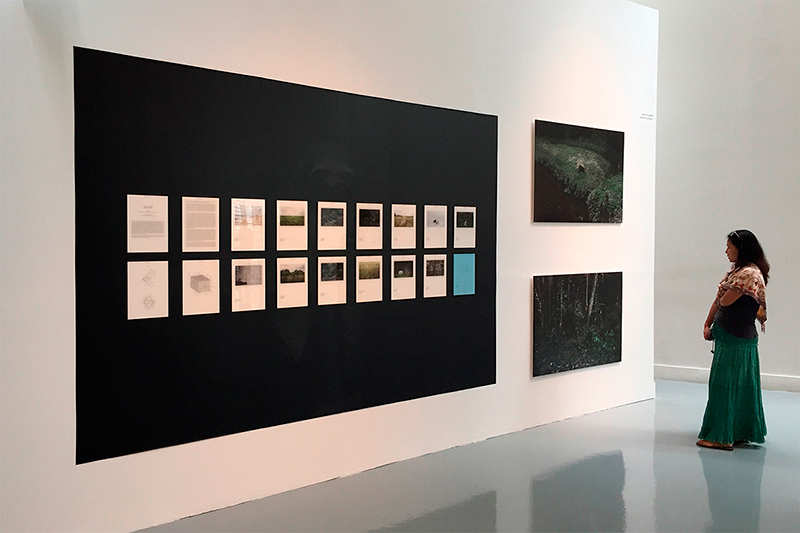 Investigating Singapore’s relationship with its natural landscapes through the years, The Natural History of an Island examines the various ways in which the landscape has been altered based on needs and desires from nature. A Guide to the Flora and Fauna of the World will be exhibited at this year's Chobi Mela International Festival of Photography, Transition. Ageing gracefully through decades, trees create a sense of collective identity across generations. Against our changing landscape of modern skyscrapers and high-rise buildings, they stand steadfast as living memoirs of Singapore’s shared heritage. At the bottom of the Glass Rotunda is the Singapore, Very Old Tree exhibition, inspired by an old postcard found in the National Archives of Singapore. The postcard depicts an unspecified tree dating back to the year 1904. Produced by renowned local photographer and artist Robert Zhao, this exhibition was first commissioned as part of the Singapore Memory Project and later exhibited as part of the nation’s SG50 celebrations. This permanent exhibition showcases 17 images of trees around Singapore and highlights the unique stories of each, providing an alternative perspective of Singapore’s history and the personal connections that Singaporeans have with our local trees. In 1963, a Mempat tree was planted by the nation’s Prime Minister. Planting has never been about trees; it’s a moment transformed into a photograph. Singapore has always shaped itself in, and after the image. Garden City is the clean and green image—think about those majestic trees that line our expressways as you emerge from Changi Airport. 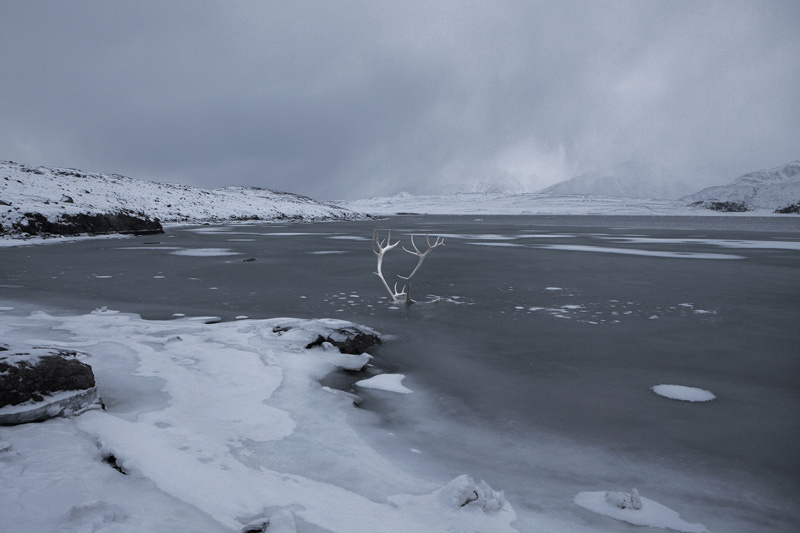 The Substation presents a programme of exhibition, performance and forum, through artists who resist constructed visions of nature as a singular, unchanging entity. They complicate our understanding of Nature and the Garden: from the edenic to the horrifying, from the sublime to fictions of representation. Nature, through their eyes, becomes speculative, autonomous but also charged with human trace. The Substation Gallery, 45 Armenian Street Exhibition: 5 - 15 May 2016 (Open daily from 12PM to 8PM) Closed for a private performance and forum on 7 May from 1PM to 4PM. This project looks at the ecology of Christmas Island. The nearly 150 years of human settlement have introduced a number of invasive species onto the island. Not only do these newcomers threaten some of the island’s most imperiled species, such as the Abbott’s Booby and Christmas Island Gecko, they have also caused the extinction of other species. Christmas Island's ecology is considered to be unique due to its endemic flora and fauna and the presence of large populations of land crabs and seabirds, which are the most noticeable fauna on the island. 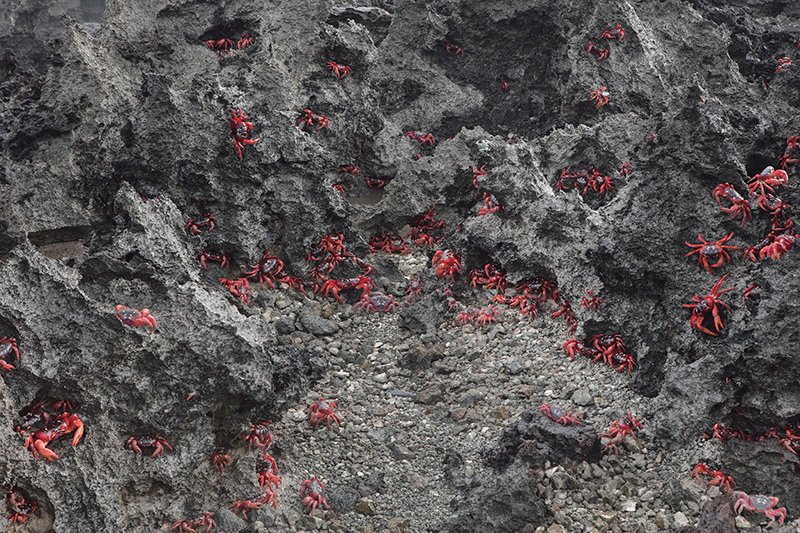 The annual breeding migration of the red crabs is also a well known event. Researchers estimate that 40 million crabs live on the island now, and the number could have been twice that before invasive yellow crazy ants became a problem. As a result of its unique biodiversity, exceptional endemism and the myriad of threats faced by invasive species, Christmas Island is a high-value conservation area currently gazetted as a strict nature reserve. In recognition of the island’s fragile ecosystems, the 3rd Christmas Island Conservation Plan called for the resettlement of human communities, which eventually led to a relocation of these communities to the Australian mainland. At present, a permit is needed for researchers intending to study biodiversity on the island, and the island remains indefinitely out of bounds to commercial tourism. 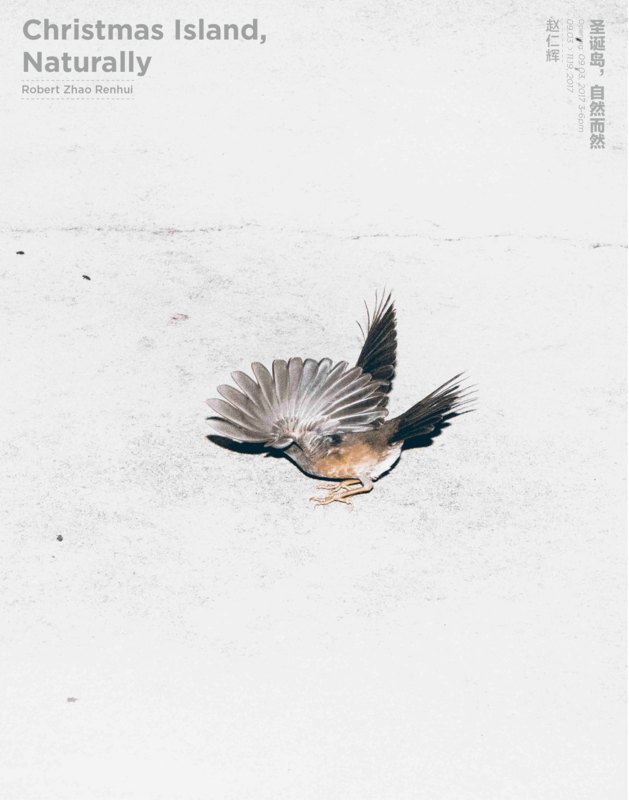 The artist, Robert Zhao Renhui undertook a research residency on Christmas Island between 2015-2016 and produced the book, 'Christmas Island, Naturally.' The book consists of 120 images and documents on the extinctions and conservation efforts on the island. 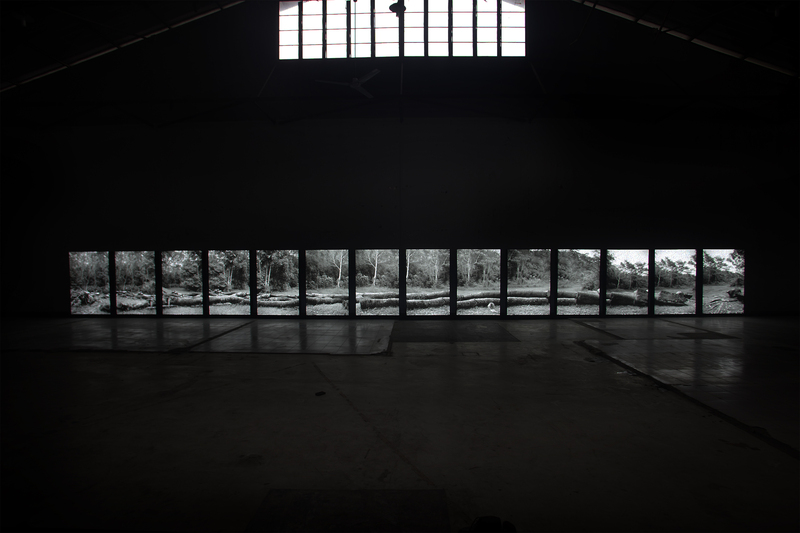 An installation of the project will take place at Carriageworks during the 20th Biennale of Sydney. The last echolocation call of a tiny bat native to the island, the Christmas Island Pipistrelle (Pipistrellus murrayi), was recorded on this spot on 26th August 2009. 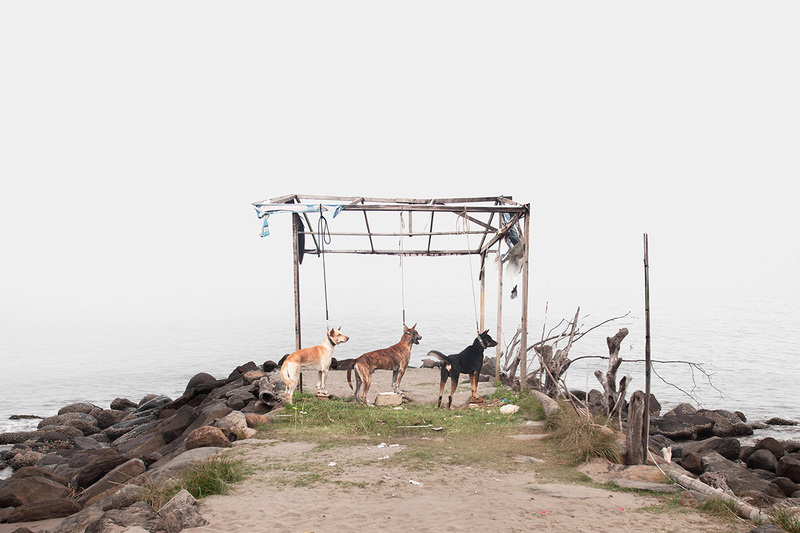 The last stray dog on Christmas Island was seen on this spot in 2012, shortly after the beginning of the Cat Eradication Program. There are currently no dogs on Christmas Island. Following a recent research expedition to the Christmas Island Natural Reserve, an ecologist asked us to assess the impact of the 3rd Christmas Island Conservation Plan on populations of endemic animals. We replied that, although a quantitative assessment is dif cult and more research is needed to understand this phenomenon, the net ecological impact has been positive. After a long pause, the perplexed ecologist asked how it could be possible that a landscape invaded by exotics could produce positive ecological consequences. The answer was simple— humans have evacuated the island. 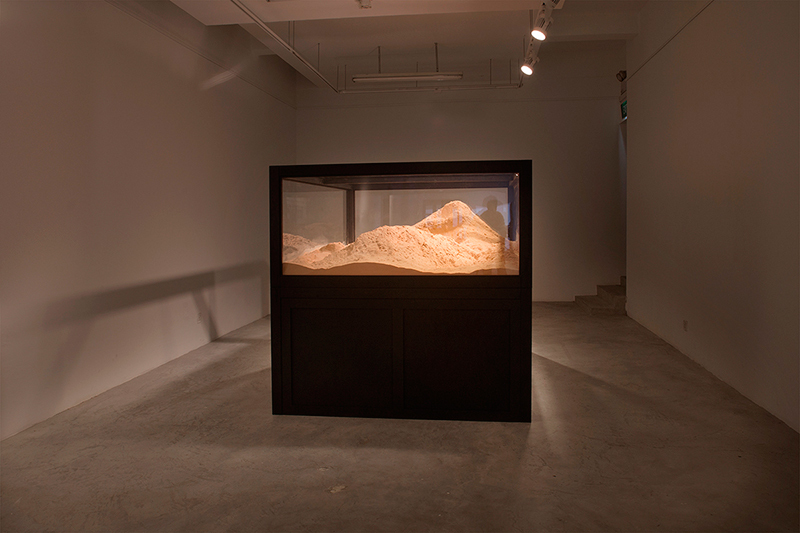 Vitrine, 150kg of sawdust from The Substation Malayan Banyan tree. The artist spent nine months sanding down each piece of trunk manually with sand paper. 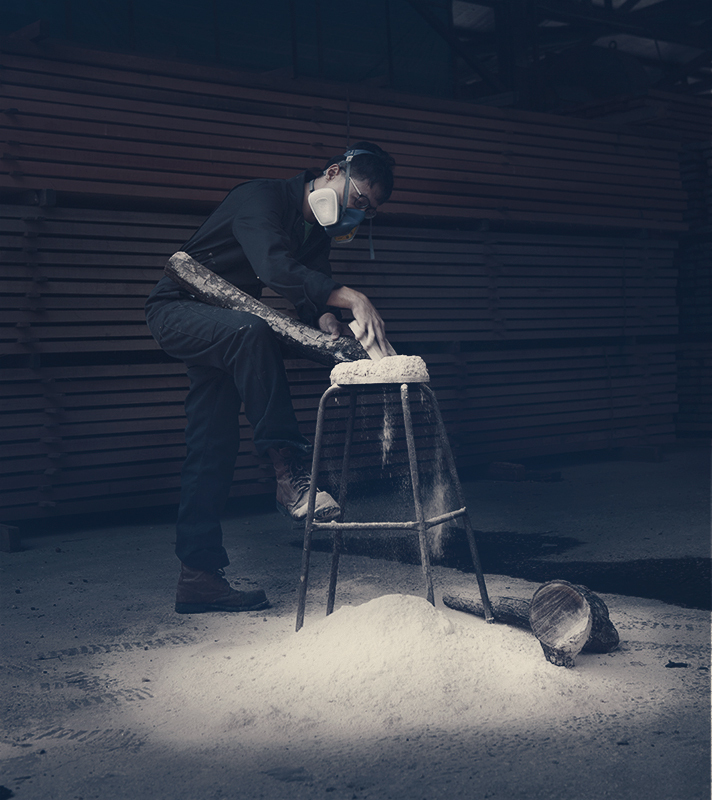 This pile of sawdust came from 200kg of wood. In 2014, I spent a few nights under one of the Banyan trees at the back of The Substation for a project. A few months later, all the trees there were chopped to make way for a new building, except for the largest one, which was uprooted and kept somewhere till it finds a new home. During the demolition, I salvaged some of the tree trucks and kept them, not really knowing what I would do with them. A year later, I found that the trunks were mostly intact, and there were little insects and plants growing in them. Only one of the segments was reduced to an ashy powder by powderpost beetles. I started thinking about the idea of disappearance in nature, and how long, without intervention, a tree takes to disappear. As an experiment, I started sanding all the wood down manually to see how long I can reduce it to dust. It took me nine months. 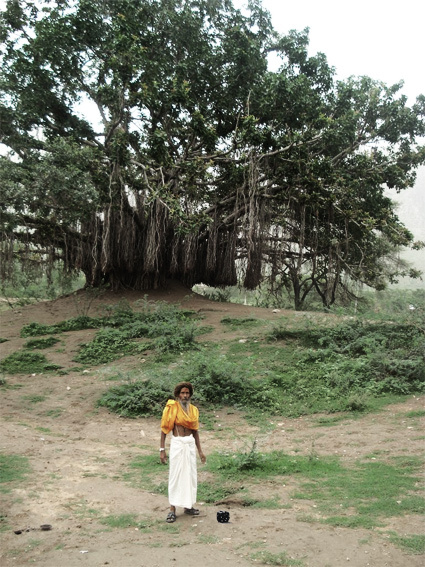 Meanwhile, I know that the large Banyan tree will be transplanted in a few years time. It takes forever for a tree to disappear in the forest, but in Singapore, we can grow a 30-metre tree in just a few days. It is almost a miracle. 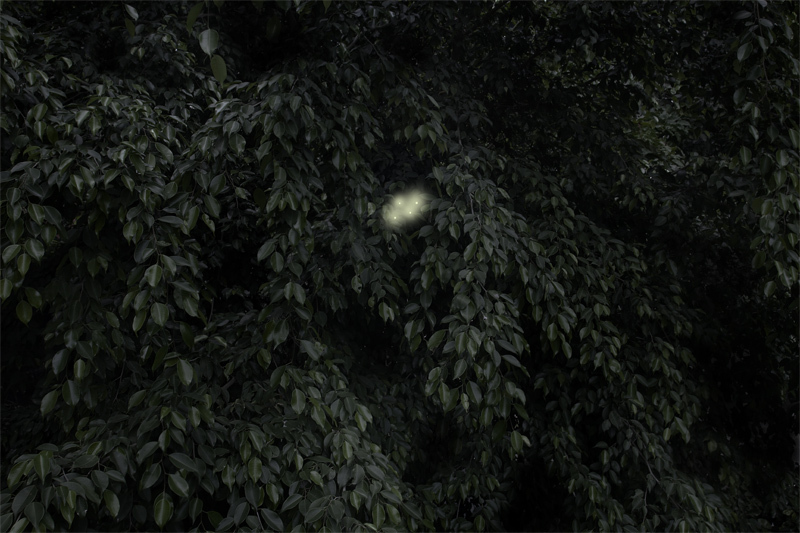 Slow disappearances and instant trees: Time is warped in the tree world in Singapore. The artist salvaged this long root from the Substation Banyan tree that was taken away to be transplanted. The inside of this branch is slowly being eaten by the larva of powderpost beetles, which spend months or years inside reducing the wood to fine powder. Their presence is only apparent when they emerge as adults, leaving behind pinhole-sized openings, often called "shot holes". 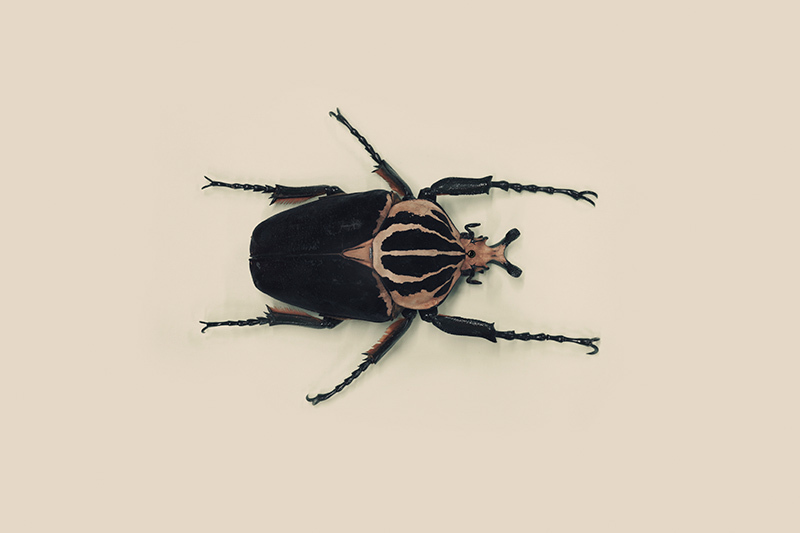 If conditions are right, female beetles may lay their eggs and re-infest the wood, continuing the cycle for generations, and reducing the wood to a pile of dust. A Guide to the Flora and Fauna of the World is nominated by Louise Clements (UK) to be part of the Discovery Award this year. The Discovery Award is given to a photographer or an artist using photography whose work has recently been discovered or deserves to be. Every year since 2002, each of the five nominators invited by the Rencontres d’Arles has nominated two photographers, who exhibit their work in a solo show at the Parc des Ateliers. PAUSE, a contemporary photography exhibition, is a part of Photo Bangkok festival 2015 with the support of Bangkok Art Cultural Centre. The artists in the exhibition are Ang Song Nian, Bui Huu Phuoc, Jed Escueta, Kim Hak, May Co Naing, MES 56, Minstrel Kuik Ching Chieh, Naruebes Vadvaree, Nazaruddin Abdul Hamed, Phan Quang, Prateep Suthathongthai, Robert Zhao Renhui, Sophal Neak, Souliya Phoumivong and Yason Banal. This contemporary photography exhibition, PAUSE, introduces a sketch or a collage of stories and issues of the region through the artists’ critical point of views without any conclusion. All exhibited artworks do not come from single disciplinary. They reflect visions and opinions that are re-contextualizing through photography in various medias in order to open our mind for new realities from our neighborhood. 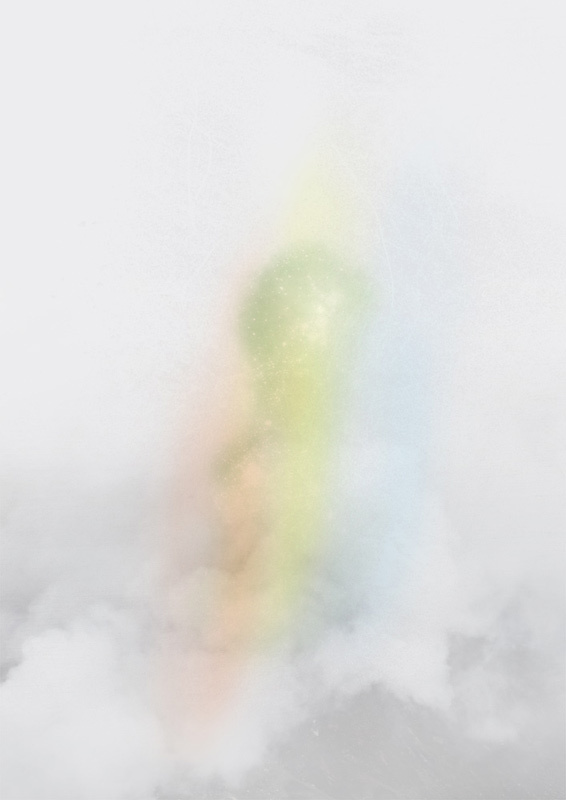 Through the theme of adaptation, a subject that is of particular contemporary relevance, the 19th Biel/Bienne Festival of Photography will reveal trends in emerging Swiss and international photography. In their explorations of the remarkable ability of living things to adapt, the invited photographers record how human beings, animals, and even the landscape are transforming themselves in reaction to new conditions. In the 21st century, the challenges are mainly created by humans themselves. Confronted with entirely new situations, individuals, whether in isolation or as members of a group, seek ways to adapt, or sometimes to resist it. The Festival has selected works of photography which engage closely with issues that raise questions for the future of our contemporary societies: intensive resource development, neocolonialism, demographics, economic needs, recent political changes, religion, genetic modification, climate change, new technologies, as well as the uses of the medium of photography itself. The photographers have aimed at finding subjects that reflect a present that is very near to us, from one end of the planet to the other: from Japan to the US, from Ukraine to Lesotho, and in Switzerland too. 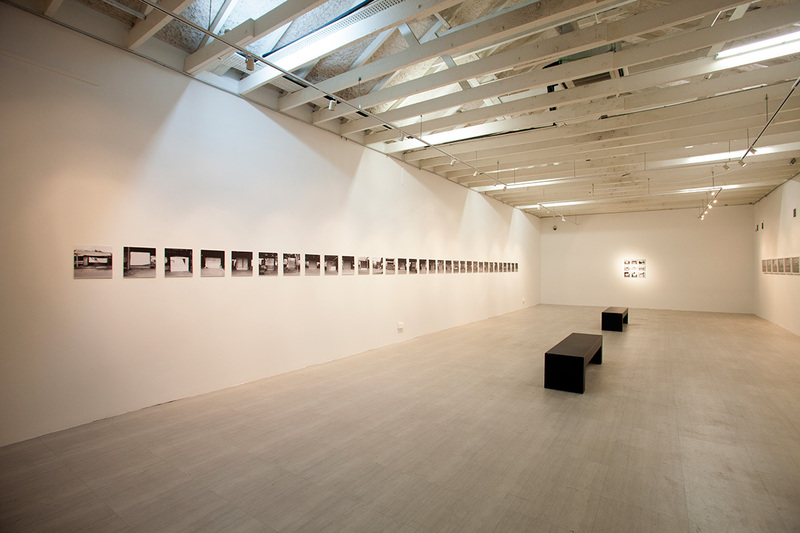 The images offer a panorama of the practice of photography now: documentary photos, humanistic projects and conceptual ones; photographs with a scientific or classificatory aim; projects that incorporate archival images or images found on the internet; and installations that take possession of the exhibition space. Documents and images from A Guide to the Flora and Fauna of the World is on show at the Neues Museum Biel. A family portrait photograph of 4784 flies from a single family of flies. Each fly is meticulously labelled with information of its provenance and some of these flies mimics/pretends to be other insects like bees and wasps to cheat predators. 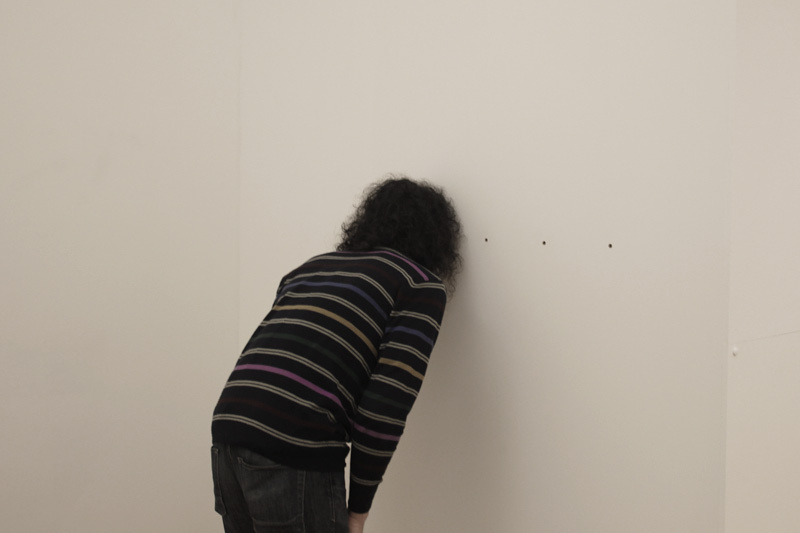 Resulting from his three-month residency at Kadist Art Foundation, Flies Prefer Yellow is the North American debut exhibition of Singapore-based artist, Robert Zhao Renhui (b. 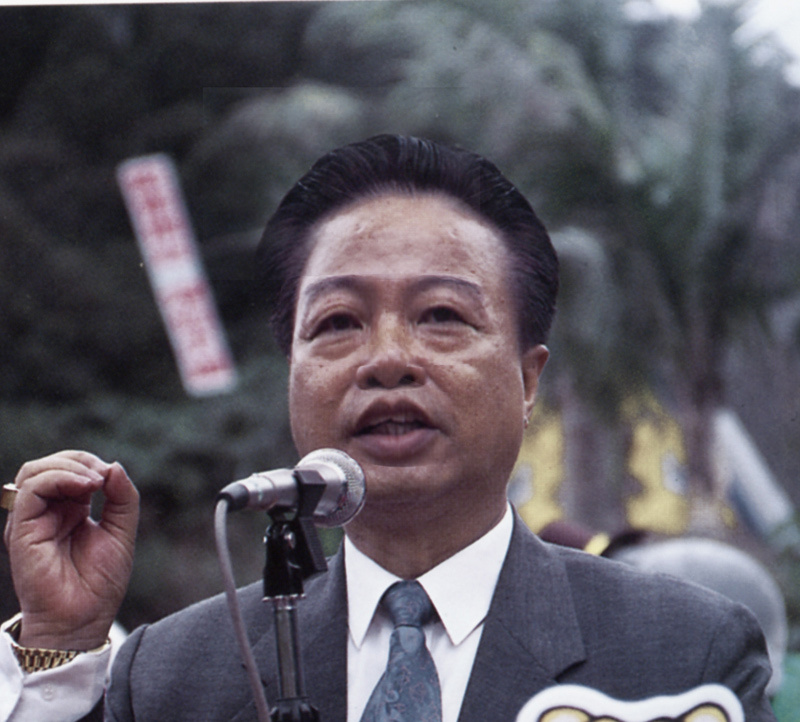 1983). 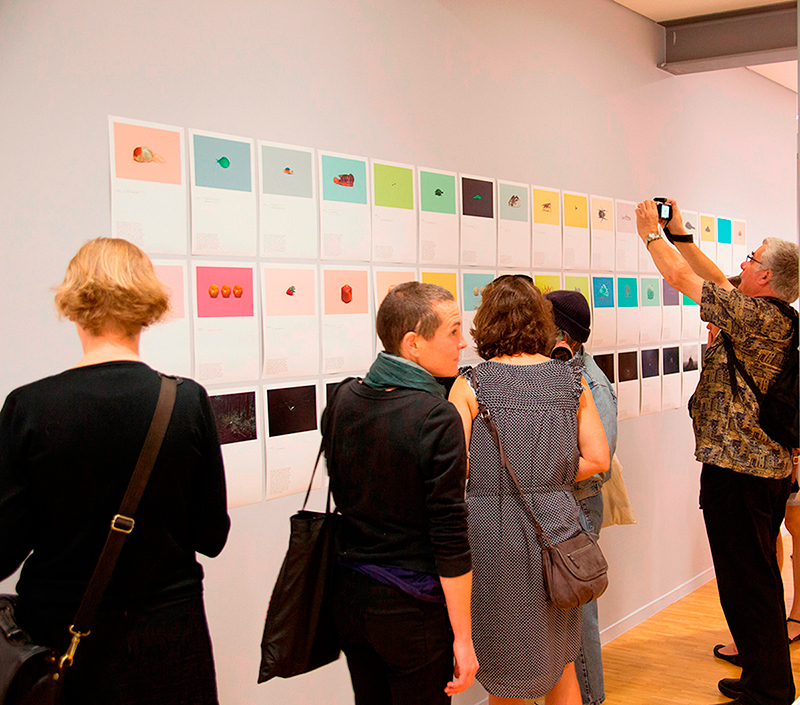 Featuring installation and photographic works, the exhibition explores boundaries, systems, neuroses, and control through the artist’s encounters with one of the most inconspicuous insect species on earth–flies. Despite their ubiquity and adaptability (more than 145,000 species exist), flies remain nearly invisible to many humans. This dismissive outlook is attributed less to visual perception, and more to a psychological predisposition towards the insect’s lack of purpose—a manufactured negligence that determines what we see and what we do not. 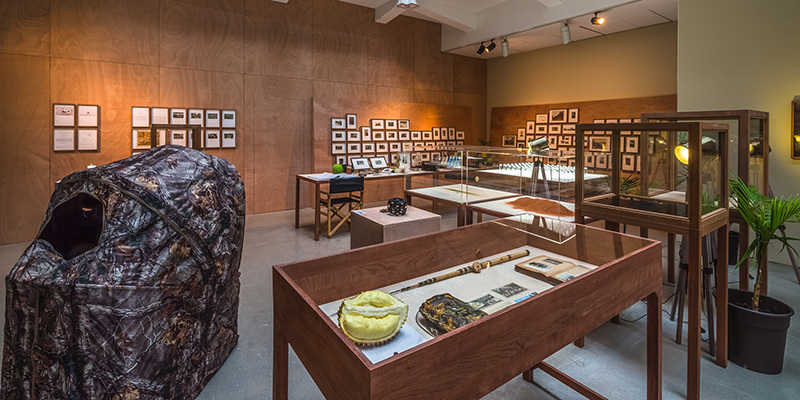 Rendering the unseen visible, and the ignored critical, this multidisciplinary exhibition amplifies the intersections of insect and human, natural and urbanized environments, and entomology and art practice. During his residency, Zhao made multiple visits to the Sacramento insect lab of Dr. Martin Hauser, Senior Insect Biosystematist at the California Department of Food and Agriculture (and longtime acquaintance of the artist’s). Inspired by Hauser’s scientific impulse towards exhaustive taxonomy, Zhao began observing and cataloguing insects. 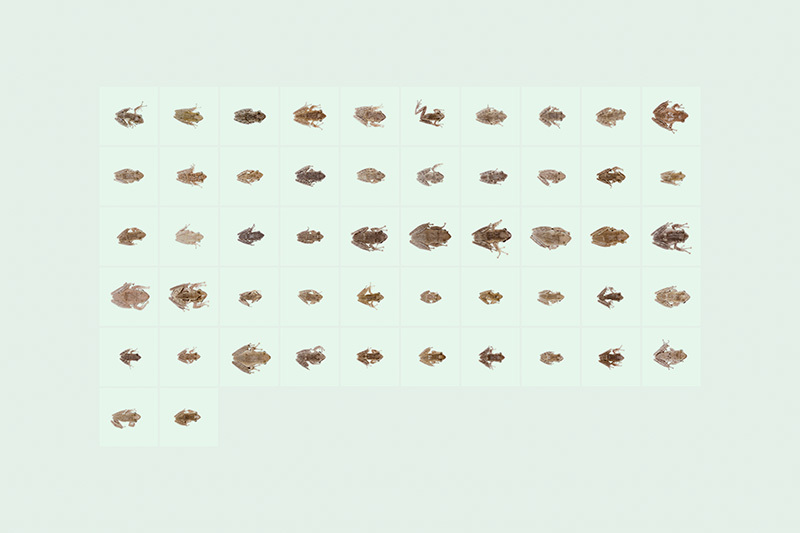 Ranging from beetle-tracking within the urban core of San Francisco, to collecting the various insect carcasses from his windshield during road trips, the artist began accumulating observations about the indigenous insects, and in particular, the flies he encountered. In addition to the flies themselves, Zhao’s curiosity extends to the various traps and methods humans use to rid themselves of the pests. 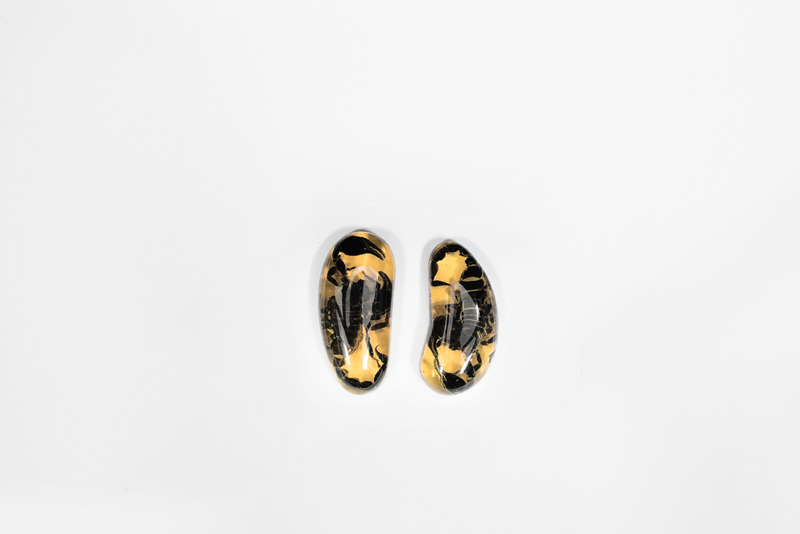 The exhibition’s title, Flies Prefer Yellow, on the one hand refers to the artist’s affectionate imagination through its anthropopathic tone, implying a desire to be friendly with the insects. On the other hand, the preference is actually a statistical observation as most commercial flytraps are produced in the color yellow. Through the lens of flies, the exhibition invites critical reflection on human’s paradoxical relationships with animals and our organic world. 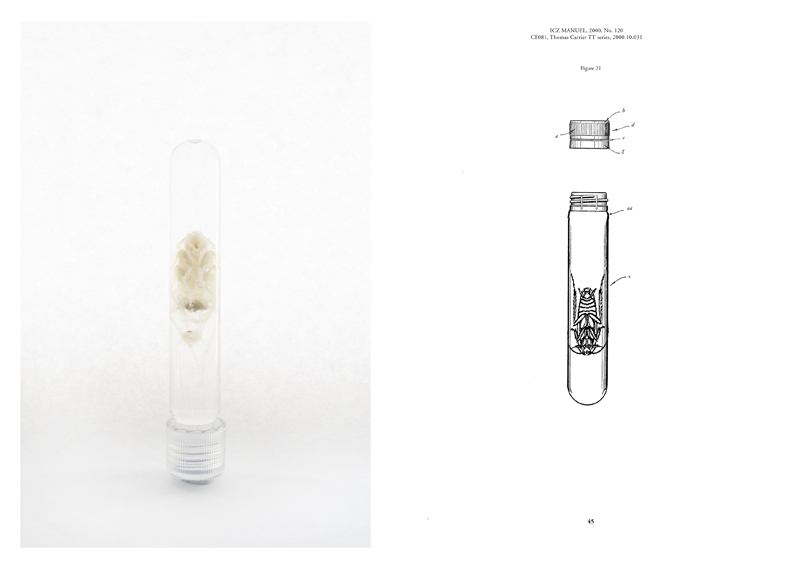 On the evening of the opening reception, November 19 6-9pm, Dr. Martin Hauser joined Zhao and Xiaoyu Weng in conversation within a pop-up laboratory of his scientific materials and specimens. Monica Martinez, of Don Bugito, served edible insect appetizers alongside a special insect cocktail by Helena Keeffe. 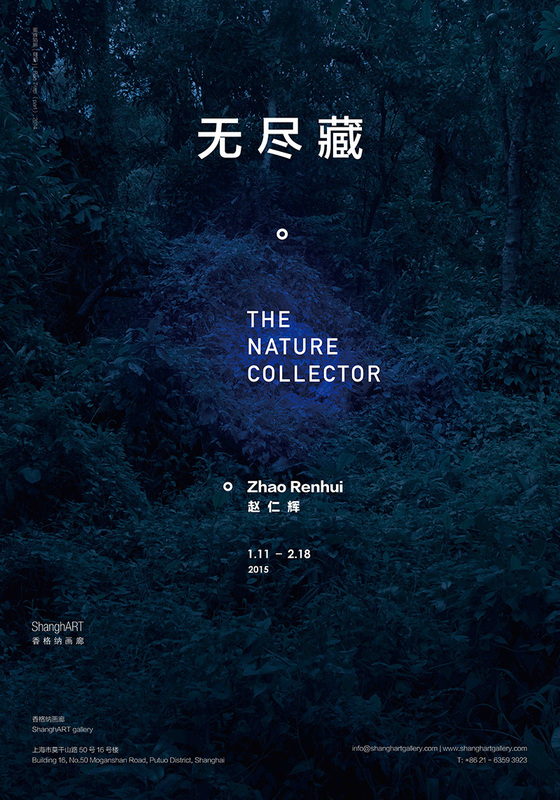 ShanghART Gallery Shanghai is pleased to present Robert Zhao Renhui’s exhibition “The Nature Collector”, his first solo presentation in China. 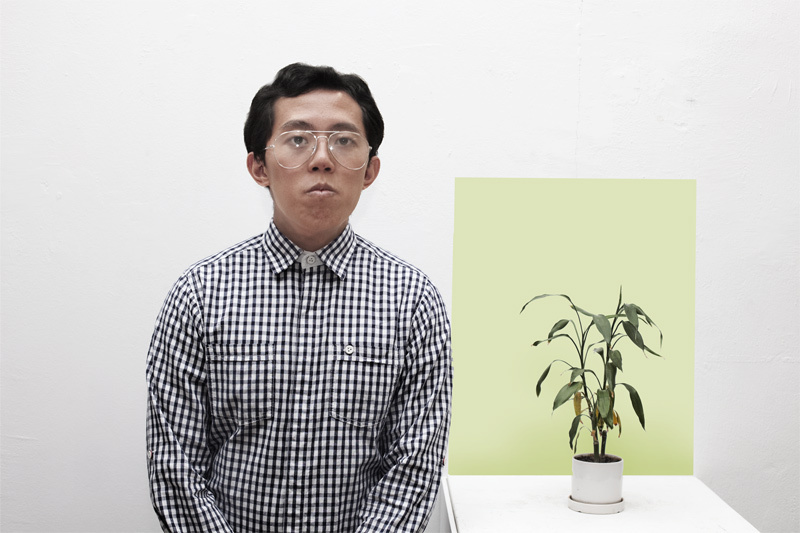 Zhao is an emerging Singaporean visual artist whose practice includes photography, performance, video and installation. Austere and mysterious, his works explore the relationship between humans and the nature, and frequently appropriate on the language and processes of science. 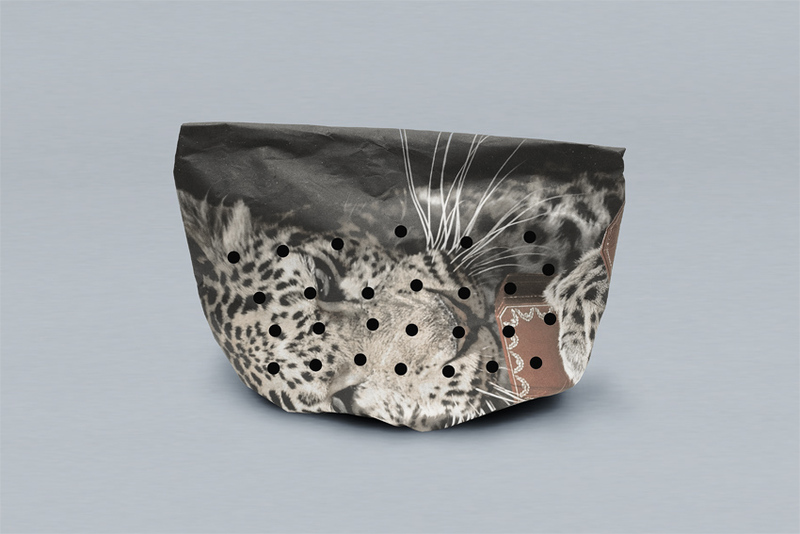 For “The Nature Collector”, he unveils new works themed around the idea of animal traps. 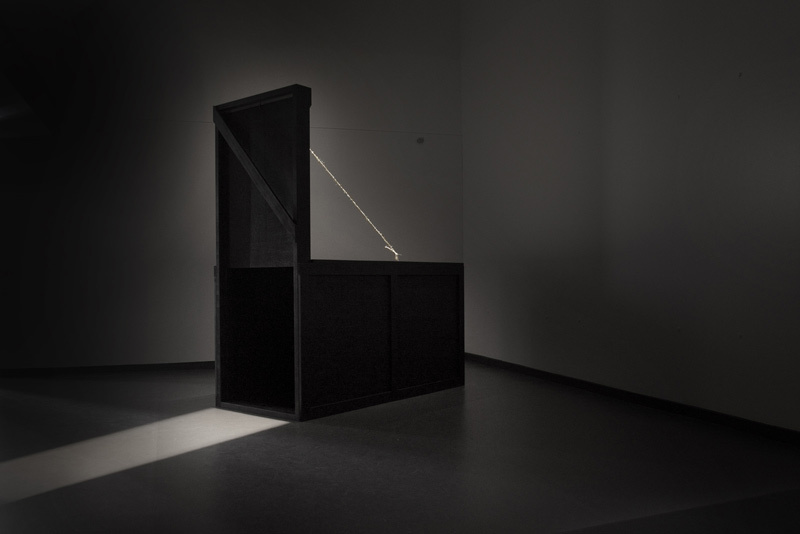 Traps are a source of fascination for Zhao, who sees them as elegant physical manifestations of humankind’s knowledge of a particular creature. To best lure an animal into your trap, you need intimate knowledge of that species, as well as its habits, preferences and weaknesses. 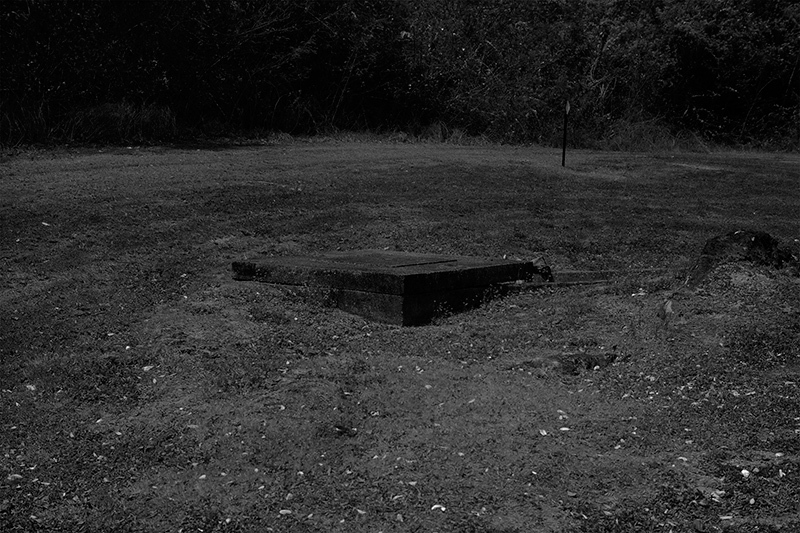 Zhao’s images of traps, however, are open-ended and unexplained. They are landscapes inviting contemplation, and are possibly, ruses: Is the artist telling the truth? 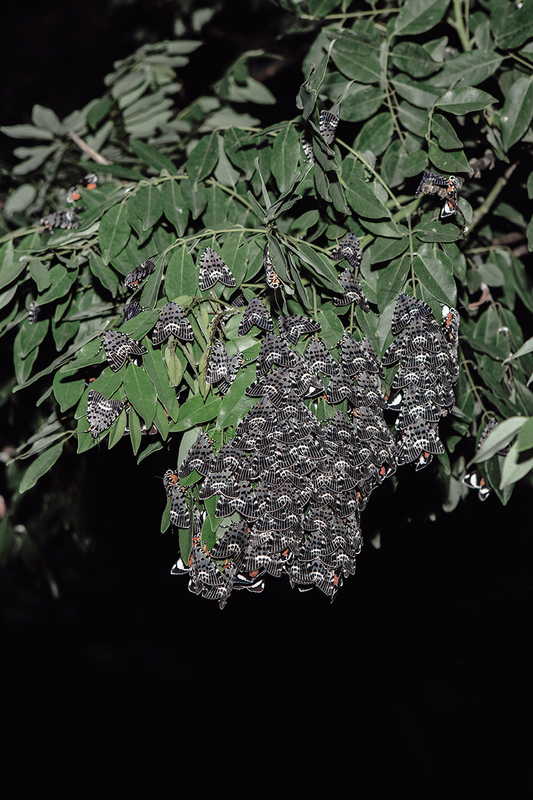 A splash of blue in jungle landscape is simply titled Bee Trap, and what appears to be a photograph of small red balls hanging in trees is called Apple Moth Trap. Some works take on a hint of menace, touching on ideas of entrapment, punishment and sin. 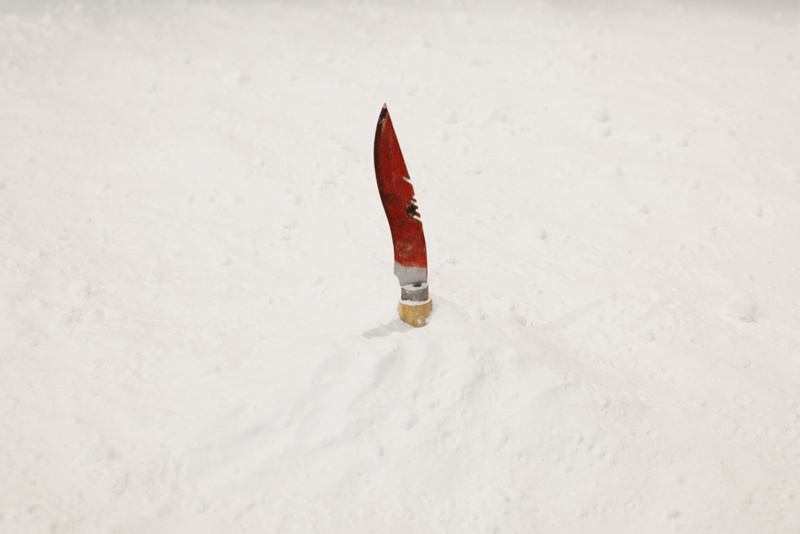 In Eskimo Wolf Trap Often Quoted in Sermons, a bloodied knife is stuck in a bed of snow. Behind, a text describes how a wolf, lured by rabbit’s blood on the knife, will lick the knife, cutting its own tongue, getting more excited by its own blood, till it eventually bleeds to death. Zhao’s work also explores notions of boundaries, systems and control as human beings attempt to know and catalogue the natural world. 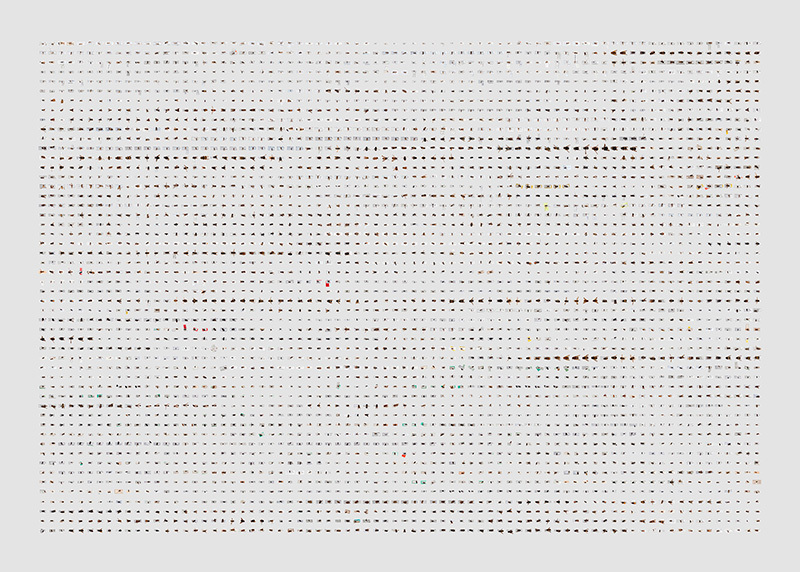 In “He counts the stars and calls them all by name”, a large photograph shows 4784 insects meticulously arranged and labelled with information of their provenance. The Biblical reference alludes to a complicated power releations between scientist and subject, human and animal, classifier and classified. "Eventually, a wolf will approach the knife and begin to cautiously sniff and lick the frozen blood. After believing it is safe, the wolf will lick more aggressively. Soon, the blade of the knife becomes exposed and it begins to nick the wolf’s tongue. Because its tongue has been numbed by the cold of the frozen blood, the wolf is unaware that he is being cut, and the blood it now tastes is its own. Excited at the prospect of fresh, warm blood, the wolf will hungrily lick the blade all the more. In a short time, the wolf will grow dizzy and disoriented. In a matter of hours, it will die from blood loss, literally drinking itself to death. As horrible as this picture is, it illustrates an important truth." APB Foundation Signature Art Prize returns for its third edition this year. Recognising the most outstanding contemporary work by both emerging and established artists over the last three years, the prize puts the spotlight on compelling works of visual art from across the Asia-Pacific region. Eskimo Wolf Trap often quoted in sermons is one of the shortlisted 15 finalists. Selected by a panel of five eminent judges from around the region, the 15 finalists were chosen from a total of 105 nominated artworks from 24 countries and territories. The contemporary artworks represent the very best of the region, and come from 13 diverse countries and territories including Australia, Bangladesh, China, India, Indonesia, Japan, New Zealand, Pakistan, Singapore, South Korea, Taiwan, Thailand and Vietnam. Staying true to contemporary practice, this year’s entries are of an extremely high calibre, collectively showing a real diversity of medium, innovative approach to genre and materials, and strong conceptual ideas. They each address topical issues and collectively shed light not just on the region’s contemporary art landscape but also on concerns and conversations relevant in society today. 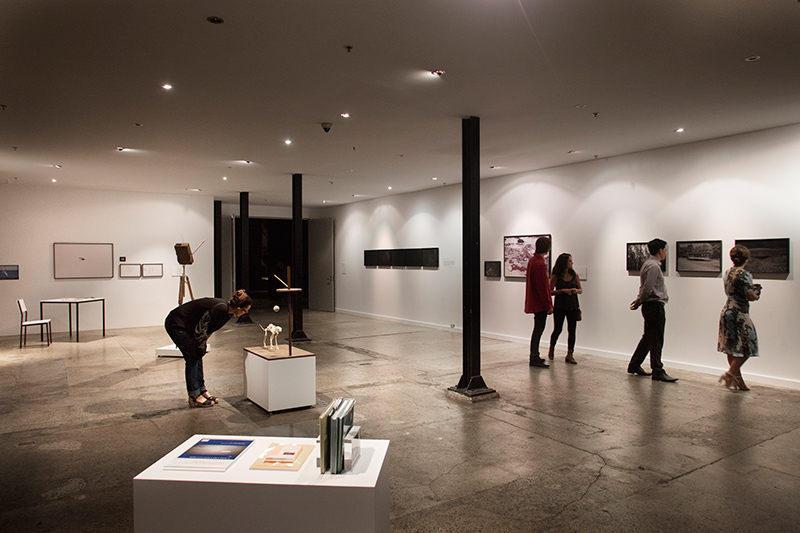 Photobook Melbourne is an artist-run, not for profit organization dedicated to creating a platform for experimental and innovative artistic photography and book making practices. A platform for artists, bookmakers and book lovers to discuss, examine and appreciate marvellous imagery and outstanding storytelling. We will bring together expertise and insight directly from the world’s greatest photographers, graphic designers, curators, publishers & printers. Our aim is to share their knowledge with professional photographers, passionate amateurs and the inquisitive book lover. Initiating conversations about the nature of self publishing, form and function, practice and process. 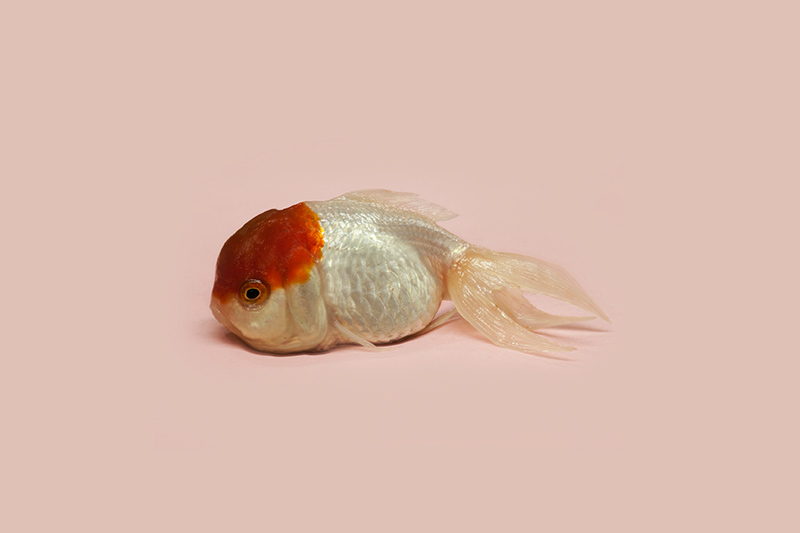 A Guide to the Flora and Fauna of the World will be exhibiting at the Centre for Contemporary Photography, Melbourne. Call for Citizen Science Participation in Singapore. 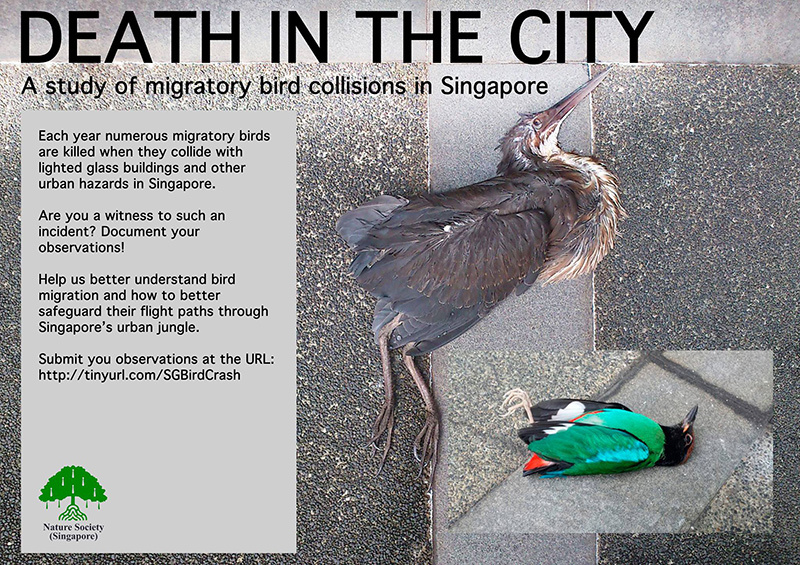 Long term bird collision study for Singapore during migratory period between September to November. 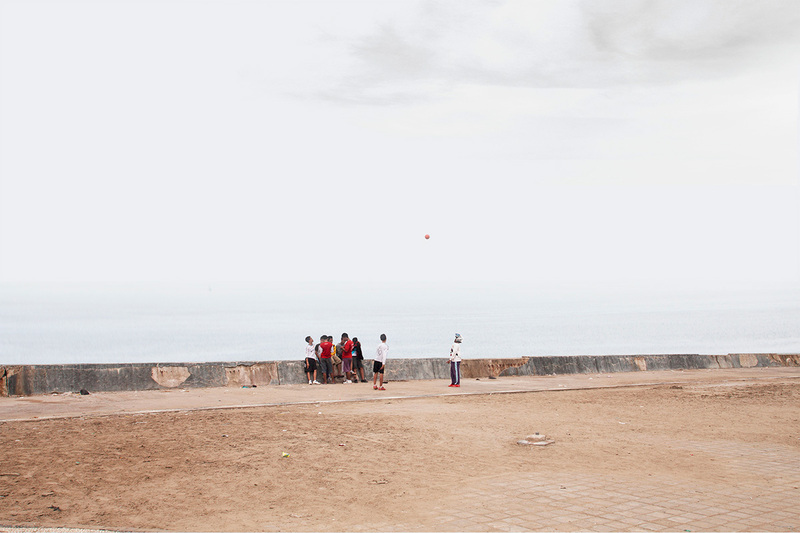 Created during a residency with the Earth Observatory of Singapore, the project looks at Padang, Indonesia. Scientists has predicted a tsunami (the size of a tsunami that hit Aceh, Sumatra) will hit Padang in the next 30 years. The project looks at how the possibilities and impossibilities of knowing a disaster in Padang and what a prediction does to a landscape. The images shows the coasts of Aceh (post disaster) and Padang (pre-disaster). "...In this way, A Guide to the Flora and Fauna of the World also questions the limits of these systems of collating, ordering and disseminating knowledge, by blurring the lines between fact and fiction. It oscillates between the modalities of science and art, thereby inviting us to consider the roles of these disciplines in our apprehension and understanding of the world. 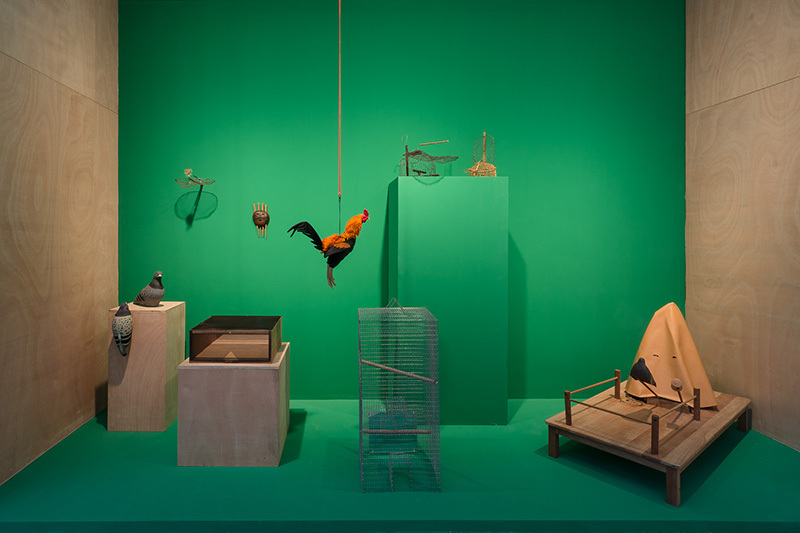 Included in the exhibition are new sculptures which extend Zhao’s zoological investigations. In Nepenthes sg. rh, a plant that was discovered in 1897 by Kimiya Yui in Singapore, known only be a pencil sketch by the botanist. 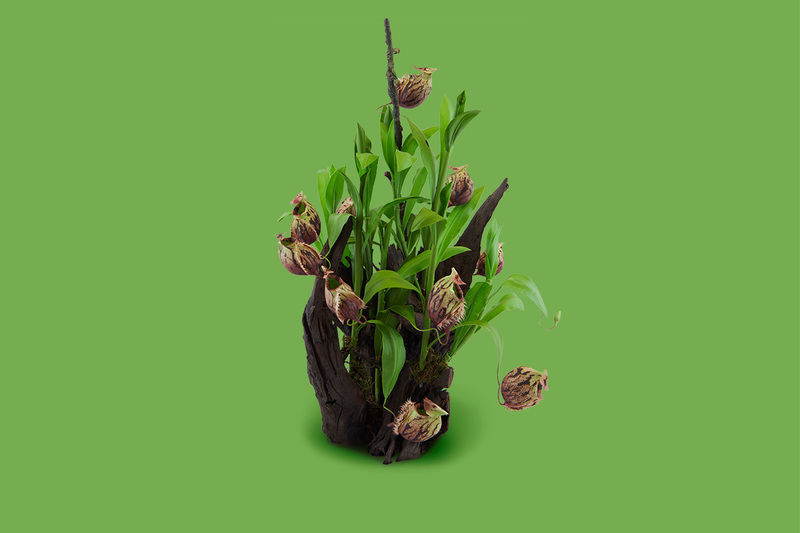 The plant is an undescribed tropical pitcher plant known from a single tree in Singapore and has never be seen again. Zhao created a sculpture from Yui’s sketch. 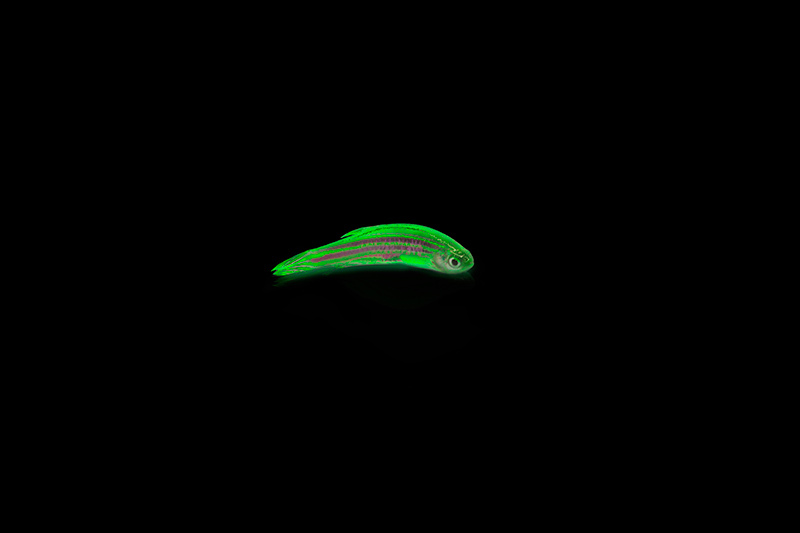 This is an ongoing series of work where the artist looks for species that were discovered but never seen again. Other exhibits include Unbreakable Egg, an egg that has been genetically modified with a plant’s gene to prevent it from breaking, resulting in an egg that has a wood like texture. 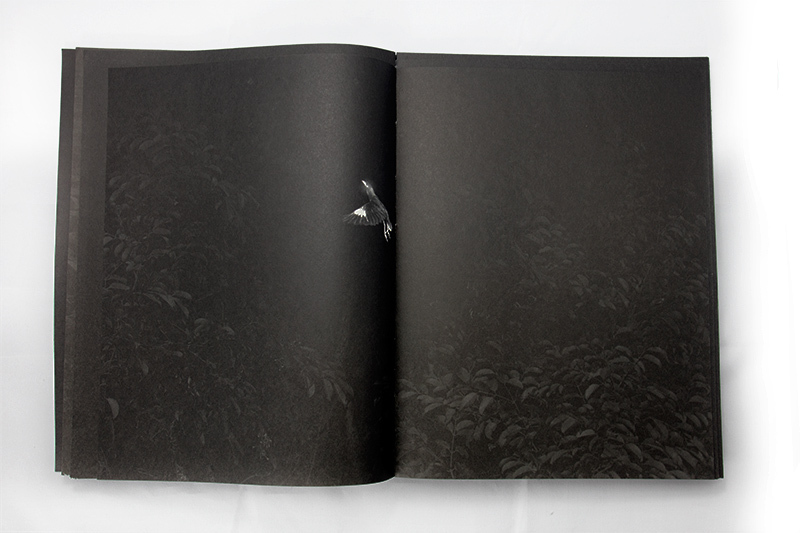 Moondust (Journeys to the moon) is a collection of insect ash the artist painstakingly collects from street lamps. The ash is the remains of insects being trapped in the street lamps and being burnt by the heat of the lamp over a long period of time..."
Nepenthes sg. rh Yui is an undescribed tropical pitcher plant known from a single tree in Singapore. It shows similarities to N. burkei. The species was originally discovered in April 1897 by Kimiya Yui and has never be seen again. The species is only known by a pencil sketch created by Yui. For this fourth edition of the International Biennale for Young Art in Moscow David Elliott has chosen the title 'A Time for Dreams' in acknowledgement of the chronic precariousness of our own times and the urgent need for the dreams and visions of younger and future generations to break the barrier of ‘things as they are’ to make things better. A selection of A Guide to the Flora and Fauna of the World will be on exhibition. Grand Prix Fotofestiwal is a competition organized every year, during which the festival awards the prizes to those artists who present cohesive ideas, brave visions as well as excellent photographic technique and who use the photographic language in a conscious manner. A selection of A Guide to the Flora and Fauna of the World's images will be included in the exhibition. "We seek, produce, use, and consume all kind of images in our everyday. Whether in the private or the public sphere, we need them for sharing and obtaining details regarding experiences, news, and events. They serve to illustrate ideas that in turn endorse or contest other ideas. With these images, through storytelling, we shape public opinion and enjoy a shared sense of what is true, what is real. The way we understand our reality then is through these fragmented stories that we tell ourselves. Some of them may be accepted as truths, some others understood as mere myths, legends, hoaxes, or lies. It is all about storytelling. 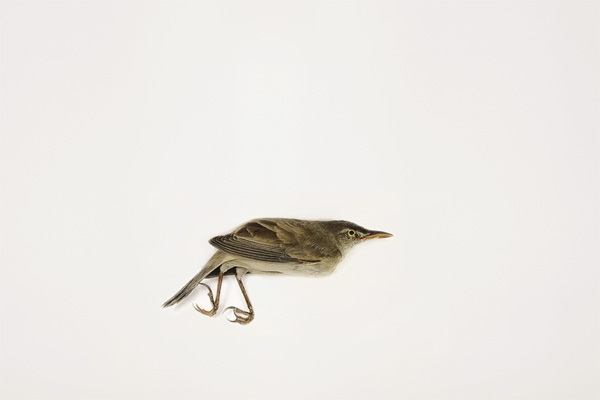 - PhotoIreland"
The book, A Guide to the Flora and Fauna of the World, will be included in the main exhibition. 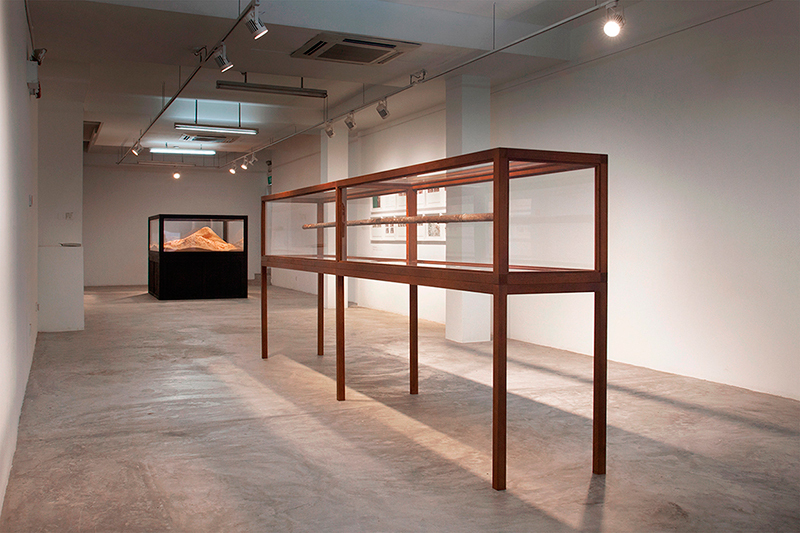 "How we define ‘Asia’ at Asia Art Archive is the question we are most frequently asked. Acknowledging both the value and limitations of the map as a tool, this project practices a mapping of Asia that does not exclusively depend on the map as artifact, but as something that lives and continues to unfold. We share with you some of the threads and (to borrow a geological term) hot spots that are currently shaping our notion of Asia." Pages from, A Guide to the Flora and Fauna of the World, are included in the exhibition. 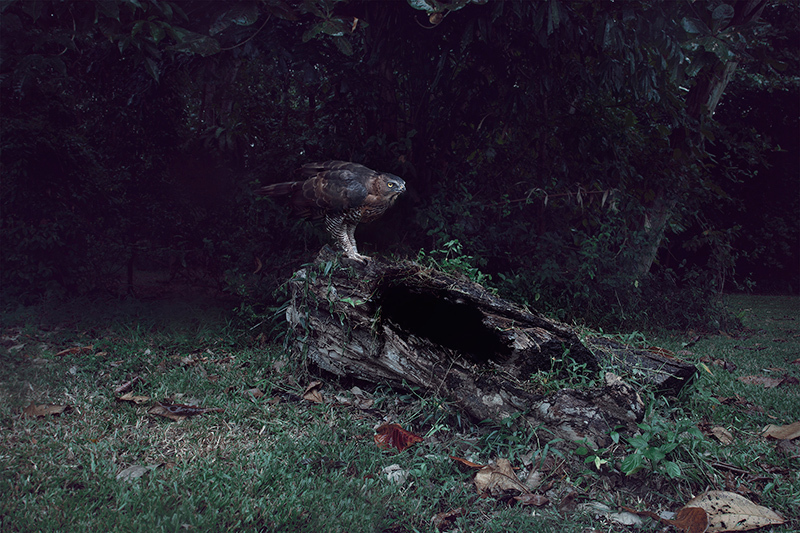 The Singapore Art Museum (SAM) is proud to present its first exhibition of the year, UNEARTHED, which seeks to investigate artists’ views on the natural world and invites viewers to contemplate their relationships with the natural environment. This examination of earthly experiences, through contemporary art, exemplifies SAM’s new direction of encompassing projects that present art intersecting with various disciplines and modalities. This is also SAM’s inaugural exhibition as a corporatised entity under the Ministry of Culture, Community and Youth’s Visual Arts Cluster. A selection of animal traps from The Institute of Critical Zoologists is showing in this exhibition. More information of the work here. From the series, How to eat bees? Some birds talk without making a sound. A spider web is a flower. All living things are constantly changing and evolving, adapting to cope with and respond to the various pressures that they face, such as predators, competition and environmental change. 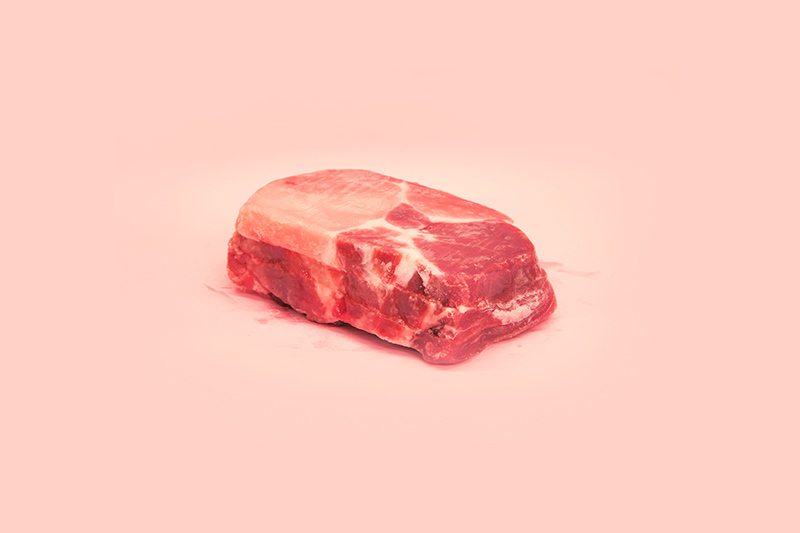 More recently, the human species has emerged as the single main perpetrator of the various pressures that threaten the survival of other life forms. A Guide to the Flora and Fauna of the World is an attempt to document the ways in which humankind has altered this planet, and continues to do so. 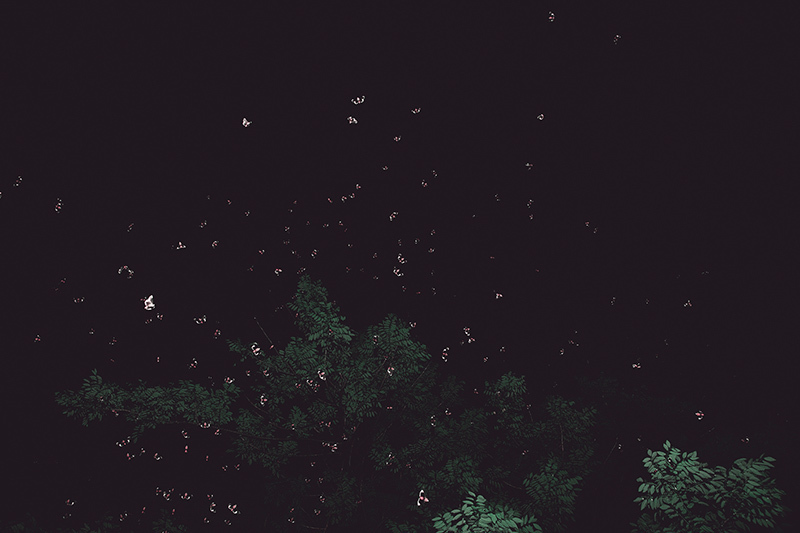 A Guide to the Flora and Fauna of the world is a project initiated by artist Robert Zhao Renhui. 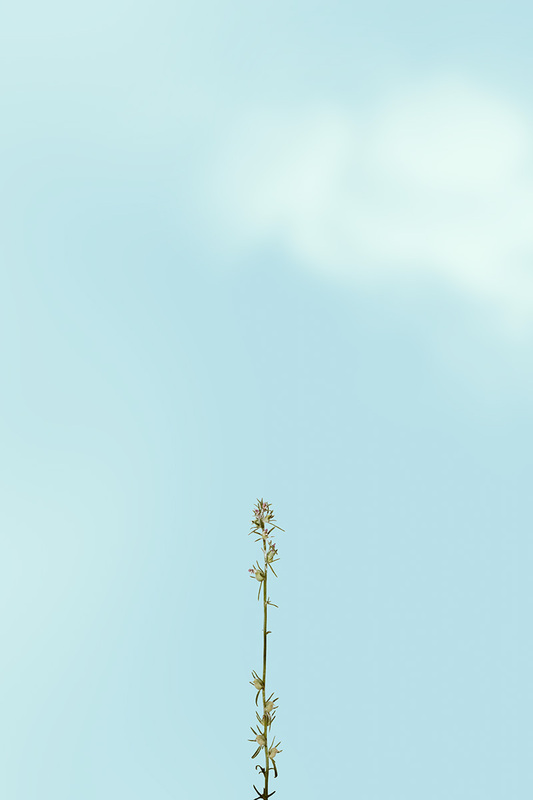 "...Responding to the title of the Singapore Biennale 2013, “If The World Changed”, Zhao has created an installation titled A Guide to the Flora and Fauna of the World, which seeks to document and reflect on the myriad ways in which human action and intervention are slowly altering the natural world. 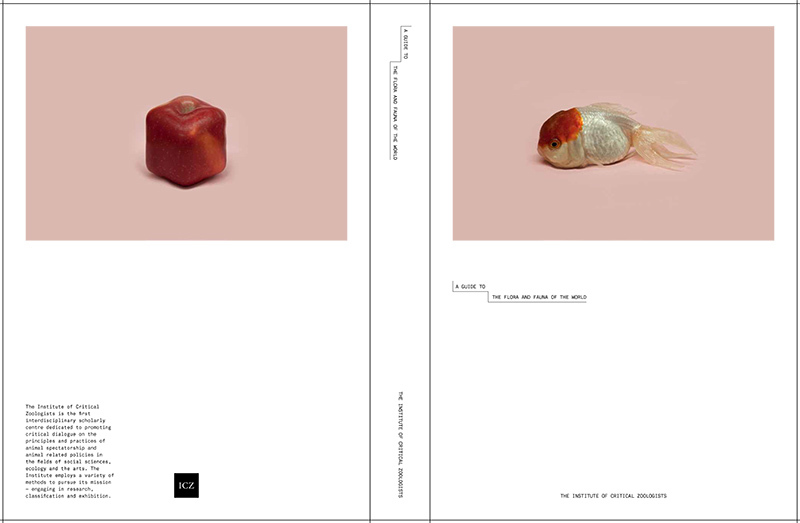 Based on the evolutionary premise that all living things constantly change and adapt to cope with and respond to their changing environments (or risk extinction), Zhao’s Guide presents a catalogue of curious creatures and life-forms that have evolved in often unexpected ways to cope with the stresses and pressures of a changed world. Other organisms documented in the installation are the results of human intervention, mutations engineered to serve various interests and purposes ranging from scientific research to the desire for ornamentation. 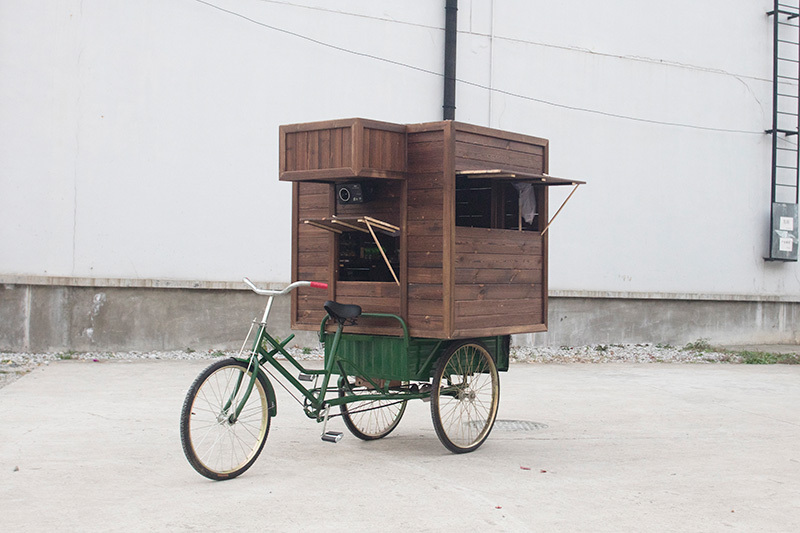 An installation of objects and photographs will be presented at The Perankan Museum. The project is a Singapore Biennale 2013 Commission. 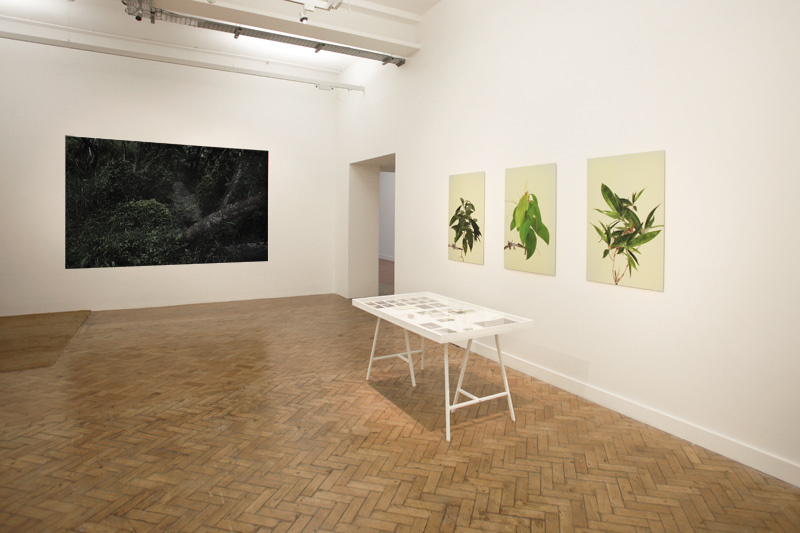 Installation view, A Guide to the Flora and Fauna of the World. A poster, 84cm x 59cm, designed by H55 also accompanies the installation. Robert Zhao Renhui will launch his book, A Guide to the Flora and Fauna of the World, in conjunction with his artwork at the Singapore Biennale 2013. The book contains 55 photographs and documents pertaining to the project and a unique opportunity to view the work through the artist's perspective. Engaging Perspectives:New Art from Singapore will present works that engage with multifaced perspectives about Singapore by a generation of artists born in the 1980s and currently working in Singapore. 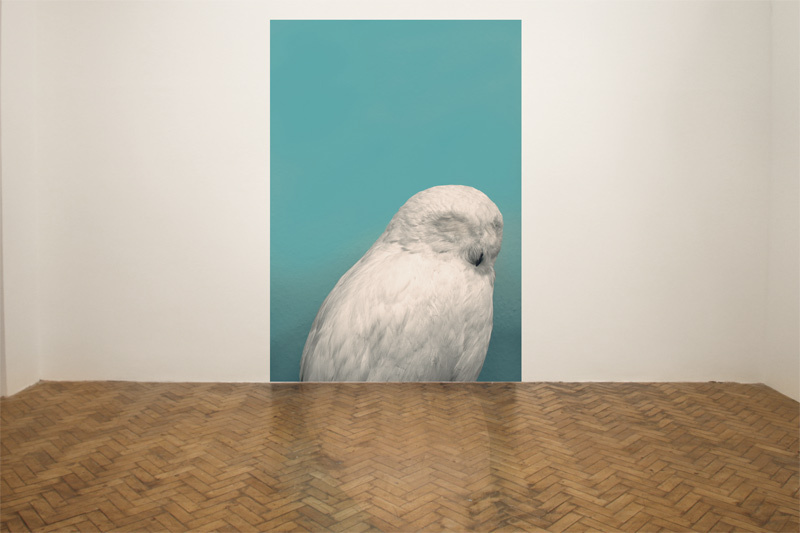 Chapter Gallery has worked in collaboration with the The Institute of Critical Zoologists (ICZ) to present its first UK survey exhibition that interrogates the boundaries between the seen and the unseen. exploring methods of allegorical representation and interpretation. This exhibition brings together commissioned projects by Zhao Renhui (an artist who works closely with the ICZ) and extracts from the Institute’s museum collection. In March 2012, Zhao Renhui undertook a residency at the National Museum Cardiff that has informed part of the research for this exhibition. 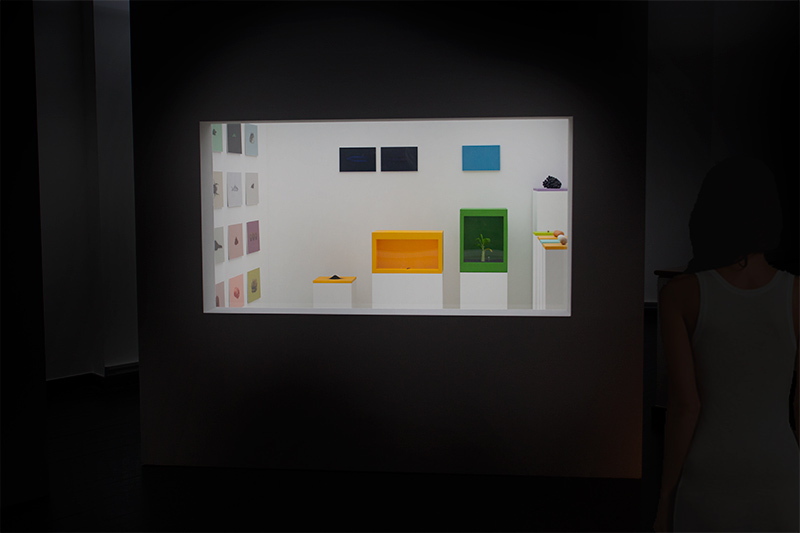 An installation by the artist is open in the Natural History Galleries at the Museum between 13 March and 17 June 2012. This exhibition is curated by Lauren Jury and Helen Warburton. classifying and creating photographs and objects around the scientific institution. 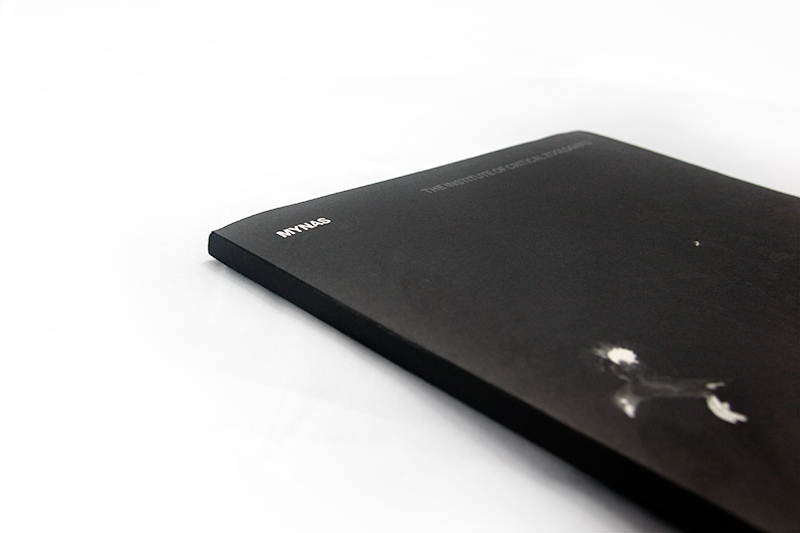 A limited edition catalogue will also be available during the opening of the exhibition. Essay by Zhao Renhui and Satoshi Kataoka. The catalogue includes a special reprinted poster of important landmarked expeditions by the ICZ since 2001. 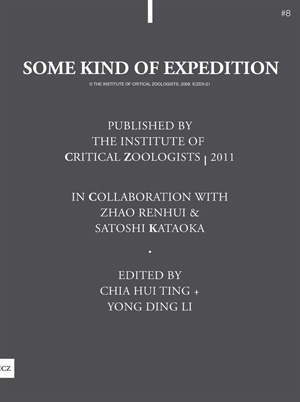 To order a copy please contact info@criticalzoologists.org with the subject header "Some Kind Of Expedition Catalogue"
Opening at the Arts Gallery on 14 July, the show is presented from the perspective of the ICZ and its team of scientists who pose the question: what is our relationship with nature? Zhao creates elaborate scenarios or alternate realities to interrogate questions of art and artifice, credence and fantasy, and the borders of reality. 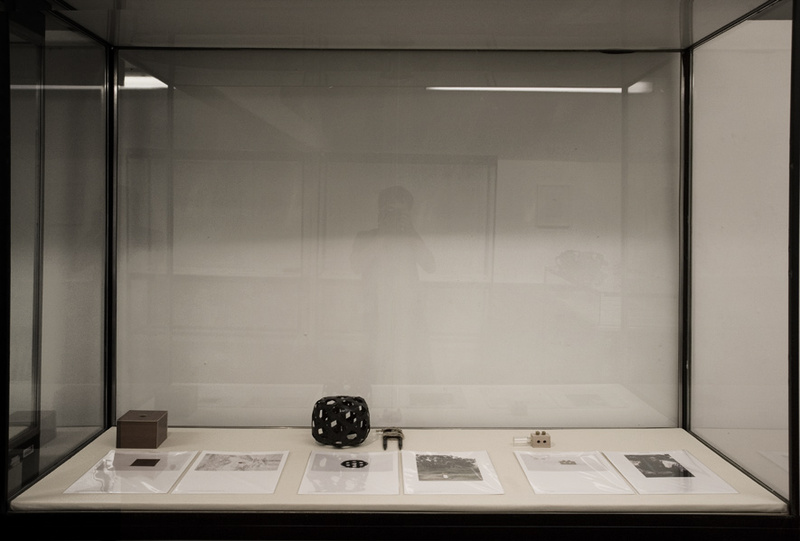 Offering a retrospective of the Institute’s research, the show features a display of genuine artifacts with a collection of photographs from the ICZ. On show will be compelling objects and photographs from The ICZ’s extensive global research, including rare taxidermy birds from a species which have evolved to permanently close their eyes to protect them from the dust of drying landscapes, and The Institute’s own revolutionary “invisible” camouflage cloaks for watching animals. The exhibition will also reveal artefacts from the Institute’s Tokyo museum including indigenous Philippine bird traps and documents of “miraculous” eggshells containing baby fish, alongside revelatory items from the Institute’s archive of wildlife smuggling methods in the form of specially designed smuggling undergarments retrieved by customs. 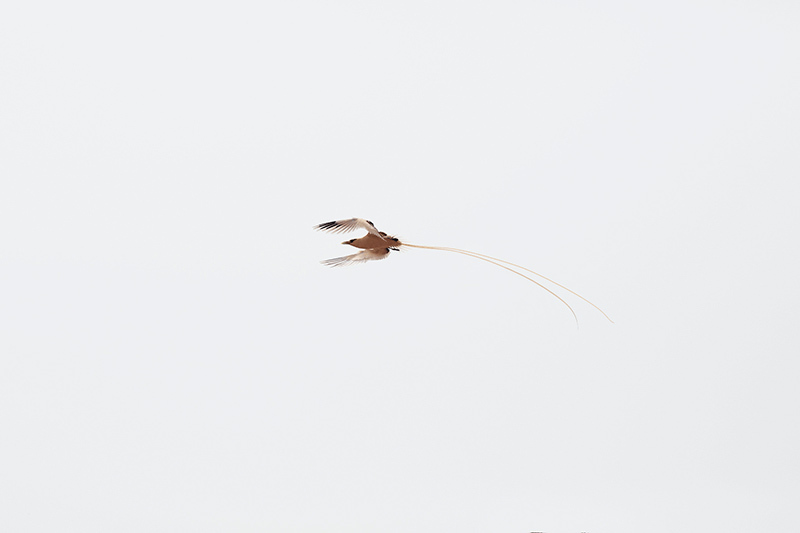 Essays by Naoko Noguchi, Director of Social Programs, Ding Li, Expert in Bird Ecology and Kimiya Yui. The catalogue includes a special reprinted poster of Norishige Kanai's celebrated 'Looking at birds' (1957). 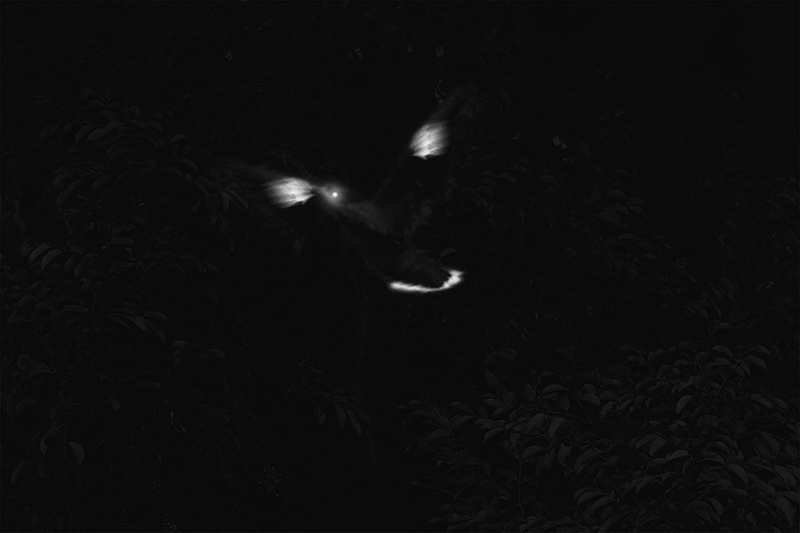 To order a copy please contact info@criticalzoologists.org with the subject header "A Bird In The Hand Catologue"
#121, after 321 days, Pin-hole camera by Okuro Oikawa. 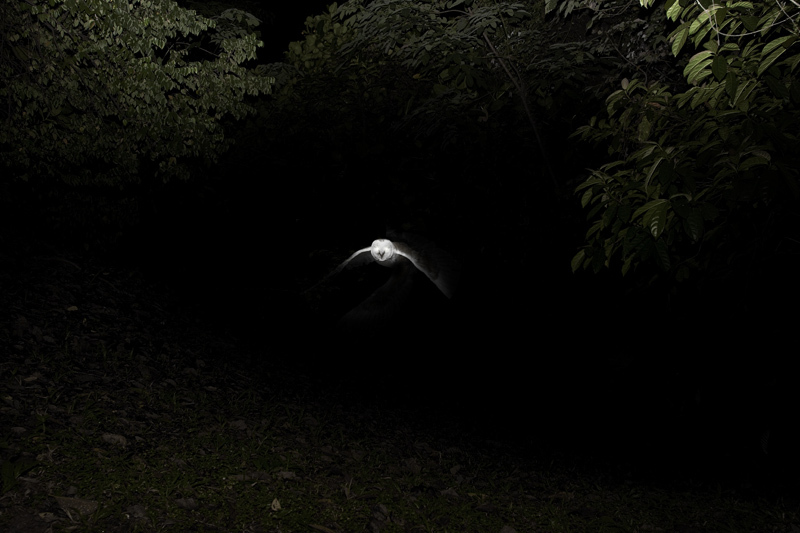 "On January 2008, I collaborated with the Yamshina Institute for Ornithology (a regional expert in bird banding) in an attempt to document this phenomenon during an artist residency. A group of a few thousand migratory birds were banded by the Institute over the course of two months. Besides banding the birds with a metal band on their legs, I included a small pin-hole camera near each band. Inside each camera was a very small sheet of positive photographic paper of extremely low sensitivity. The pin-hole exposed the image directly onto the paper, and allows for a positive image to be formed as long as there was light going through the pin-hole. The thousands of little pin-hole cameras were made with the help of a group of local school children. 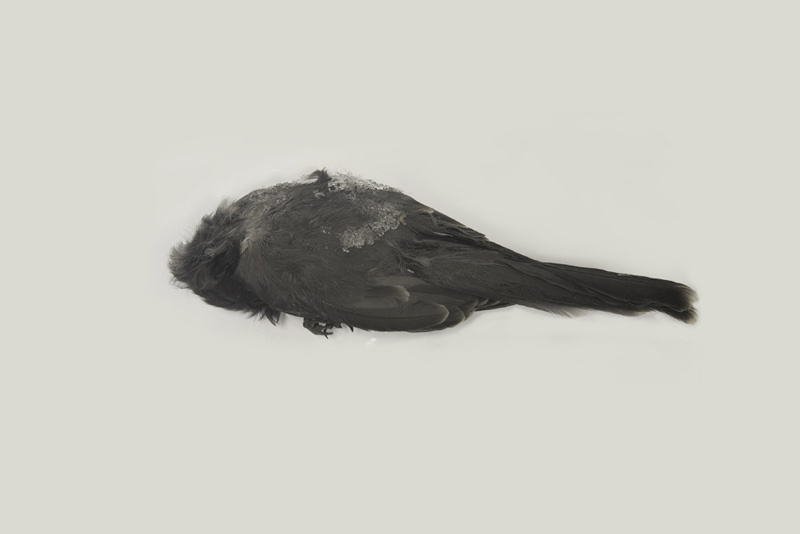 On June 2010, 50 of the birds were dead found in the Arctic Circle. 30 of the birds still had their cameras intact and 12 of the cameras actually created an image of the bird's rather confused migratory journey to the Arctic. " Climate change has significant impact on birds. It can alter distribution, abundance and behavior. It can also affect events like bird migration. Migration times are shifting and birds which are slow to change fail to migrate altogether. We still know very little of how birds navigate and migrate over long distances. A recent phenomenon in the Arctic Circle is the emergence of mass bird graves. It seems as if different species of migrating birds due for the south has been flying the opposite direction, in an apparent act of suicide. Very little research has been done on this phenomenon. Scientists argue that global warming might be a cause of this but has yet to show evidence of how this might be linked. One popular theory says that the melting of the ice caps might have affected the earth's magnetic field, something which the birds might have been using for navigation. Many critics dispute this claim and scientists are still looking for an explanation for this phenomenon. A bird that was carrying a small pin-hole camera (1.21cm x 0.7cm) made by Tomimaru Okuni tied to its feet while the bird was in Japan. The bird and the camera were later retrieved from the Arctic Circlc after 321 days. This is thought to be the only existing image of the white whale, a mysterious creature that had once held the Japanese village of Omishima in thrall. One of the oldest villagers alive, a man called Mr Kazuhiro Nagashima, said that his people had once placed an effigy of the whale in the sea off the coast of Omishima, and it probably still remains there today. 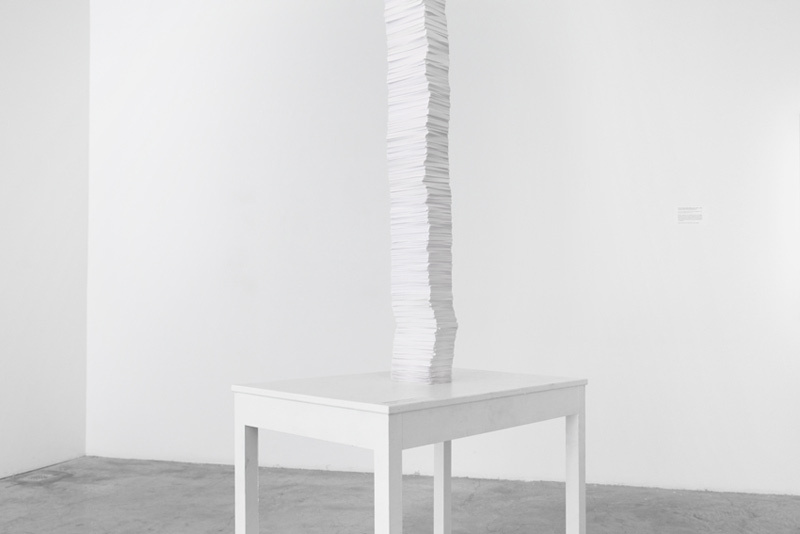 400,500 photographs.15 x 10cm, white table. 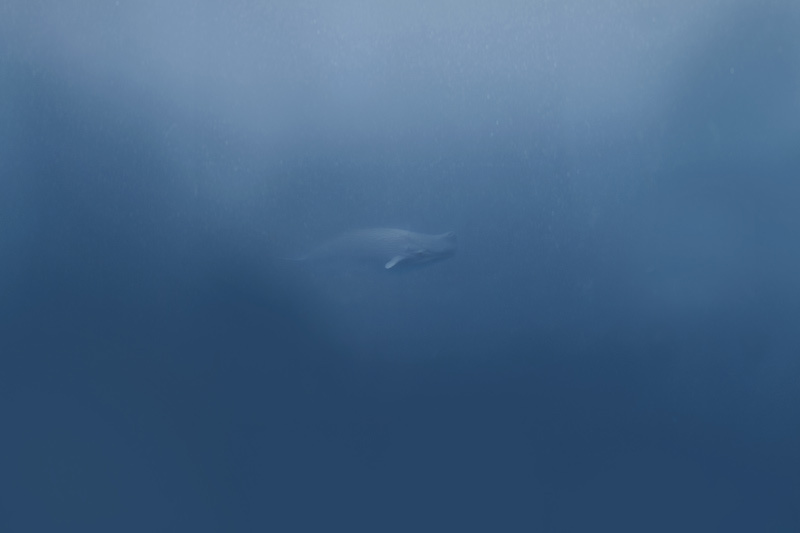 The title of this project is taken from an earlier work undertaken by Satoshi Kataoka to research and compile the numerous white whale sightings by The Whale People of Omishima between 1937 to 2008. During a residency at Fukuoka Asian Art Museum, Zhao Renhui was able to research the archives and interview the last remaining descendant of The Whale People. During the residency, he produced a series of documents and images for The Institute of Critical Zoologists discussing the political and cultural representations of this group of people. This project is a compilation of their research, documents and interviews, produced in collaboration with The Institute of Critical Zoologists. 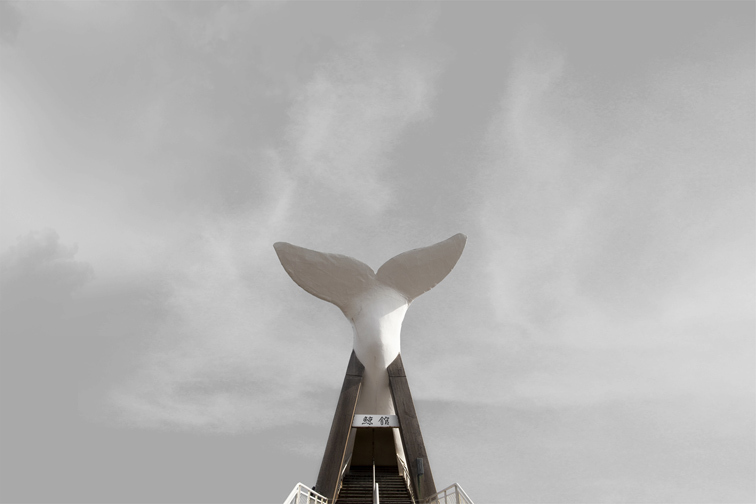 It offers a unique perspective into the unwritten history of The Whale People of Omishima. A booklet has also been produced for the project and is available through our website. For more details, please email info@criticalzoologists.org. Hiroshi Abe at the 8th Phylliidae Convention with Phyllium S. when he first entered the competition in 1991. A special edition of the Phylliidae Study Journal has been created for last year's Phylliidae Convention. Selected articles are available for viewing. Japanese daguerreotype, 1861, 12.9cm x 18.9cm. Meiji Era. Collection of the Royal family, and now in the Royal Science Museum in Kobe, Japan. 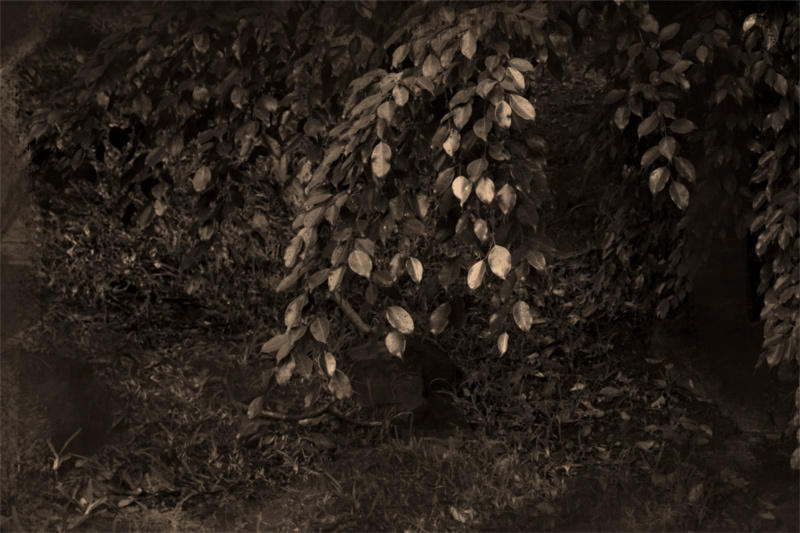 Masahiro Koishikawa proposes that this Japanese daguerreotype (an old photograph) from 1861 is one of the very first depictions of a leaf insect in the modern world. In 2006, Zhao Renhui and Matsuo Sugano embarked on a project to work with the archives of the Institute of Critical Zoologists. During the project, Matsuo Sugano kept an online journal of his experience while working with the ICZ's archive. 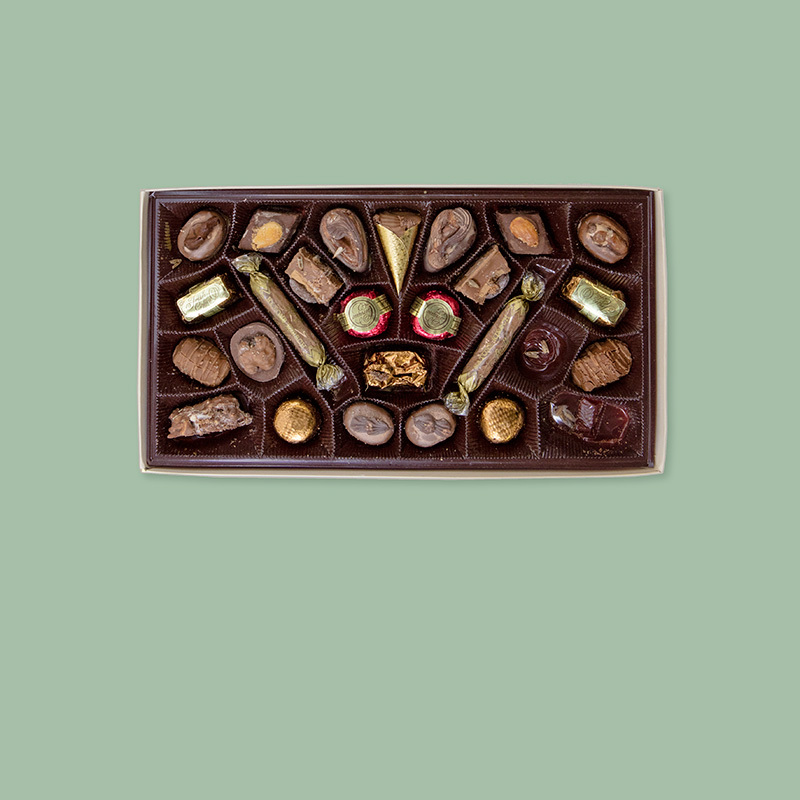 A selection of which has been made available here. 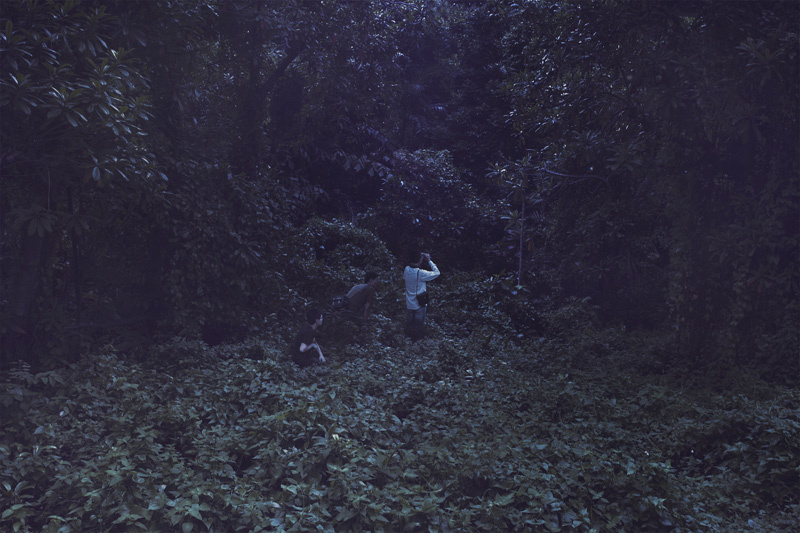 Gather is a two year collaboration project between Zhao Renhui and Matsuo Sugano. Residents of the Southern Japanese seaside village Omishima are often called “The Whale People”, or kujira no hitobito, people who live among whales. They got their name because of their obsessive and bizarre worship of whales and all things whale-related. In 1937, something happened that seized the entire village's imagination: a monk reported a sighting of a white whale along the village coast. Thus the search for the white whale began. The villagers raised funds to build a massive underwater tower in the middle of the ocean, which took more than ten years to complete. They had to cross a five-mile bridge on foot to reach the tower, all in the hopes of catching a glimpse of the white whale if returned. to see up to 5 miles through the ocean depths. Today, few residents remember this way of life, although the watch tower and the boat are still around. 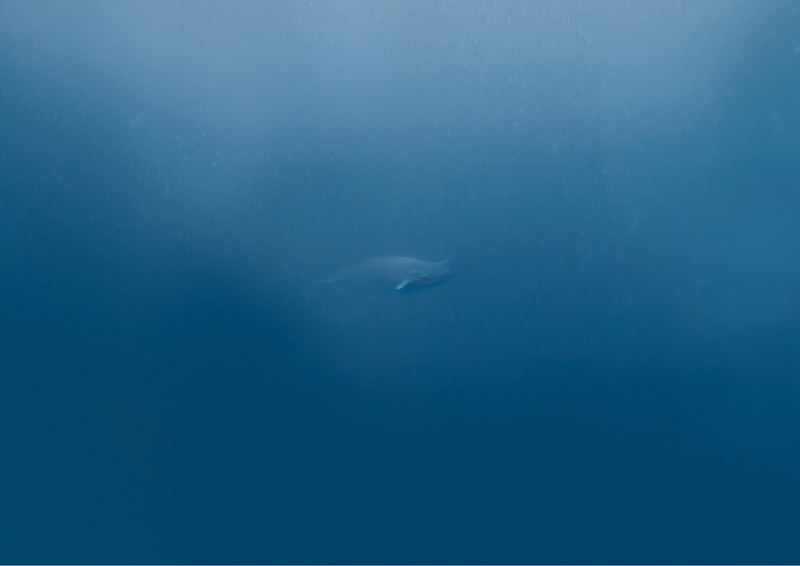 of Antarctic Minke Whales to be 400,500. A Guide to the Common Flora and Fauna of the World is inspired by a real-life smuggling case where 15 endangered geckos were concealed in hollowed-out books and transported out of Australia, only to be intercepted by the country's customs. Using the mail route for smuggling has been one of the most effective and preferred methods to evade international customs, and wildlife activists have often criticised the loopholes in enforcement in this area. For the M1 Singapore Fringe Festival 2010, The Institute of Critical Zoologists (ICZ) sent similar books containing replicas of the gecko and apparatus giving the impression of hidden life within these packages, from various countries back to Singapore. Part of this exhibition showcases the returned contents and documentation of any procedures and correspondence pertaining to the “trafficking”. Through this, the Institute explores the human/animal relationship through wildlife trafficking, by actively engaging the laws prohibiting that in various countries. Between 1995 and 2006, Prof Yong worked at the ICZ as a curator of reptiles. His primary research area was in genomics and morphology genetics of reptiles. One of his greatest successes was the creation of ‘albino tortoises’. He often cited a 1981 National Geographic article as inspiration for his research. The article was about the first albino python which was successfully bred in Bangkok. The article also inspired many other people to collect and breed reptiles, thus giving birth to a new industry of reptile collection through out the world. Prof Yong also became a legend in the wildlife smuggling circuit. During a routine archival digitization exercise, the ICZ discovered his archive of books, photographs, documents and research on wildlife smuggling. He had devised hundreds of ways to smuggle reptiles. To the most high-profile smugglers of the world, he was called the bookman, for his ingenious use of tomes to hide animals. Our story of Dr. Yong's archive begins with the discovery of the world's largest encyclopedia, "A Guide To The Common Flora And Fauna Of The World" to be exhibited for the first time. Also in the exhibition are rare documentations and photographs of his experimentation in wildlife smuggling and his work on the genetic morphology of reptiles. 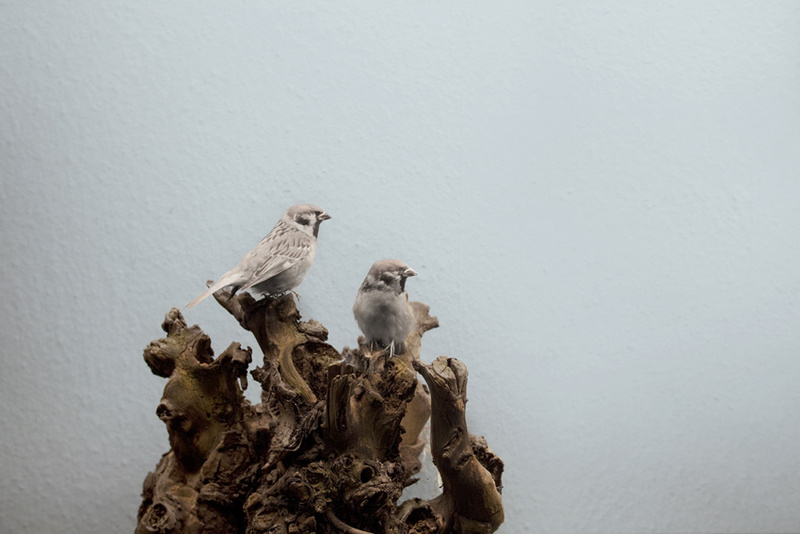 Coinciding with the 14th anniversary of the ICZ, A Guide To The Common Flora And Fauna Of The World is an exhibition in the Jendela Gallery, Esplanade (Singapore) that explores a controversial chapter of the human/animal relationship. A Guide to the Common Flora and Fauna of the World is presented and commissioned by M1 Singapore Fringe Festival Singapore 2010 & The Institute of Critical Zoologists, Japan. Special thanks to Dr. Agata Marzec (Estonia), Tristan C (Finland), Dr. Jessica S.F (New York), Dr. Ferran Izquierdo (Barcelona), Ang S.N (London), Dr. Eiffel Chong T.Chin (Malaysia), Z.Y Wong (Beijing), Miriam Seto (Hong Kong), Dr. Agung Nugroho W (Yogyakarta), Dr. Nicholas W (Brisbane) & Zuzana Golierova (Bratislava) for their kind assistance and time for making this exhibition possible. 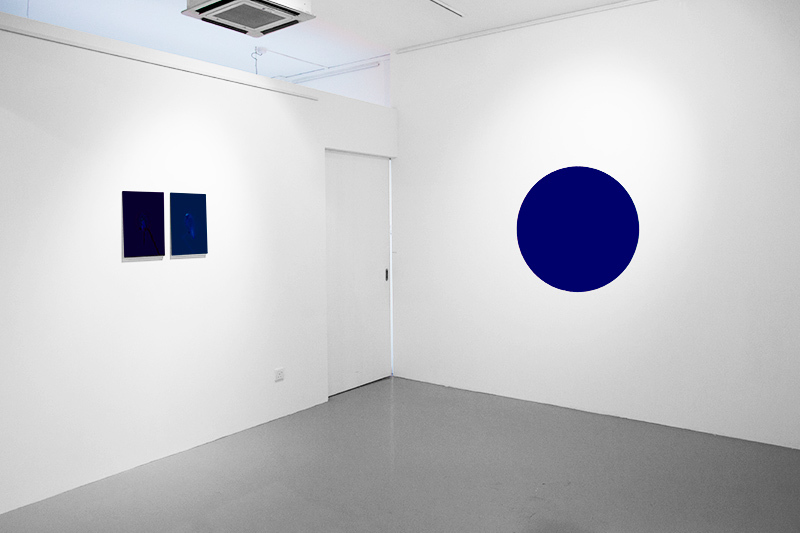 Silent opening, Thursday, 7th Janaury, 7.30pm - 8.30pm. Representatives from the institute will be present in the gallery during the silent opening. Day 120, Madura Forest, Weeping Tree. Pulau Pejantan is a remote island of Indonesia. Nick-named Sand Forest Island, Pulau Pejantan is a unique island with extremely unique geographical features and biodiversity. Virtually undiscovered till June 2005, the island boosts a treasure trove of unique species that is found no where else in the world such as the bizarre sand worms which moves about like packs of snakes around the island's dune to the Lantern Fish which greets you in the sea before you reach the island. How has the speciation process on Pulau Pejantan differed from comparable regions? Images from the recent expedition from January to April, 2009 are also available on our website. 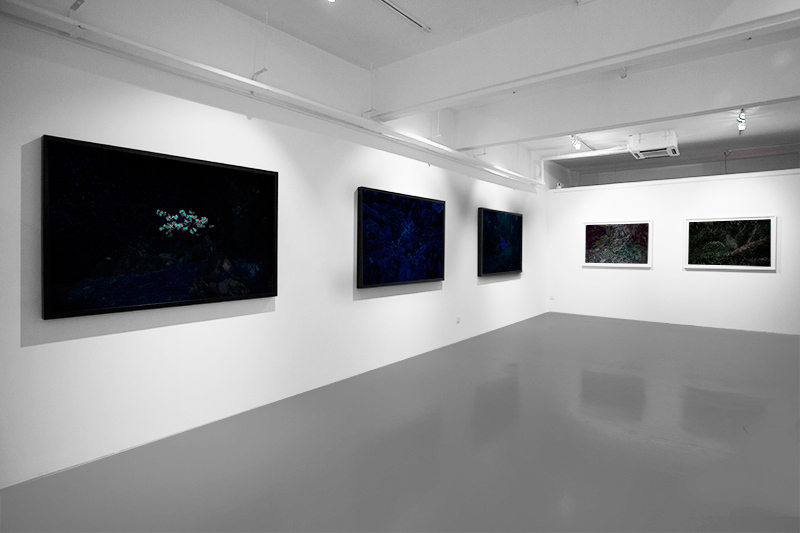 From now till the 21st of October 2009, selected/limited images from the expedition will be on shown in Gallery 2902, Singapore. If a tree falls in the forest by The Institute of Critical Zoologists questions our views and relationships with animals. They are prey, pets, trinkets, trophies and pests. 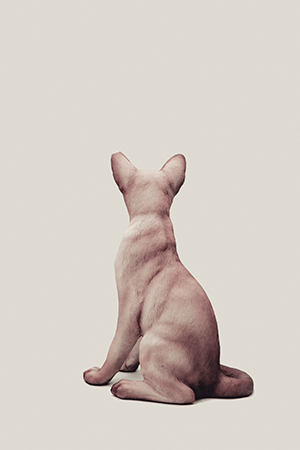 This exhibition makes subversive changes in the way we observe animals and illustrates how these changes can alter perceptions and interpretations and ultimately question the human to animal relationship. if a tree falls in the forest is made up of three parts: Before the flood is a live performance* that features hundreds of mousetraps springloaded with ping pong balls. Each ping pong ball represents one of the thousands of mouse species in the world. The performance is accompanied by a showcase of the Institute’s collection of animal traps from around the world. Also on show are animal memorabilia from around the globe in the ICZ museum collection. Kings is a collection of rare white Tottori cockroaches, from the Tottori sand dunes of Japan; these creatures exemplify how animals are assigned a certain “status” based on their aesthetic appeal. The specimens are presented with projects by previous artists-in-residence who have been inspired by these curious creatures. They include Zhao Renhui’s artist-led expedition into the Tottori Desert and Sokkuan Tye’s Japanese print. 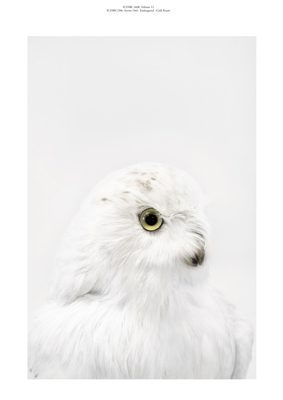 The Institute of Critical Zoologists aims to develop a critical approach to the zoological gaze, or how humans view animals other than ourselves. Urban societies live in relative isolation from animals, and yet the demands that we put upon animals has increased tremendously over the last century. Animals are agriculture, prey, pets, trinkets, trophies and pests. And while gazing upon them is desirable and pleasurable, our visual apprehensions are not wholly natural; rather, these perceptions produce meanings and values that are culturally constructed. Moreover, in viewing the animal, humans cannot but refract the social and political contexts and values in which such observations take place. *Special one-time sound performance by Hayashida Ken with the ignition of more then 300 spring loaded mousetraps. There will be a limited edition catalog for sale at the exhibition. This May, The Institute of Critical Zoologists will be having an exhibition featuring works from past and current artists who have worked with our archives. Email : info@criticalzoologists.org with the subject line as : 'Join' to subscribe to our mailing list. 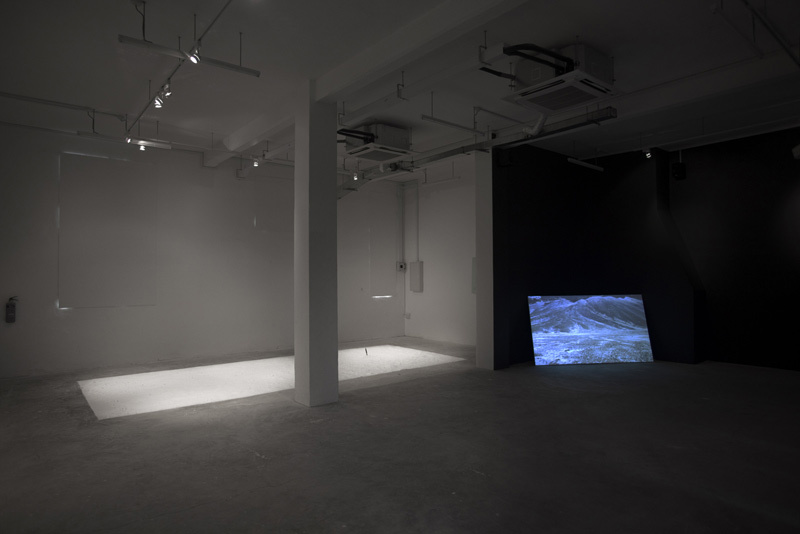 With the support of Singapore National Arts Council, Derby City Council, University of Derby, Arts Council of England, QUAD and Pickford's Museum, The Institute of Critical Zoologists / Zhao Renhui is proud to take part in this year's Format festival, United Kingdom's leading contemporary photography and media festival. 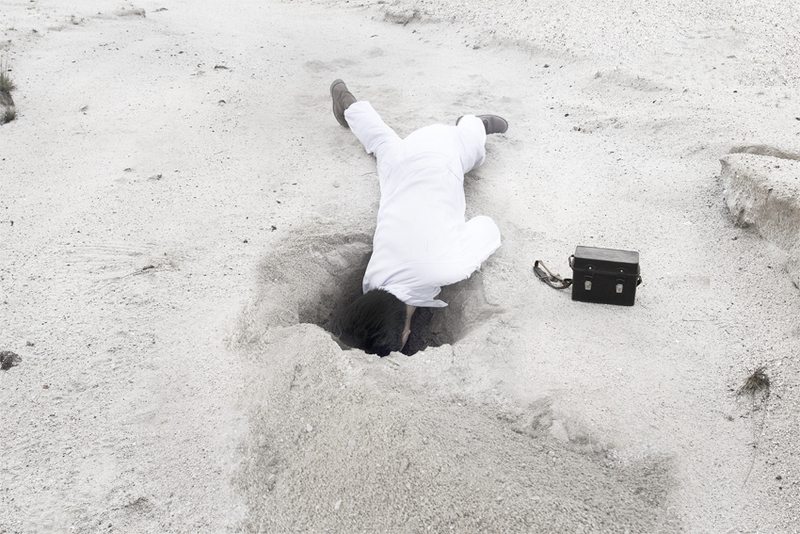 The festival aims to celebrate the wealth of contemporary practice in international photography. The Institute will be showing its museum collection for the exhibition. The objects on show includes original Acusis woodblock prints, animal traps & specimens from the ICZ collection and documents from the ICZ's archive. 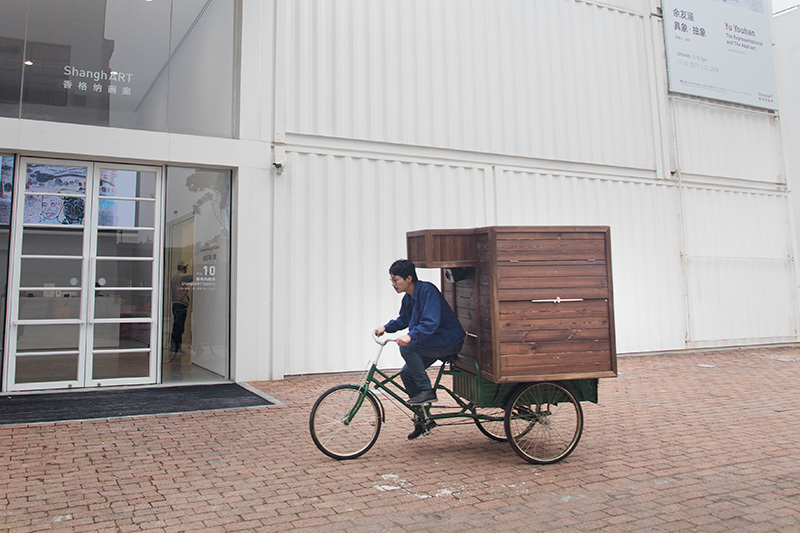 "...For this exhibition, our artist in residence, Singaporean Artist Zhao Renhui, has painstakingly selected some representative documents from our massive archives and artefacts from our museum collection. The ICZ museum collection comprises an extensive inventory of animal memorabilia and souvenirs that can be bought off the internet, tourist trinket shops and gift shops around the world. 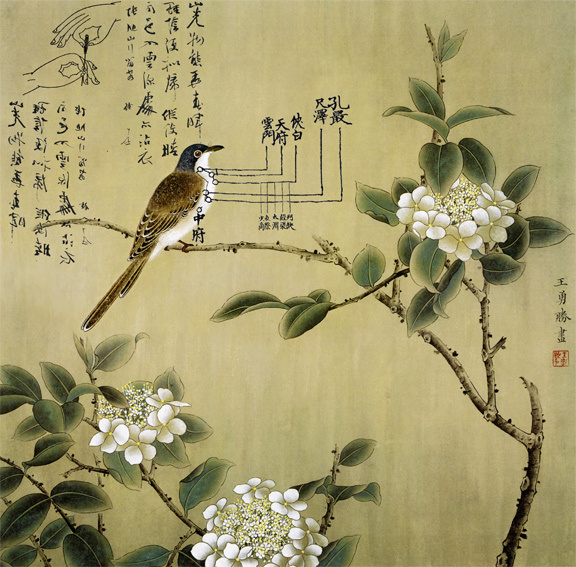 For Format, we have selected the an important piece from our collection by renowned Japanese zoologist Hayashida Oishi. The ICZ also has a substantial collection of animal traps. We have chosen to show a snake trap, a gibbon trap and the curious earthworm trap found in a remote village in Nepal. Finally, one of our flagship projects, Acusis, is being presented in Photocinema. Acusis is a method of extending the lifespan of endangered animals by performing acupuncture on them to induce a state of torpor and decreased physiological activity. Animals under Acusis are revived every five years to reproduce with another revived animal. The television screens show live video feed from web cams installed in our laboratory of the Tomaya Flowerpecker and the Rainbow Trout. The Institute of Critical Zoologists celebrates the reintroduction of more than 200 rare birds, bred at the Institute's laboratories, to the wild by the Acusis Program. The Institute of Critical Zoologists is also taking this chance to celebrate the reintroduction of more than 200 rare Sarina's Flowerpecker, bred at the Institute's laboratories, to the wild by the Acusis Program...."
The Institute of Critical Zoologists will be holding a public installation entitled "We decided to go to the zoo but it was raining" at the Cify of Levallois, France. With the kind support of Epson France and the Cultural Board of Levallois, The Institute of Critical Zoologists will be holding a public exhibition at l’Escale, The Cultural Center of the City of Levallois, France. 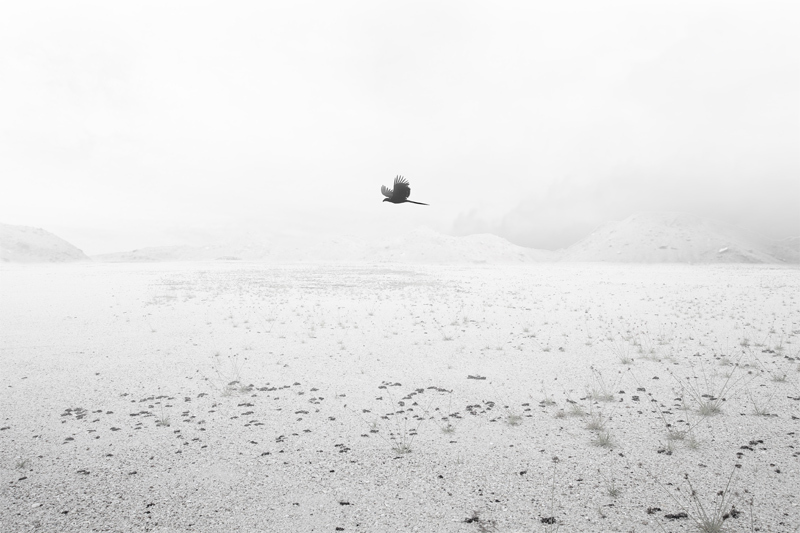 The exhibition was awarded a special mention in the augural Photo-Levallois Festival. The Institute will be showing its annual report and a summary of her projects in this special exhibition. It will consist of 114 documents from the Institute's archive. The exhibition will be held from 17th November 2008 to 13th December 2008. The Institute of Critical Zoologists will be holding a public presentation at the Singapore National Museum on the 14th October 2008. The Institute of Critical Zoologists public presentation at the Singapore National Museum on the 14th October 2008. As part of The Institute's engagement with the public, The Institute will be giving an evening presentation of the Institute's recent iniatives, research and projects. 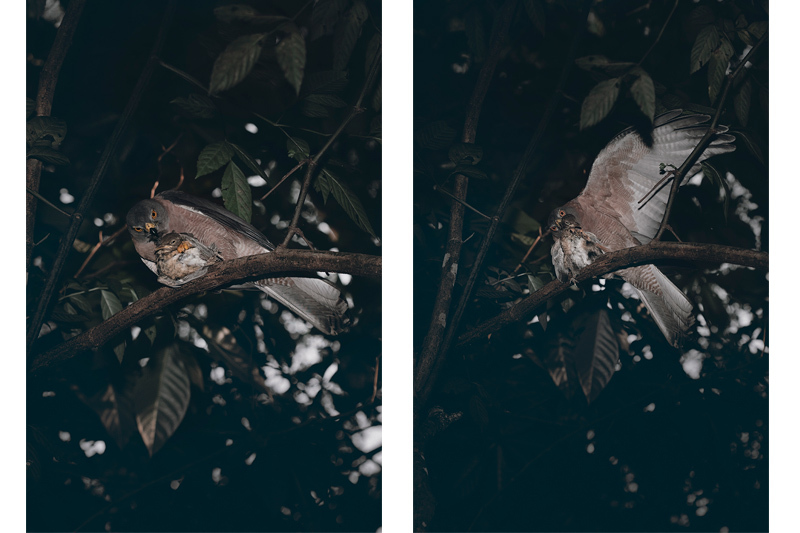 Join Artist Renhui Zhao/Yong Ding Li for an evening presentation where he will explore the representations of the animal within the projects of The Institute of Critical Zoologists at the National Museum of Singapore. Please kindly be seated by 2045 hrs. More than 200 rare birds bred through Acusis at the ICZ's laboratories for reintroduction to wild. Celebrations are taking place at ICZ's museum this week with news that more than 200 rare flowerpeckers have been bred this year for reintroduction into the wild. In fact, a staggering 226 chicks have been successfully hatched and raised to chicks through Acusis at the ICZ, far more than was hoped and giving a massive boost to the re-introduction project at the Yaeyama Islands. The project is managed jointly by the Institute of Critical Zoologists, the Veterinary Acupuncture Center in Beijing, the Japan Laboratory of Endangered Species and the Biostatsis Institute in Fukuoka who run the laboratories at the ICZ, who work with hunters, trappers and collectors in the area to allow these beautiful and rare birds to remain in the area. At the Yaeyama Islands, each batch of chicks is first given a health check by ICZ vet, Nicholas Woo, and then released to the wild. The project began with 1 bird released in 1997, this increased to about 85 in 2002, 105 in 2005, and 150 in 2006. This year’s number has exceeded all expectations. ICZ's Head of Ornithology, Dr. Yong, who has been in charge of inducing Acusis on the adults said: “It’s just great to have surpassed 200. When we set up the project eleven years ago, 20 birds was the target we’d set ourselves and this is just amazing." 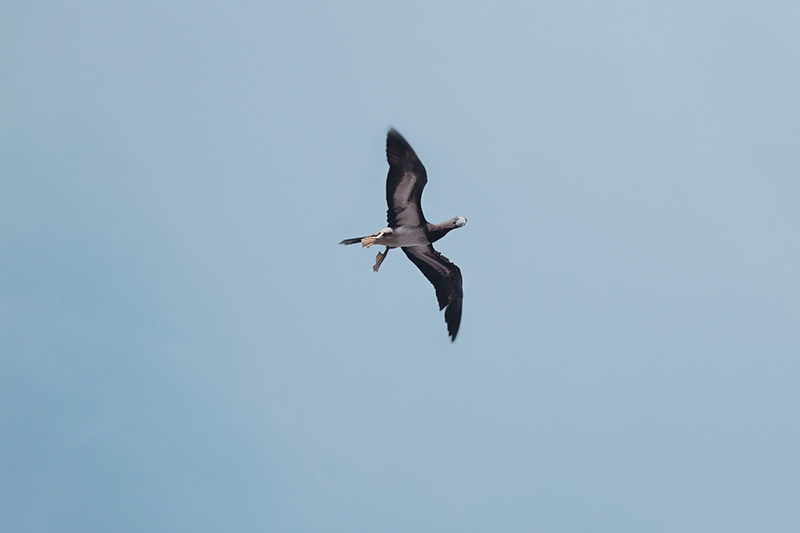 “Obviously, the more birds we can release the better the chance that they will come back and a sustainable population can be created in the Yaeyama Islands." The Tomaya's Flowerpecker is just one of the few success stories from the Acusis Laboratories at the ICZ. Previous success stories include the successful re-introduction of the Yellow Chested Imperial Finch. * The Tomaya's Flowerpecker is one of the most threatened breeding bird species in the world. It started to disappear from Japan more than a century ago, because of the introduction of mechanized and intensive trapping methods. Today this relative of the more familiar Sunda flowerpecker only breeds in the Acusis Laboratories where conservationists have been working intensively with local trappers and collectors to ensure the bird’s continued survival. * After release the birds will migrate to the Artic and on average 1% will return. * Breeding is carried out at ICZ's Acusis Laboratories where healthy breeding adults under go artificial hibernation. The adults are revived every 2 years to breed. (The project's mission is to help save endangered animals from extinction. It does this by extending the lifespan of the thousands of animals that are expected to disappear within the next few years.) Breeding takes a total of 39 days, after which the adults are put through Acusis again. The chicks are then fed around the clock on the hour for the first 4-5 days. After 10-14 days they are taken to the Yaeyama Islands for release, once they are health checked and provided they are the correct weight. The ICZ is delighted to announce the acquisition of one of Hayshidai's Oishi most treasured and copied, widely known as 'The Death Dance'. This small devotional work was made for the late Dr.Ailaimaishua, a founder of critical zoology in Japan. The scorpions was presumed lost until it was sold at auction in London in July 1949. An exchange in collections with a private dealer allowed the ICZ to purchase it in June 2006. 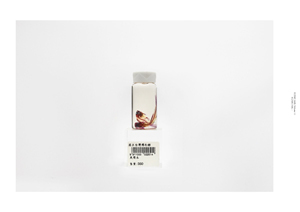 This specimen joins a distinguished collection of twenty other specimen made by the scientist in the Museum's collection, each of which represents a different aspect of Hayashida's art and research. 'The Death Dance' is one of the first specimens to apply an imposing Surrealistic composition to an intimately scaled specimen of the Asian Forest Scorpion. The Surrealistic style was established by Hayashida Oishi in his realistic decorations of the Prehistoric Room, Japan and in a few speciemens such as 'The Lost Hands' made just before 1930. In these works he realised a creative synthesis of the scorpions by encasing them in re-worked amber in a permanent death dance. The purchase of this specimen was made possible by recent legacies to the ICZ and a generous donation by Zhong Yao Ren.